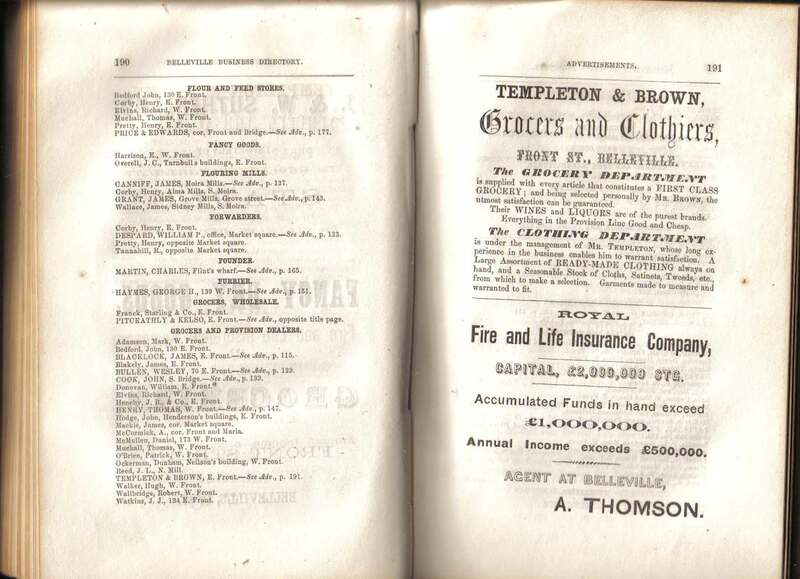 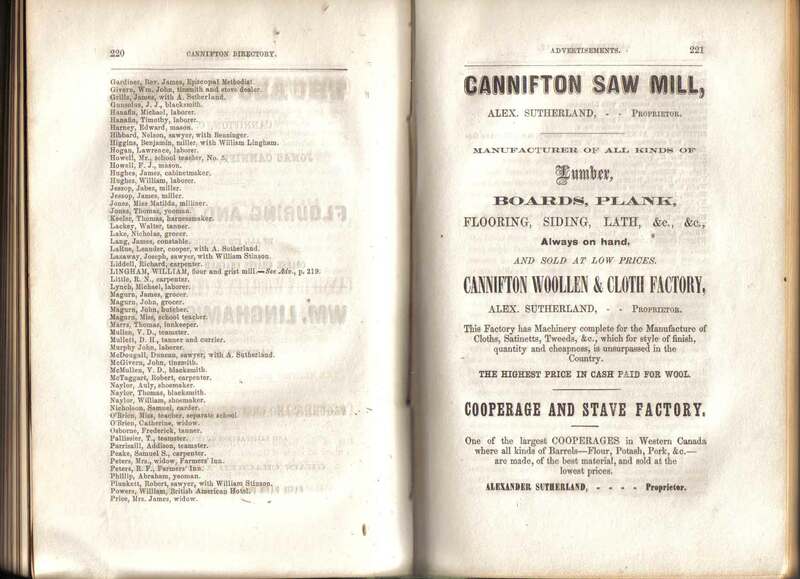 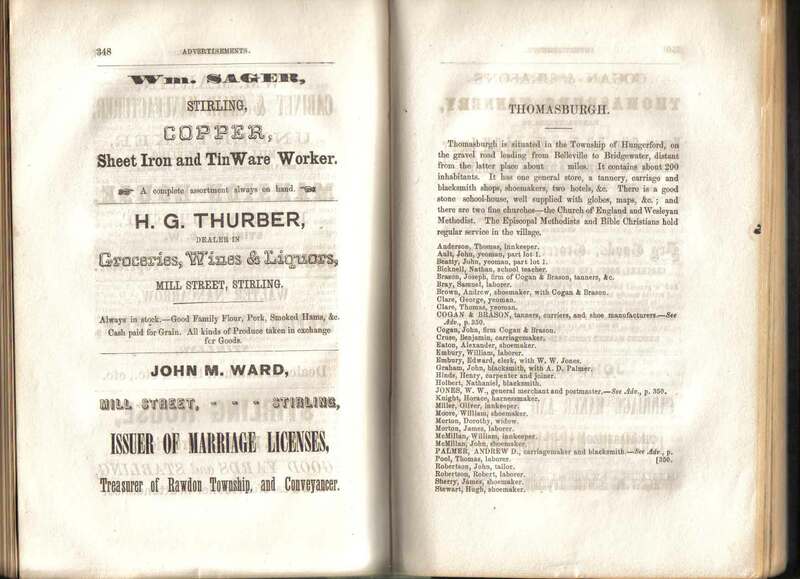 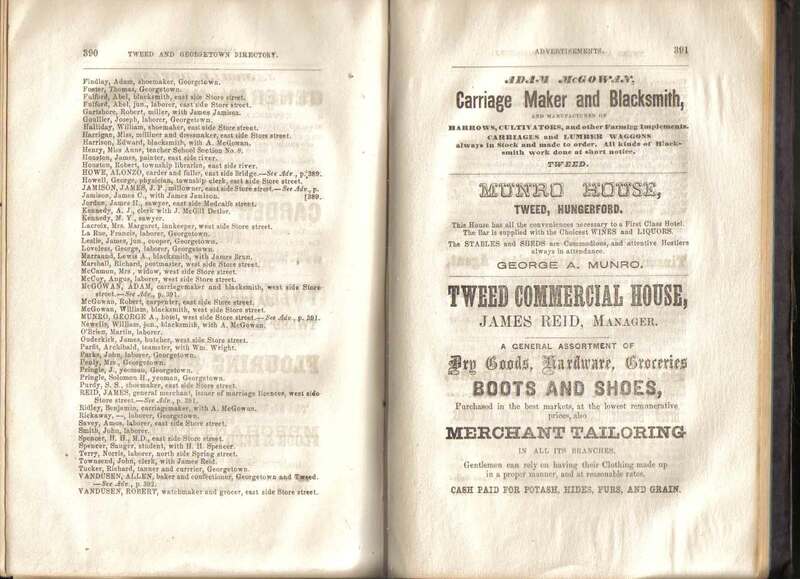 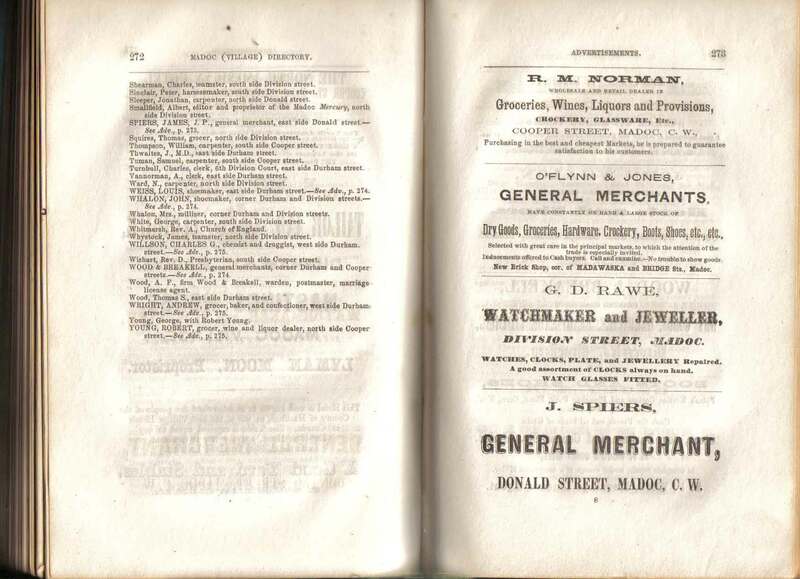 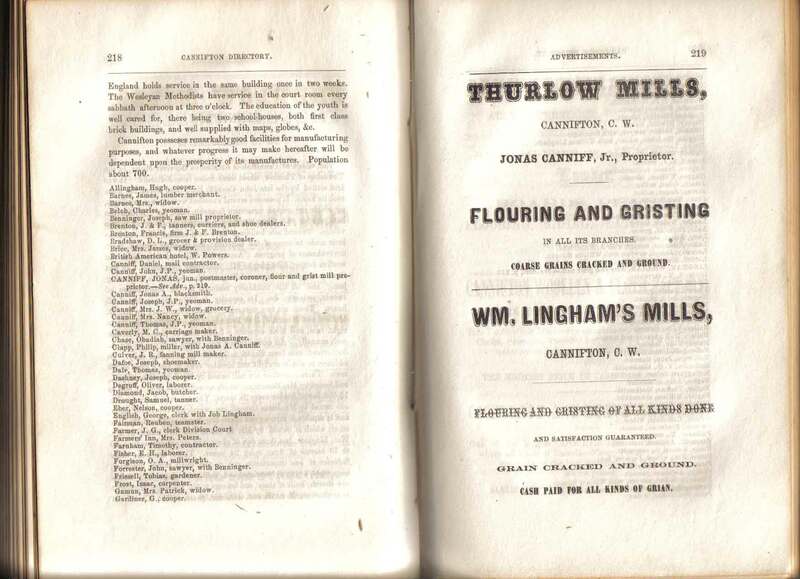 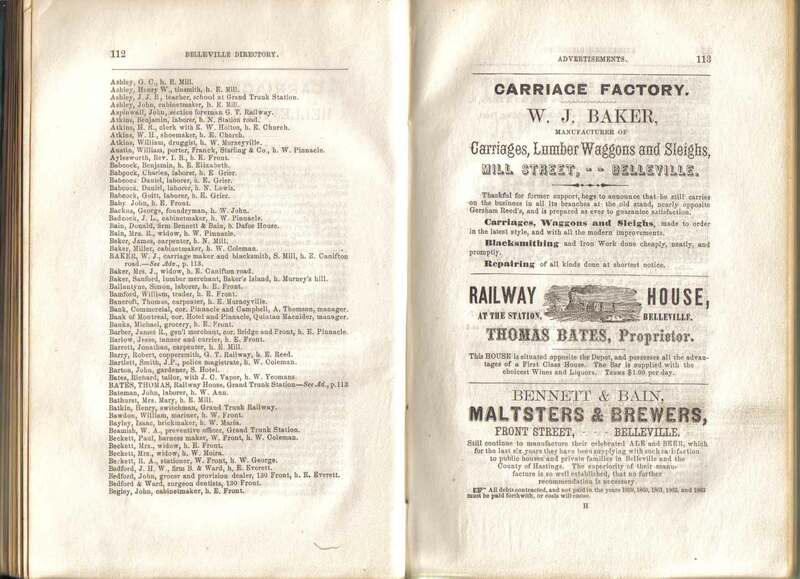 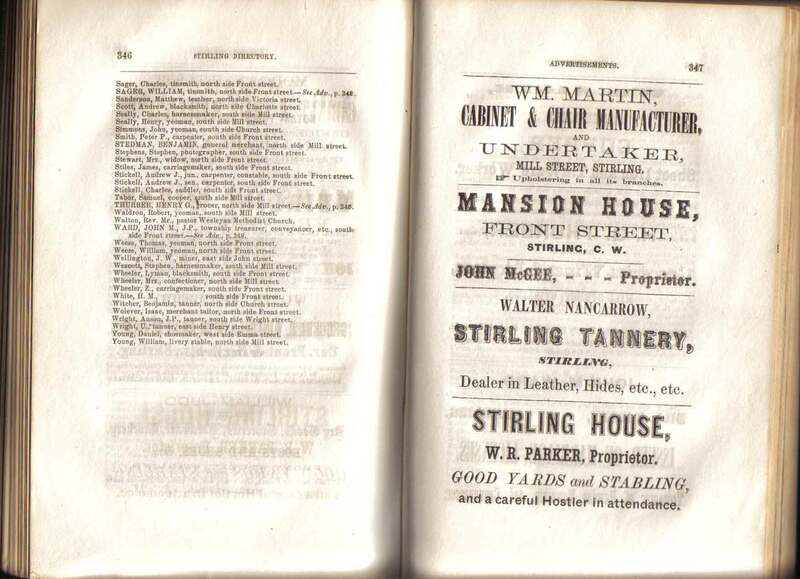 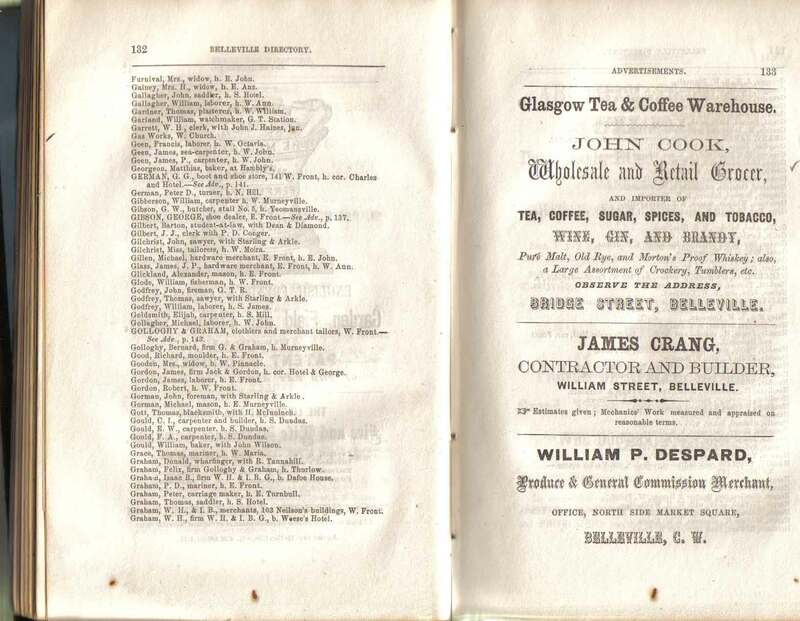 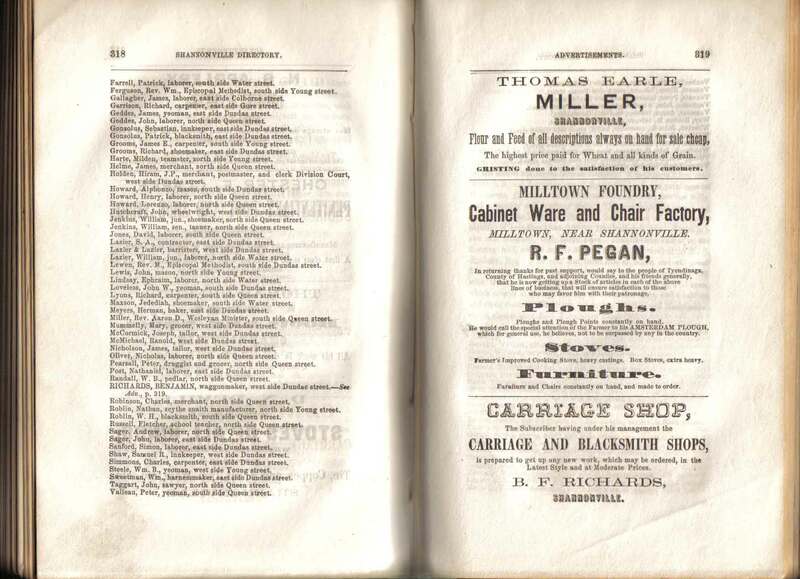 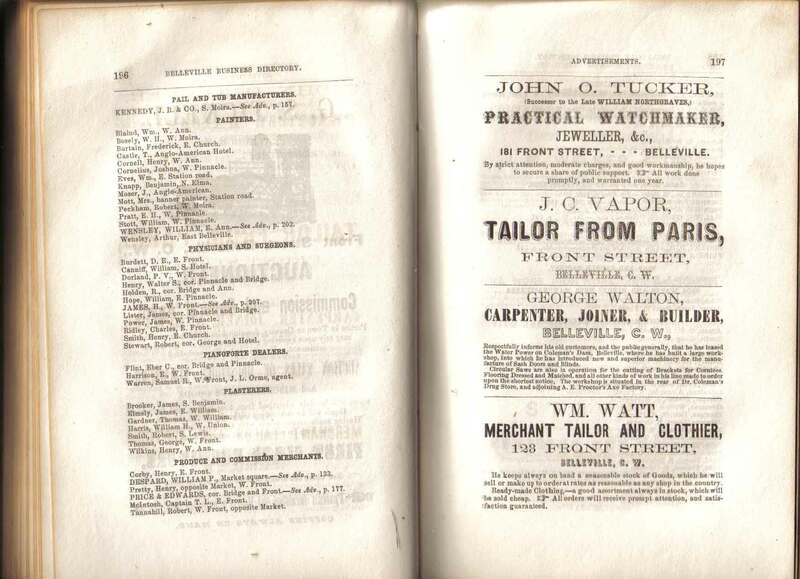 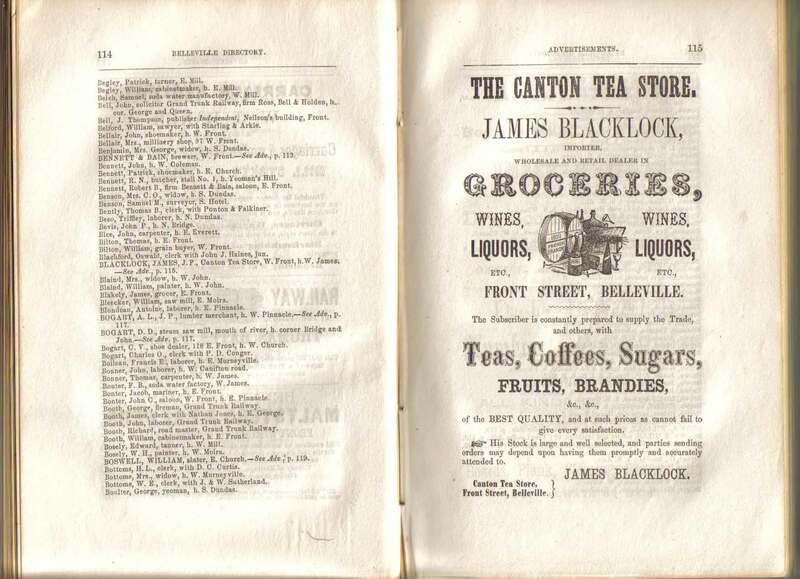 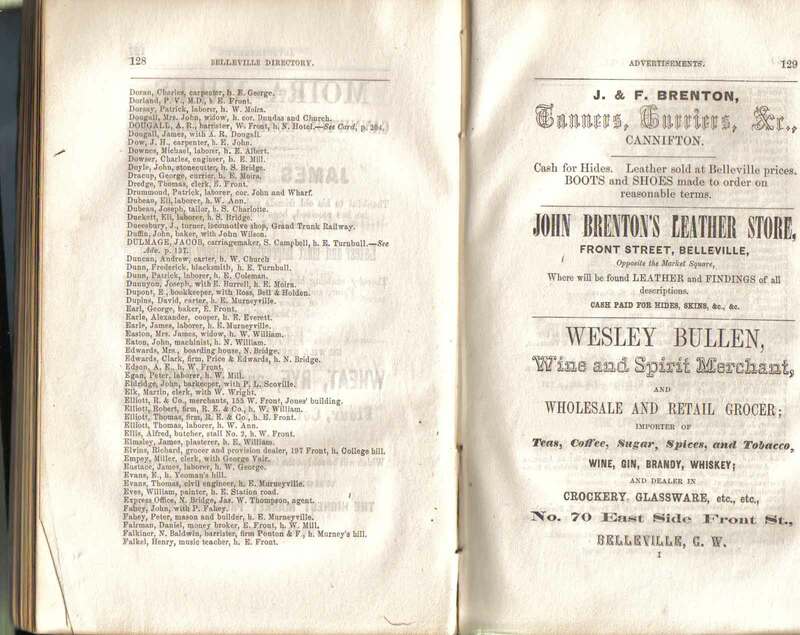 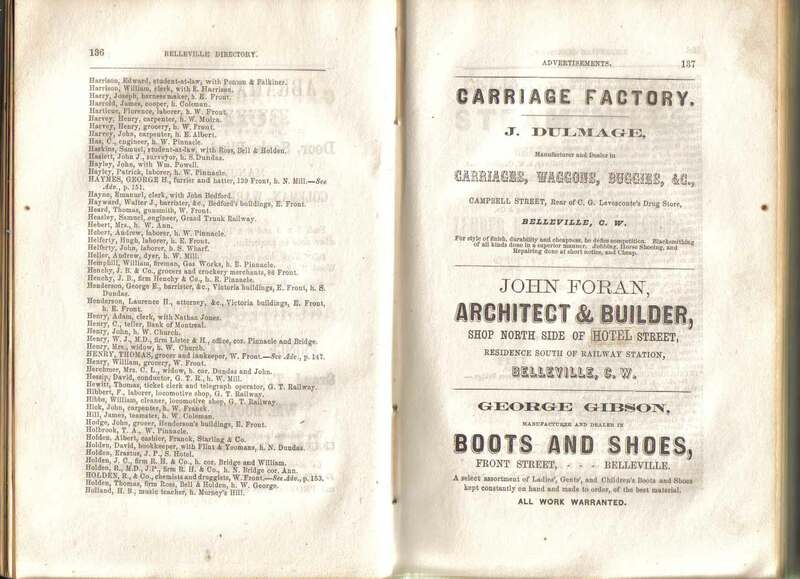 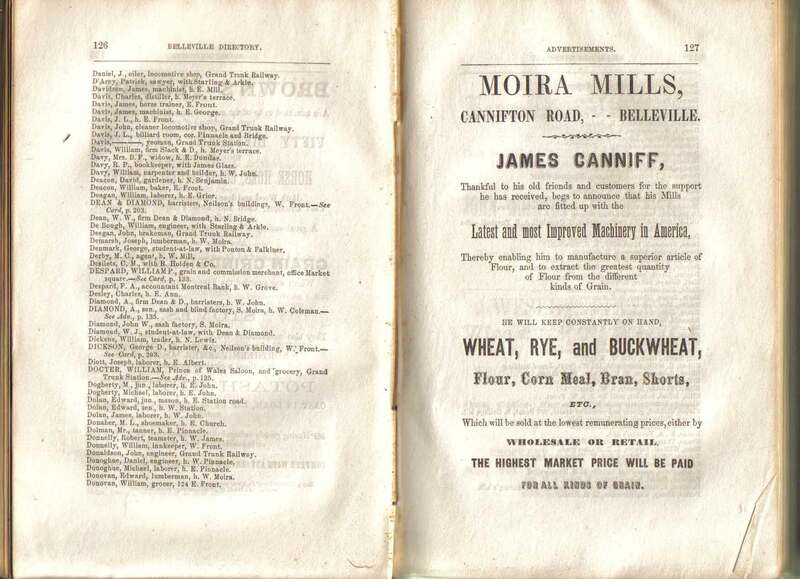 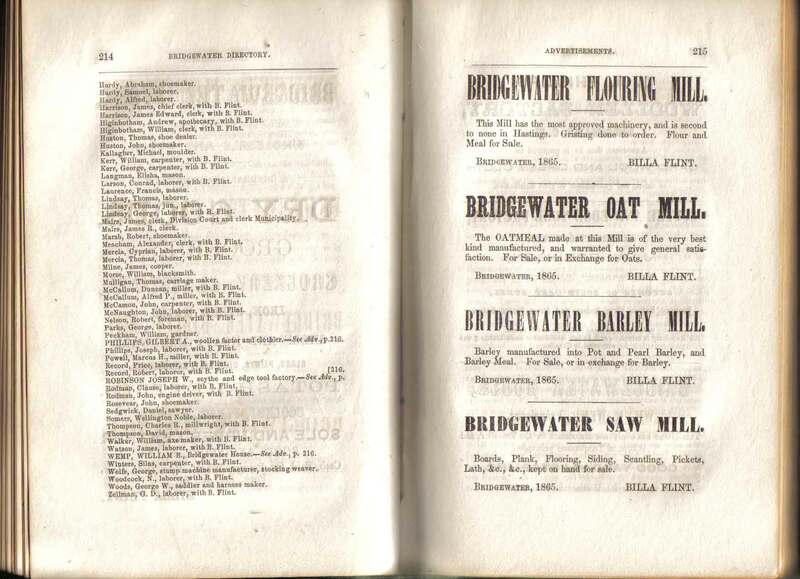 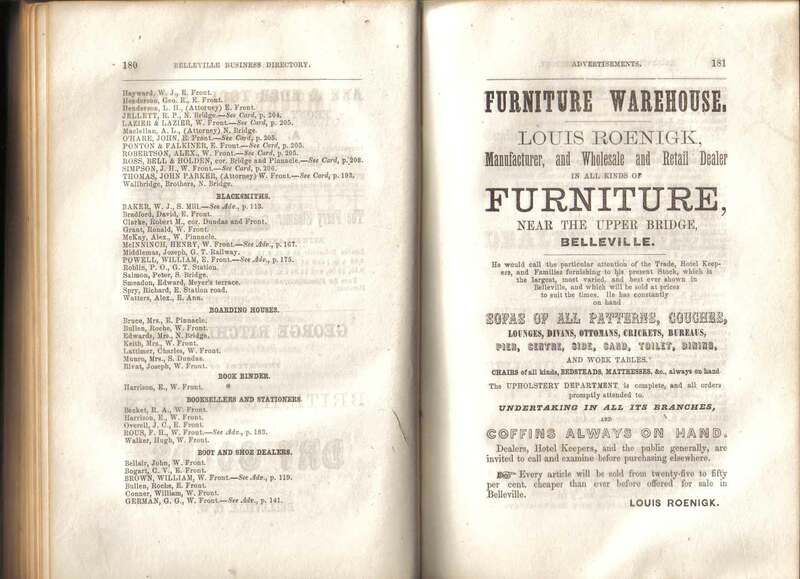 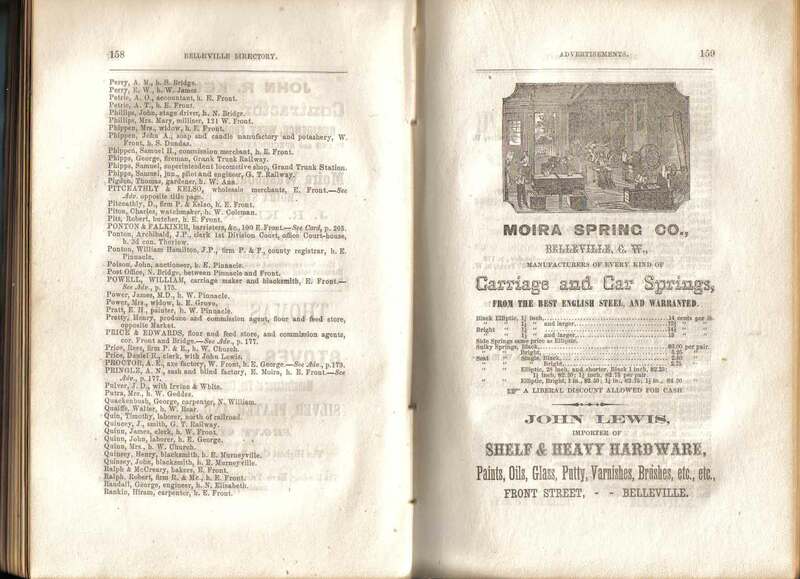 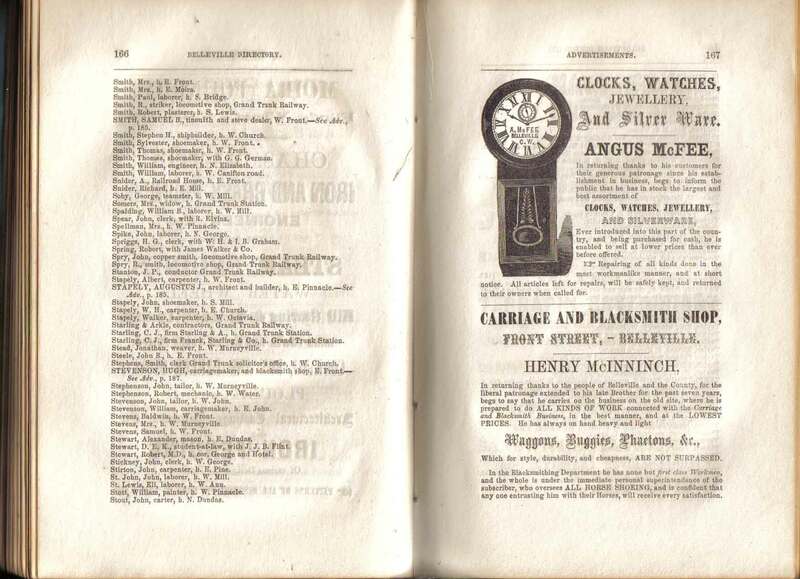 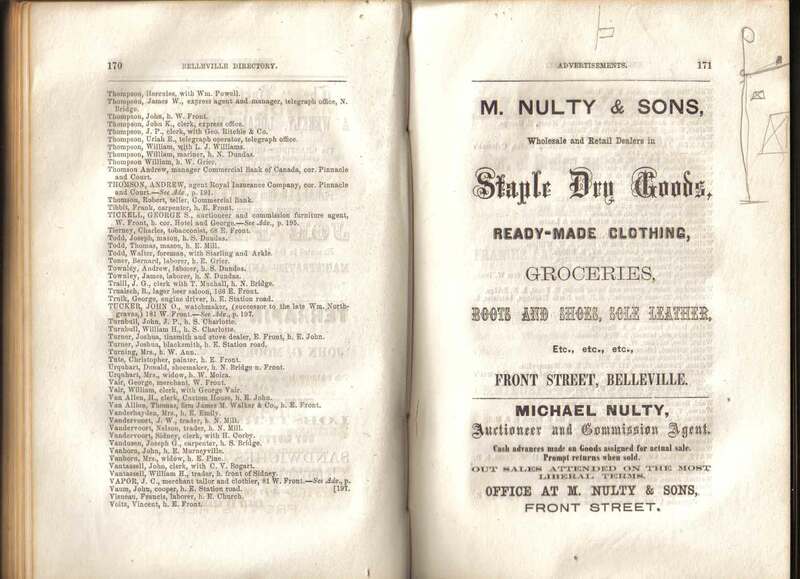 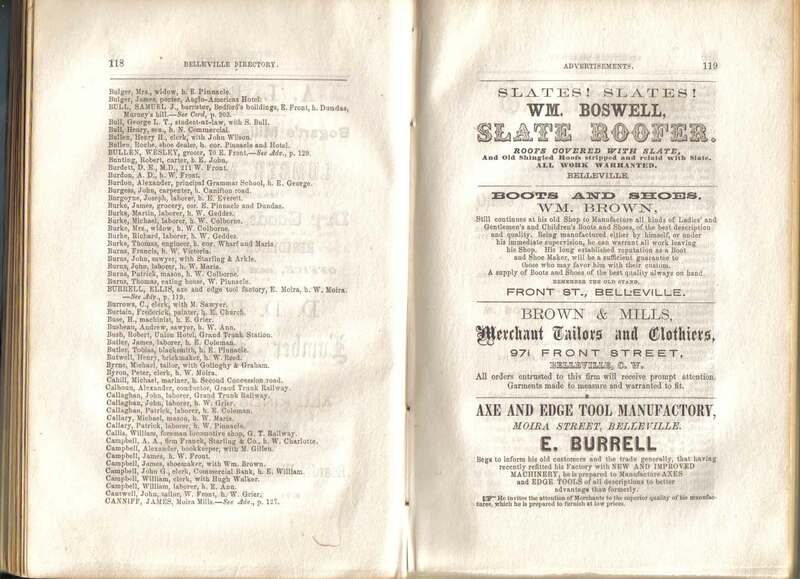 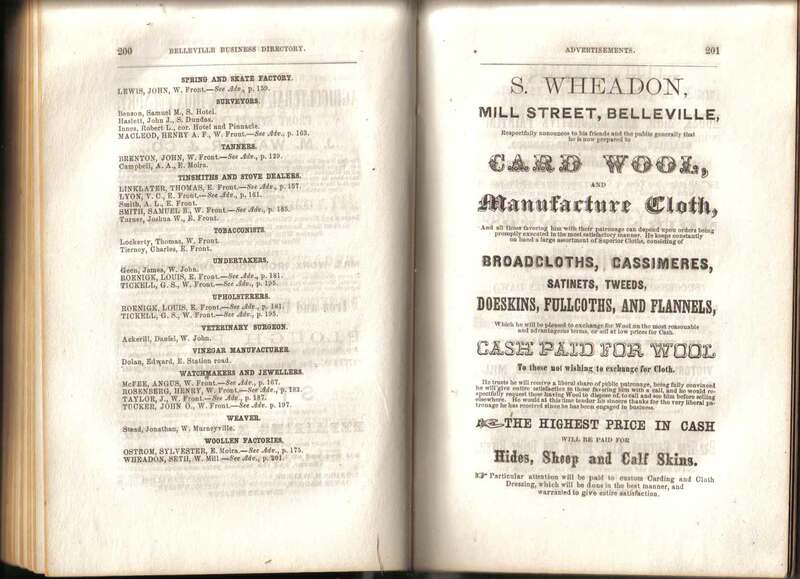 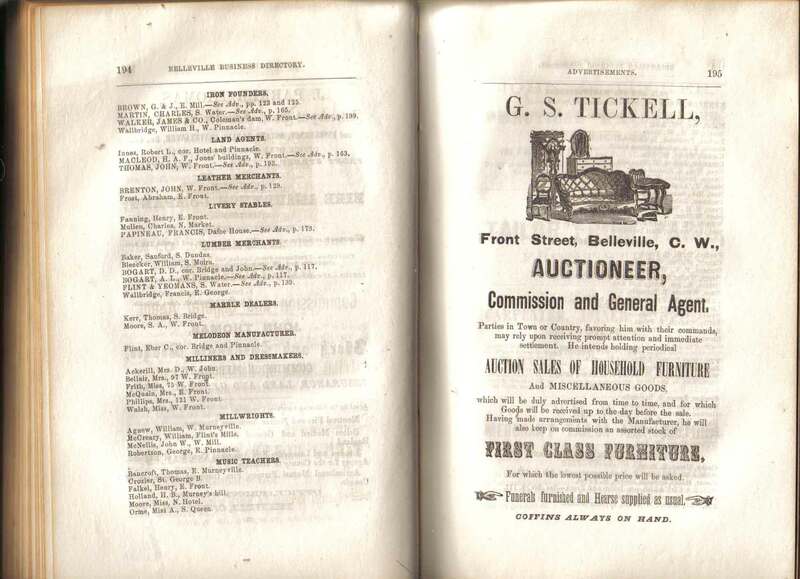 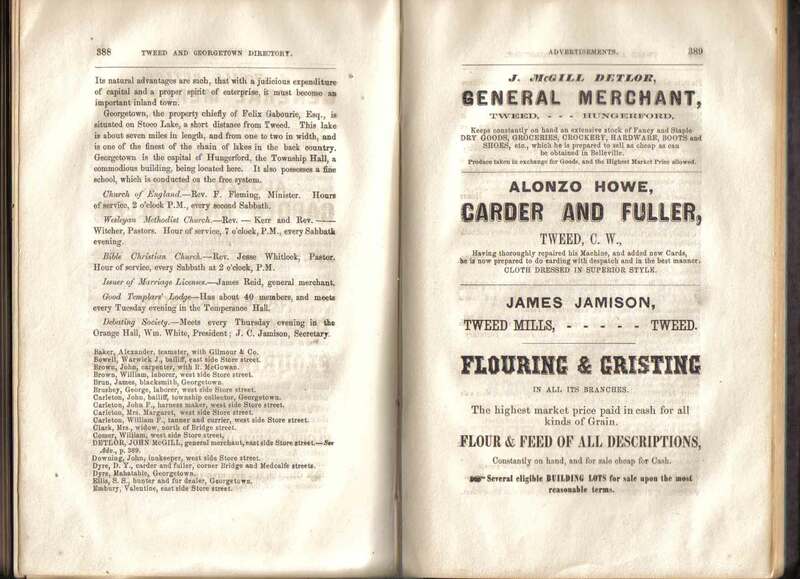 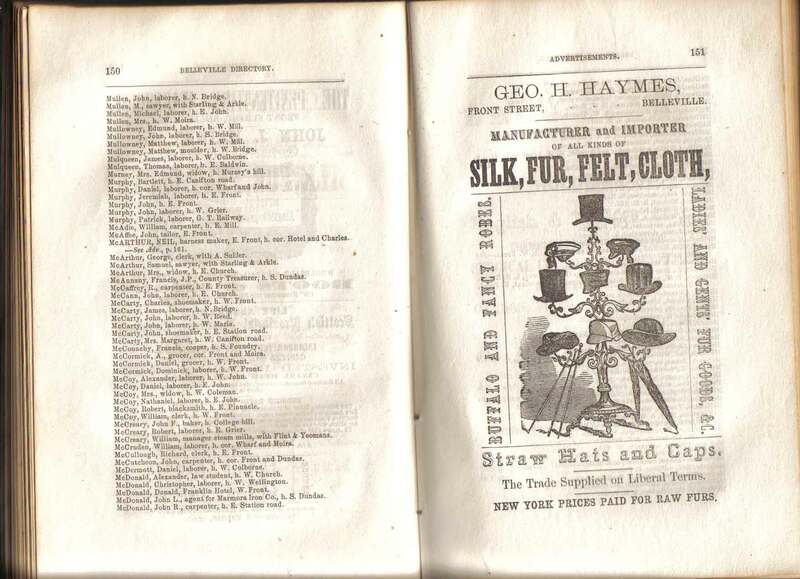 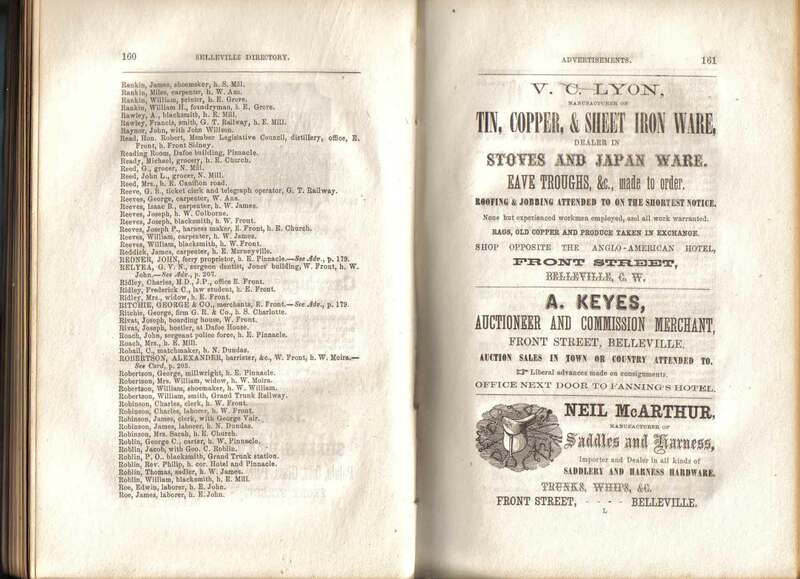 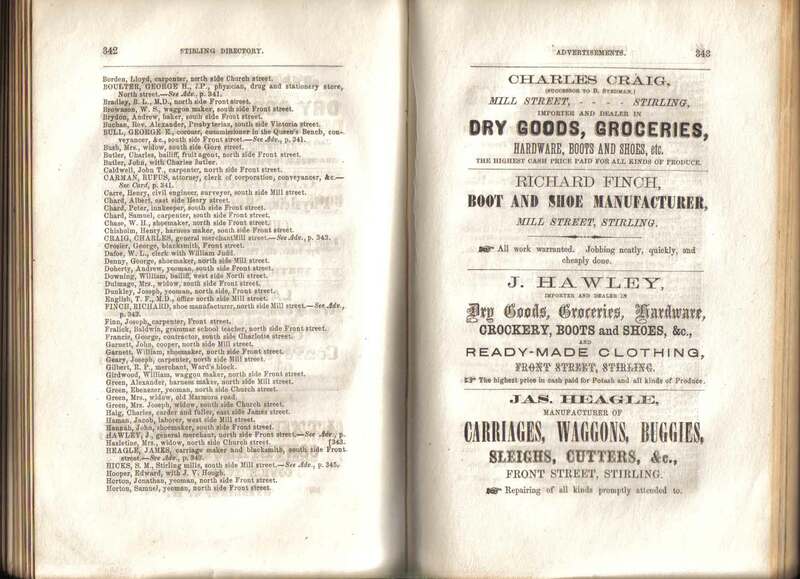 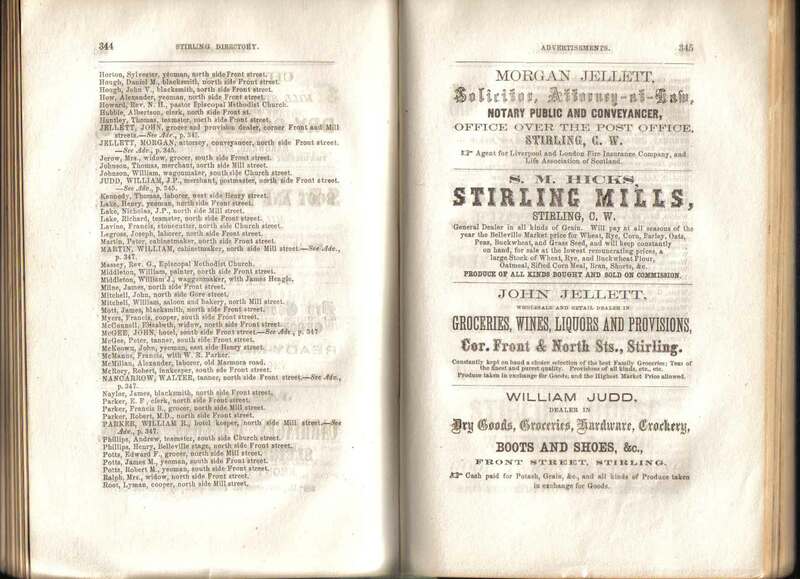 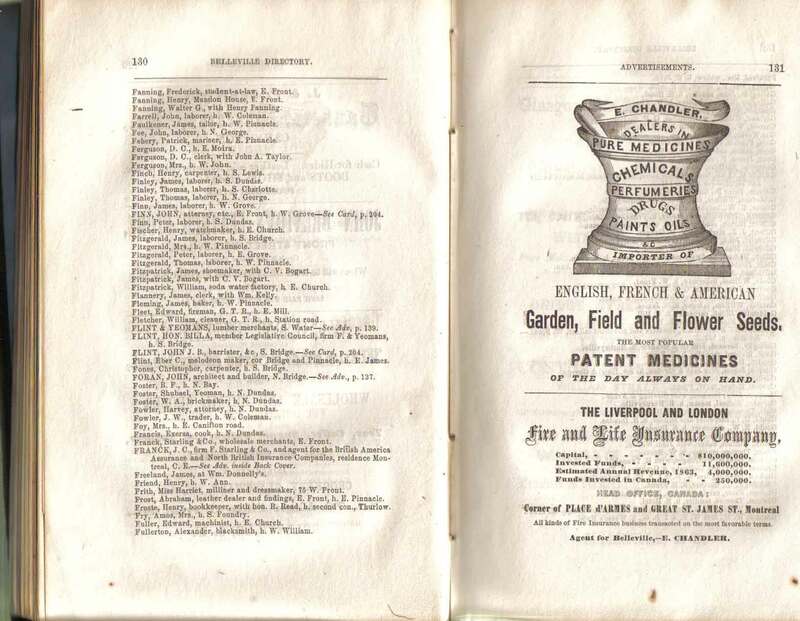 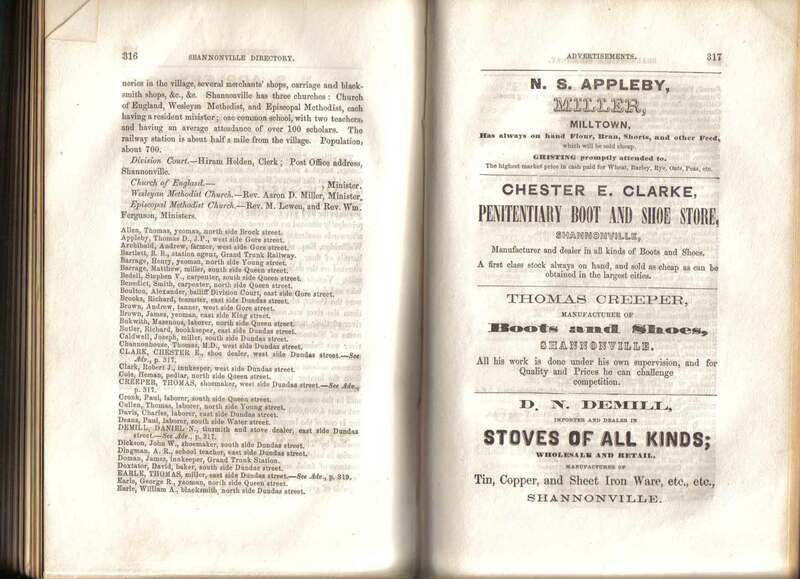 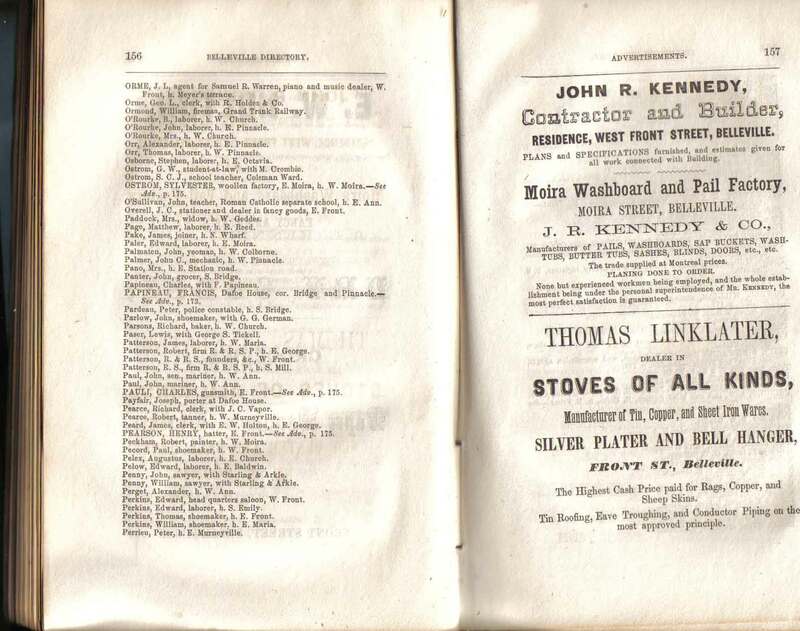 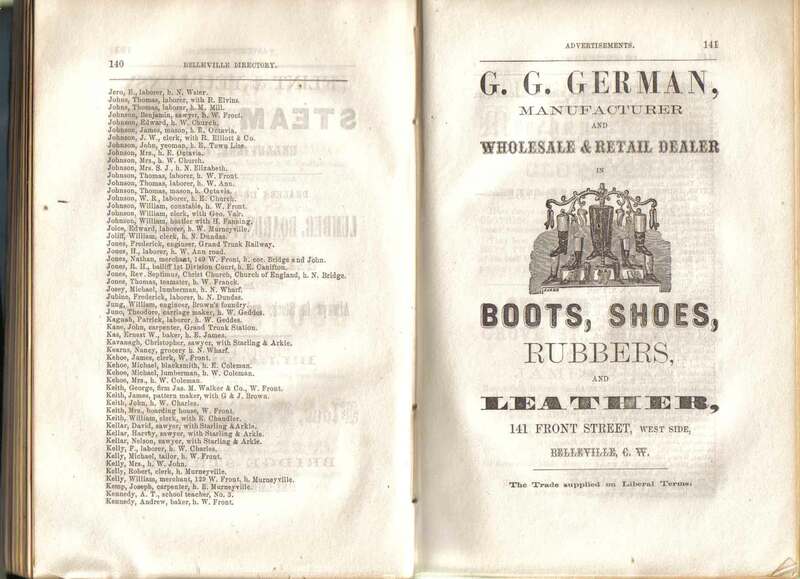 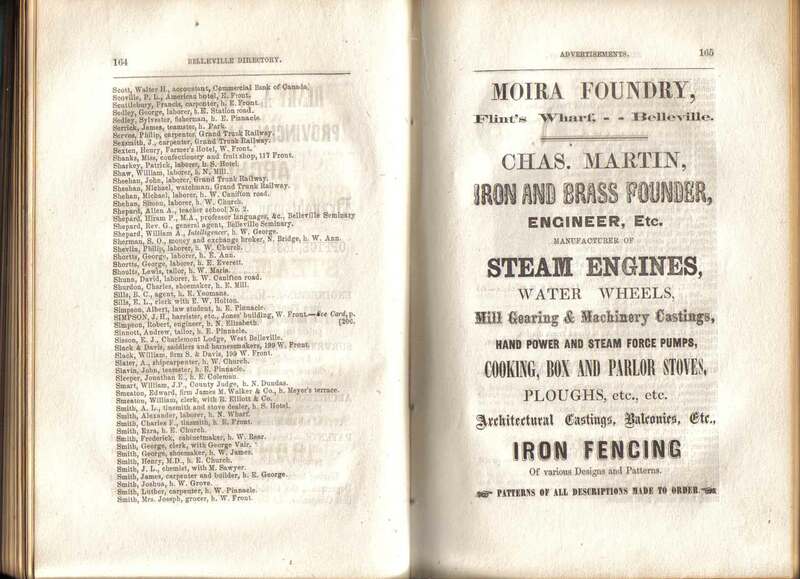 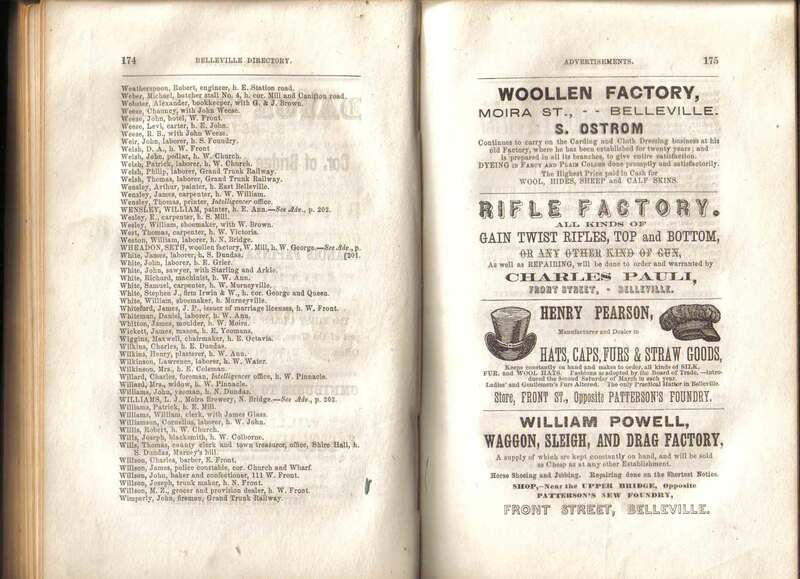 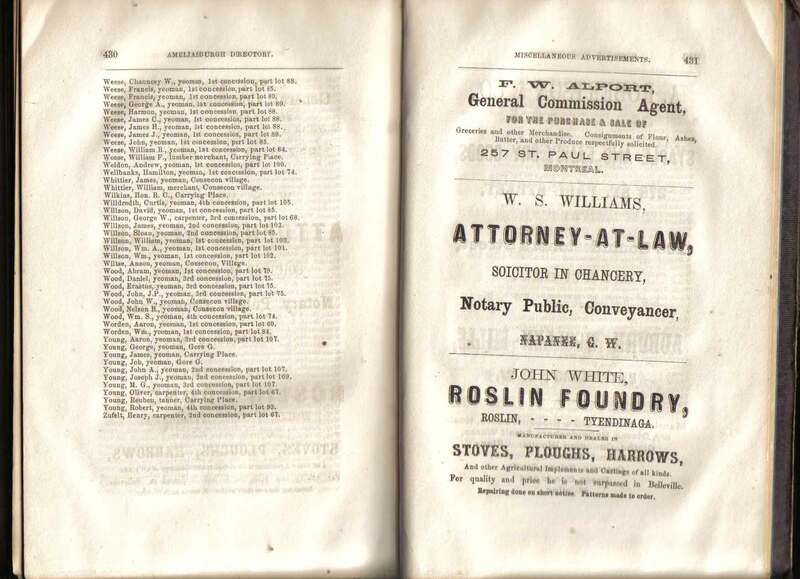 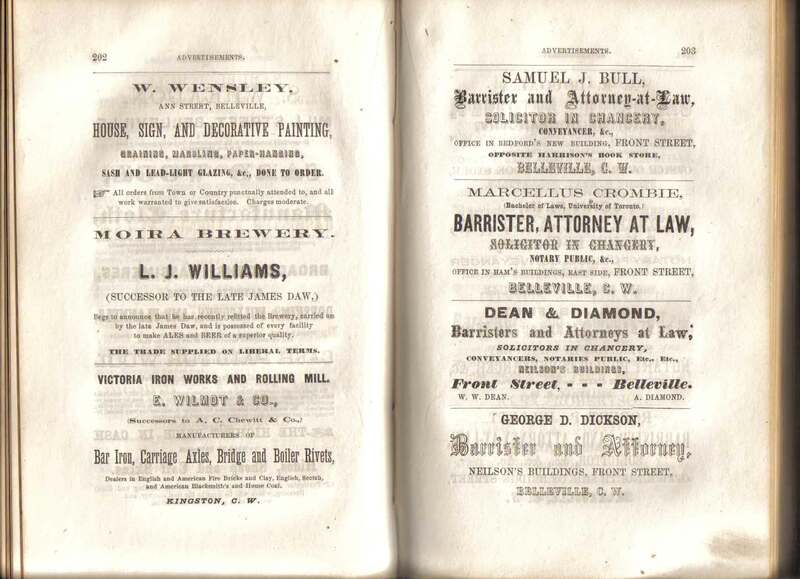 This Directory has wonderful advertisements in addition to lists of heads of households, etc. 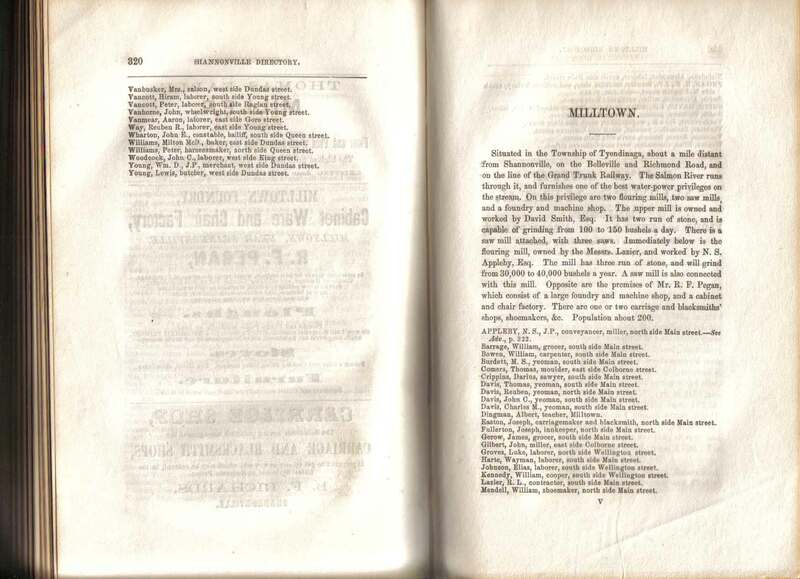 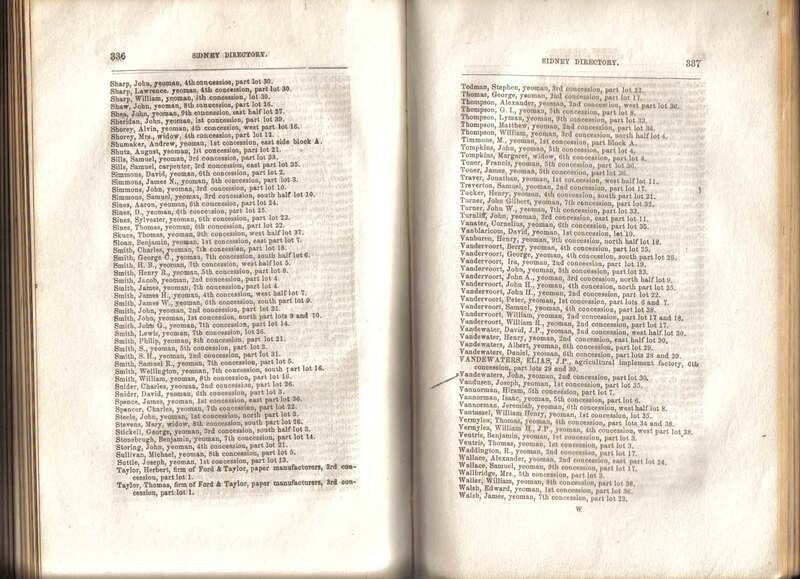 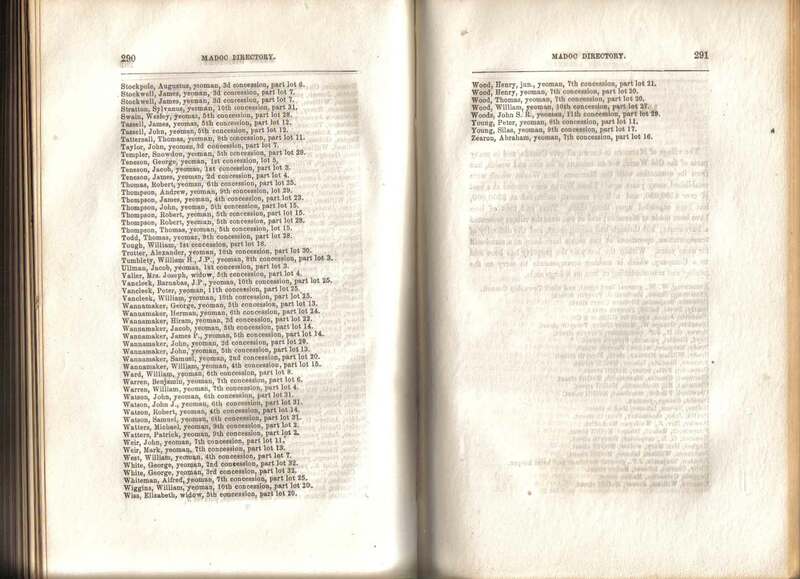 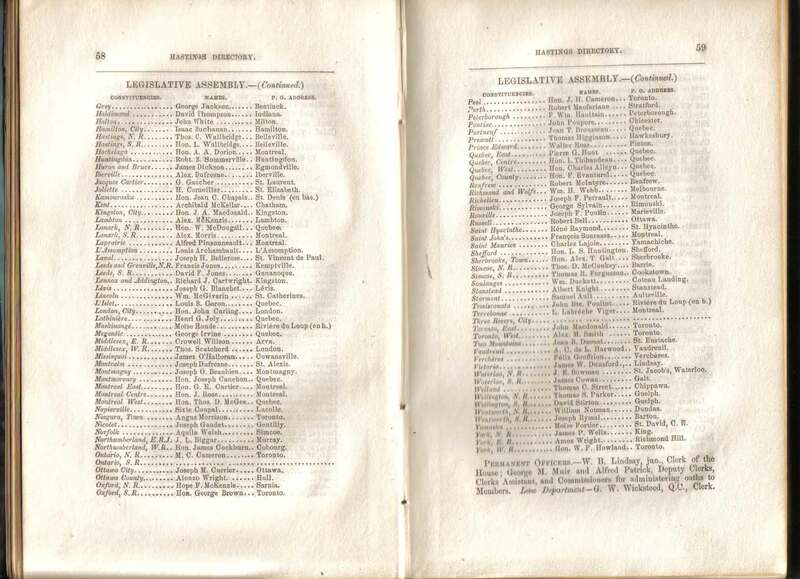 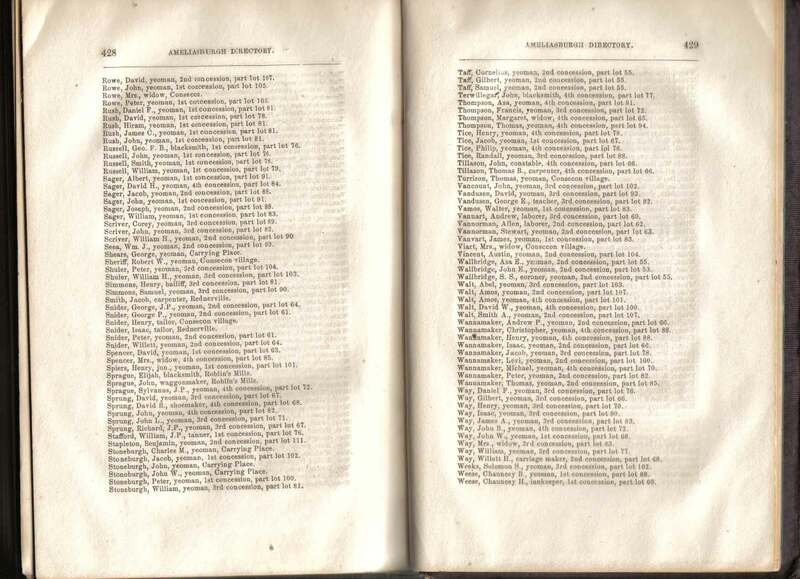 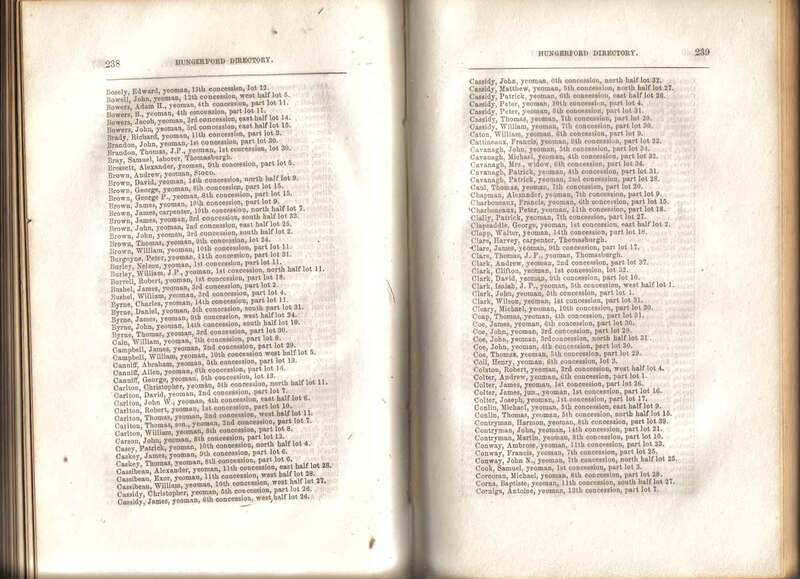 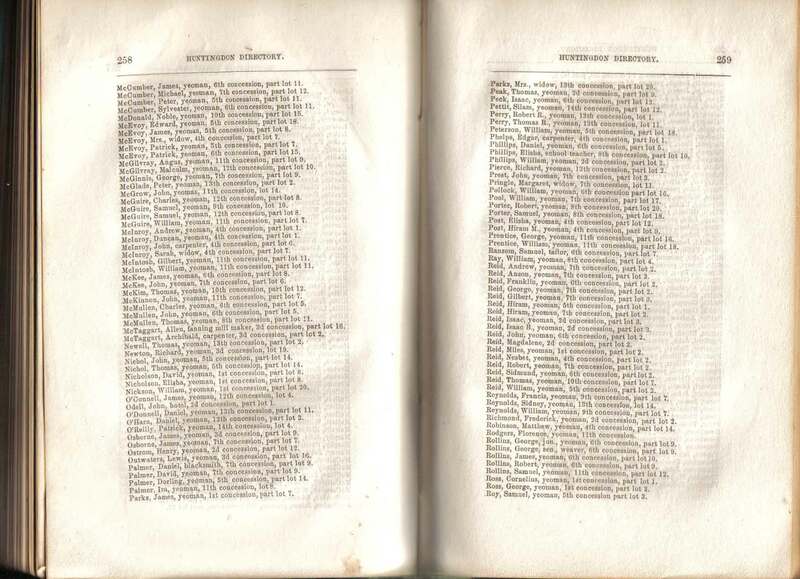 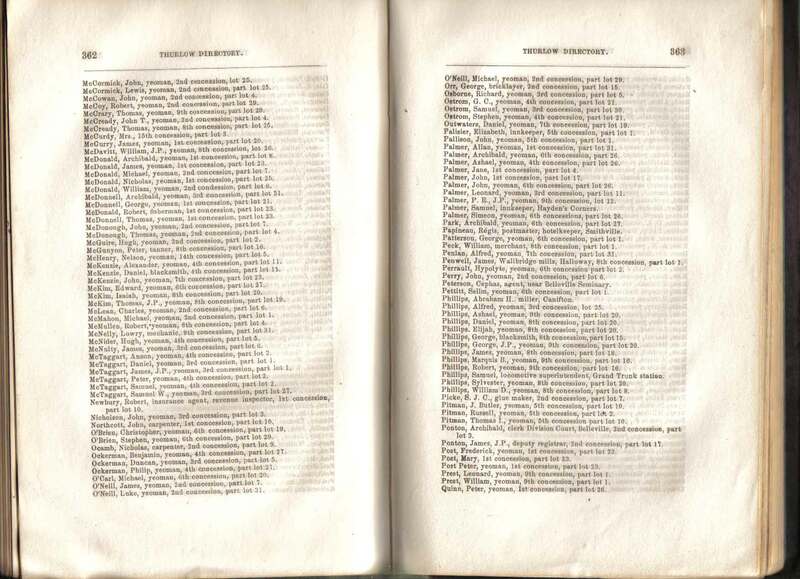 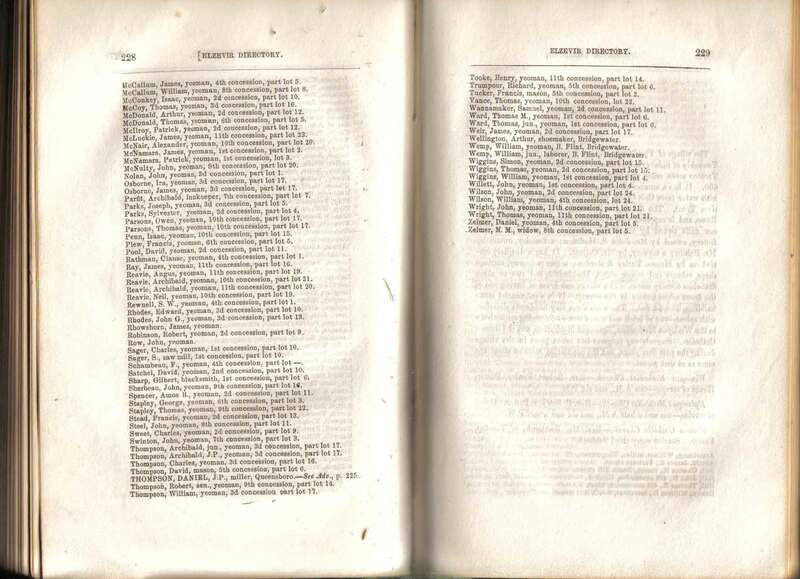 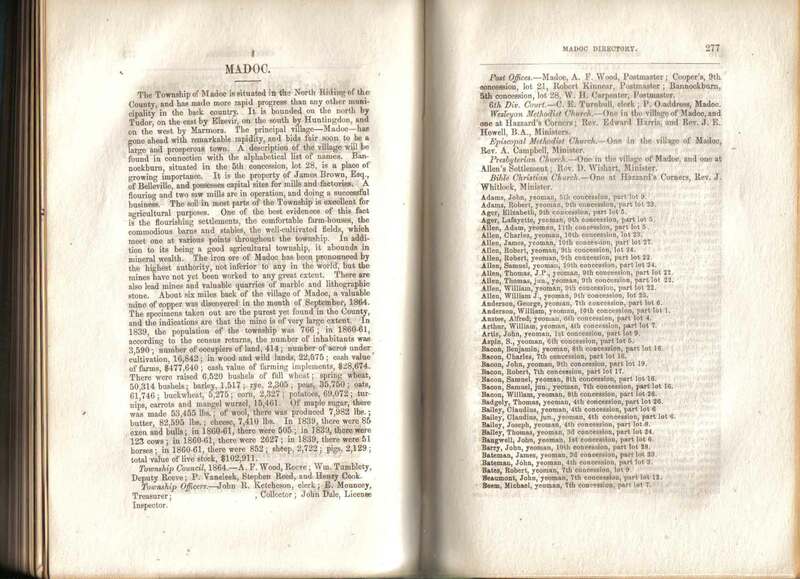 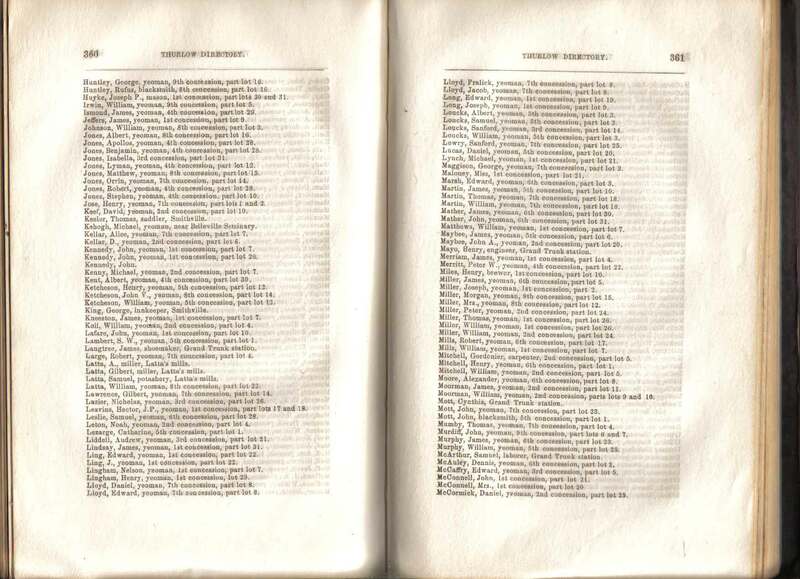 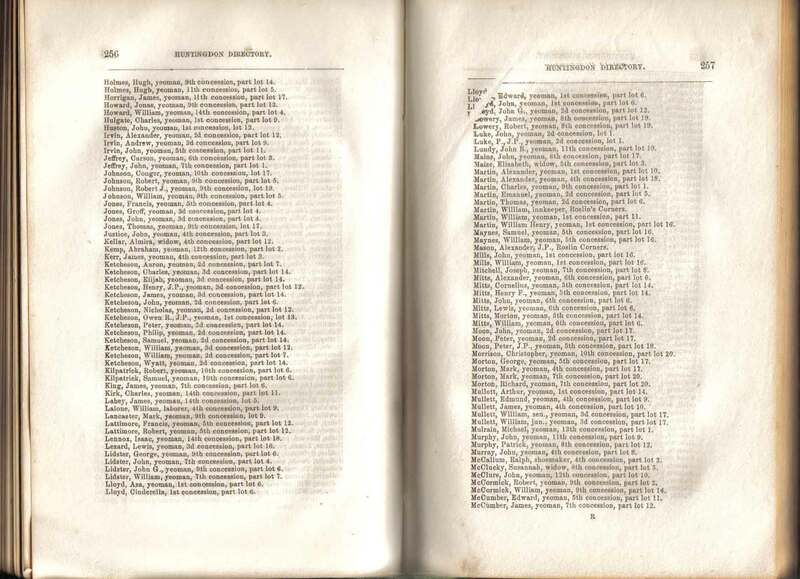 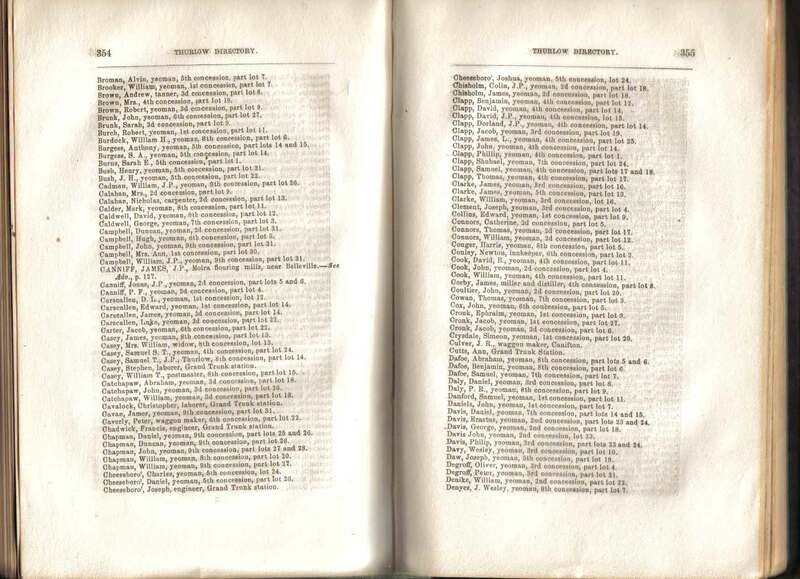 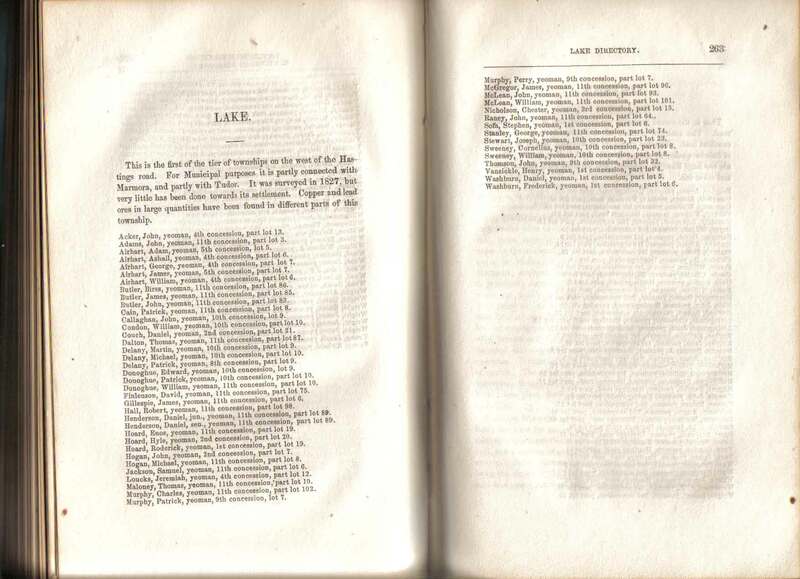 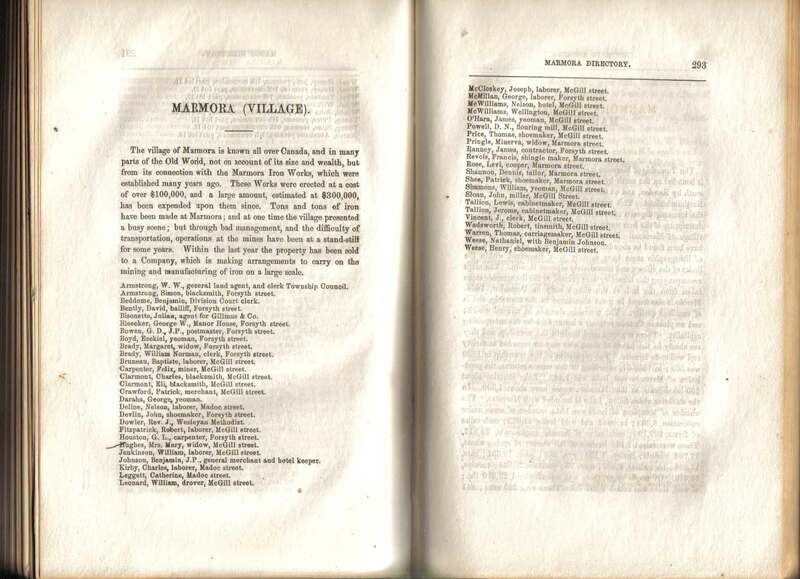 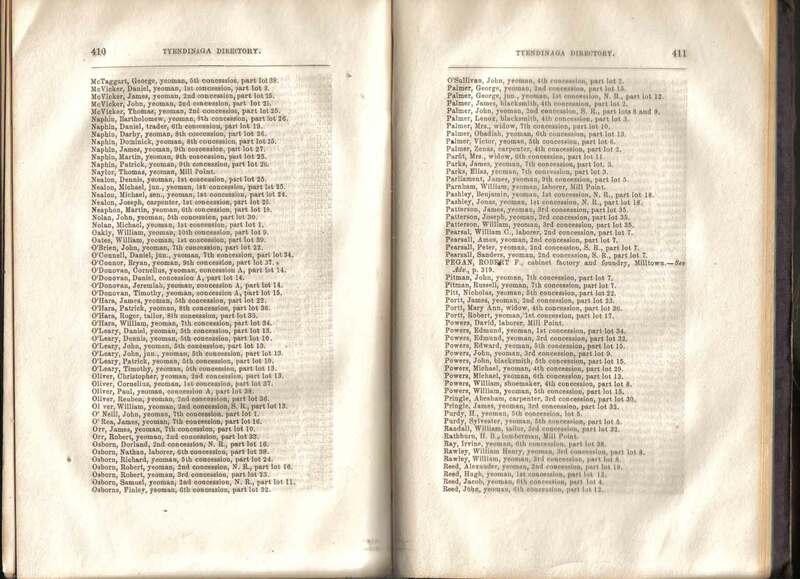 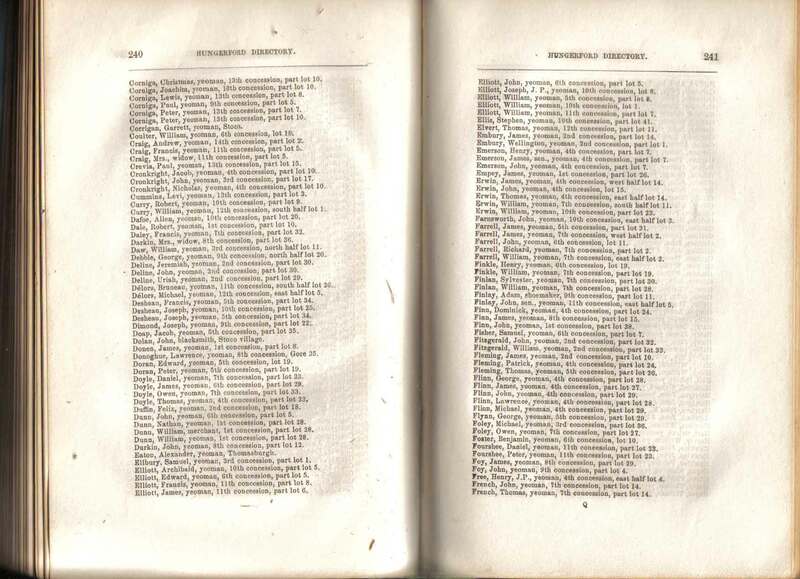 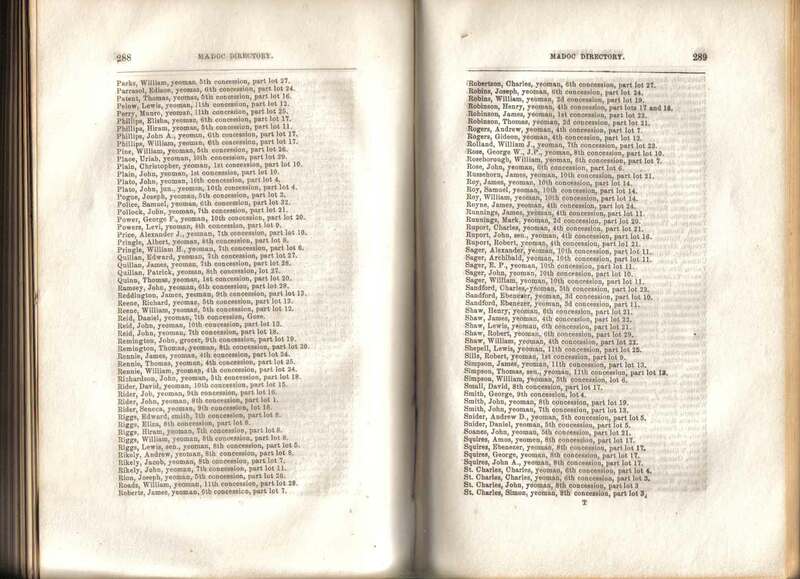 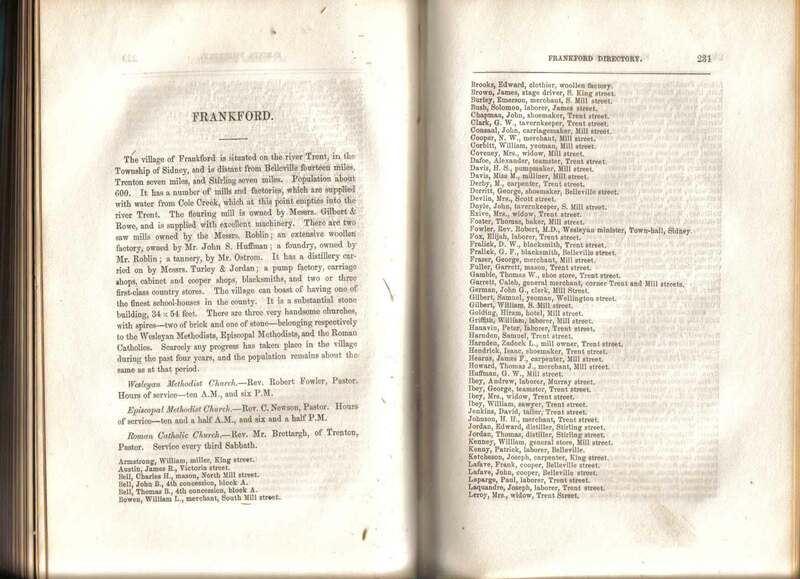 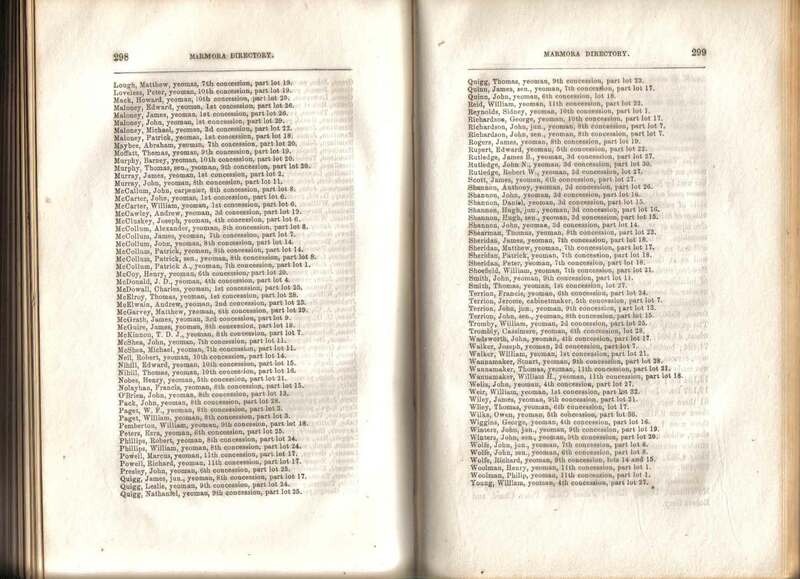 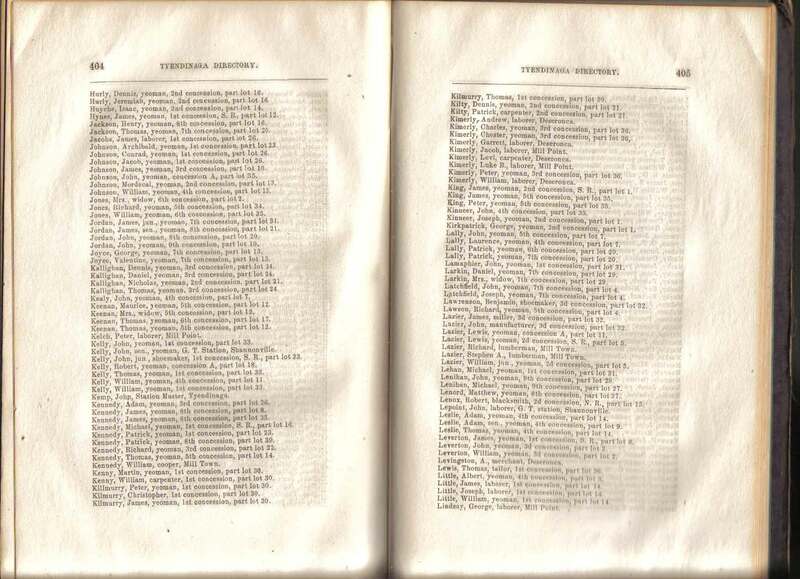 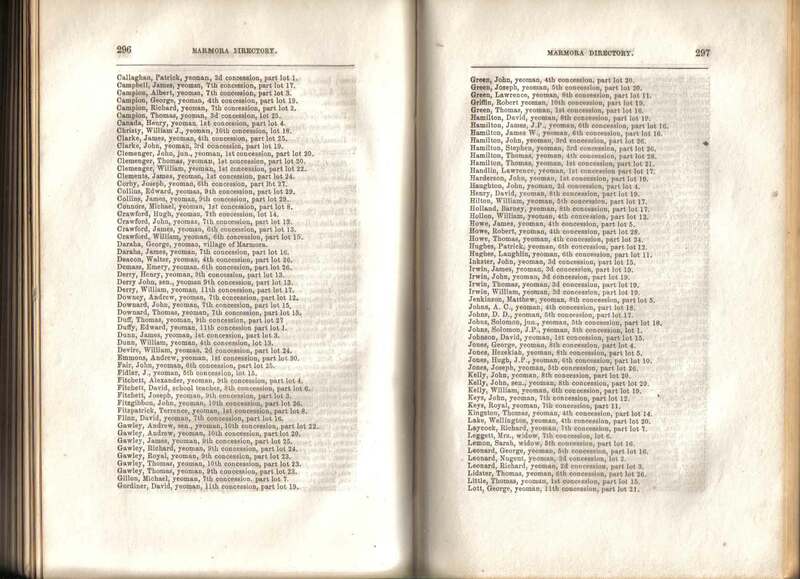 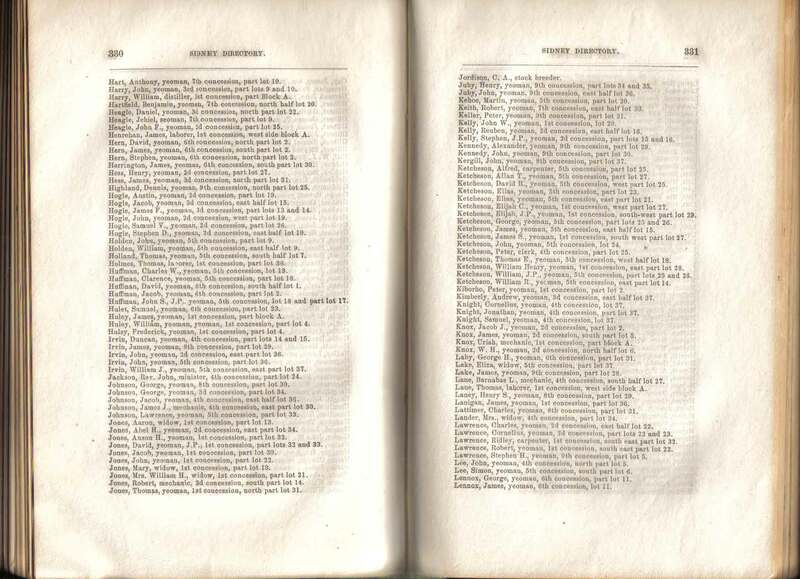 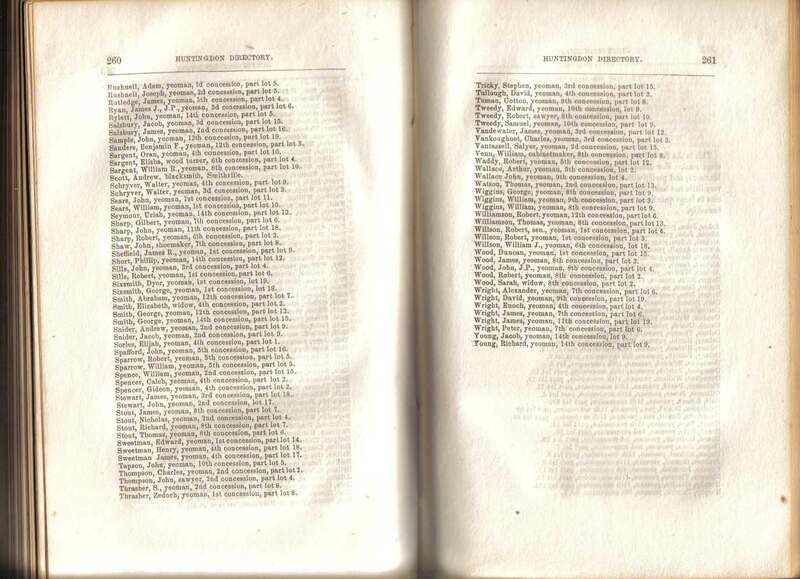 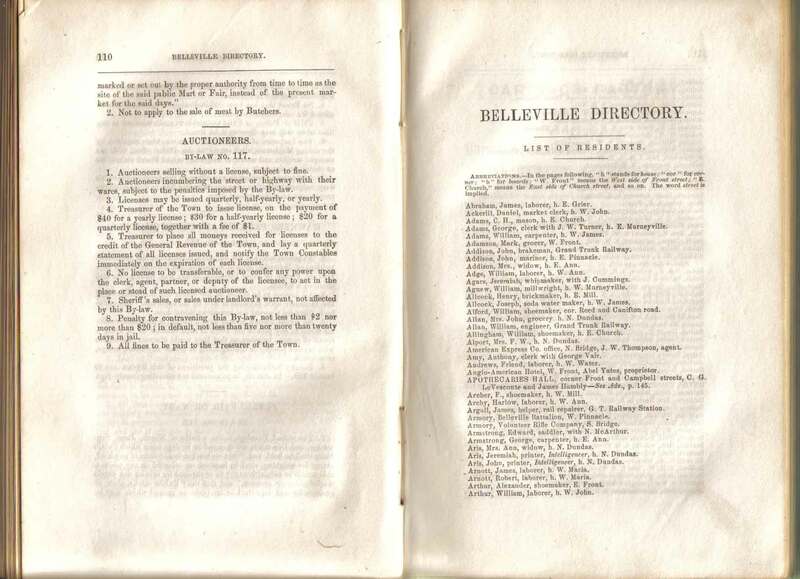 The Introduction states that this Directory is a second edition. 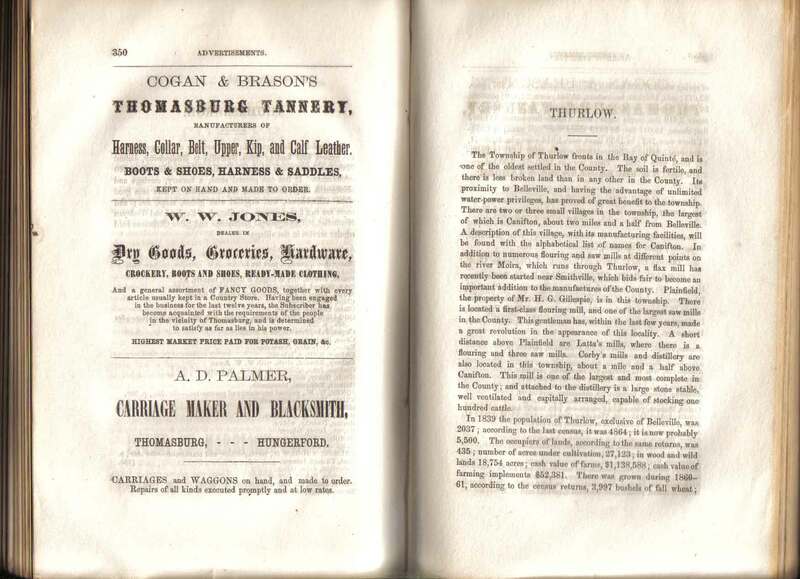 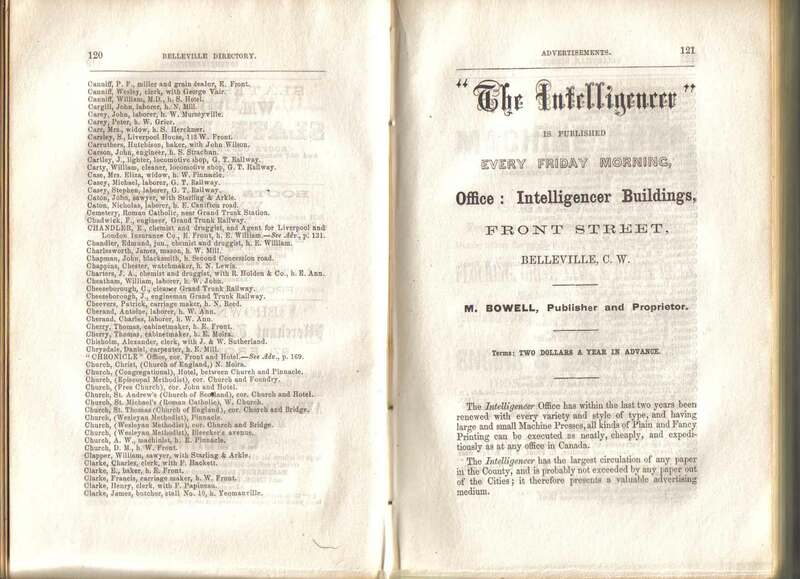 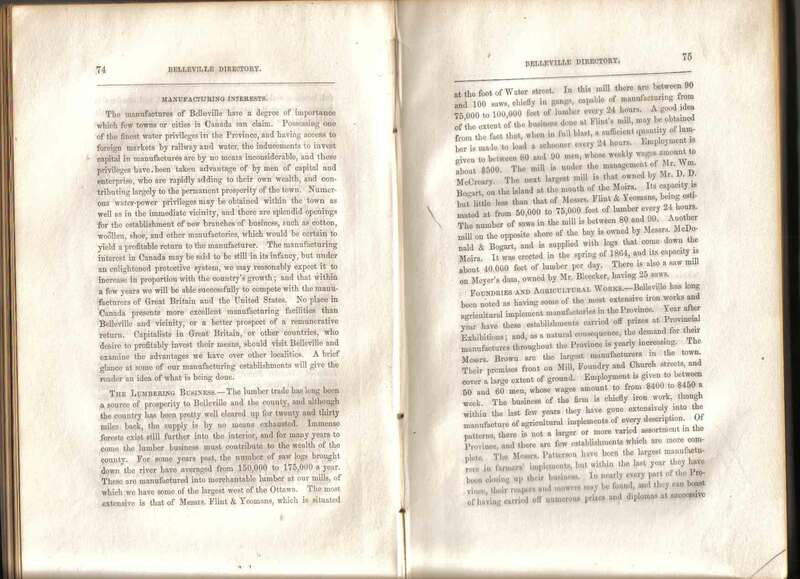 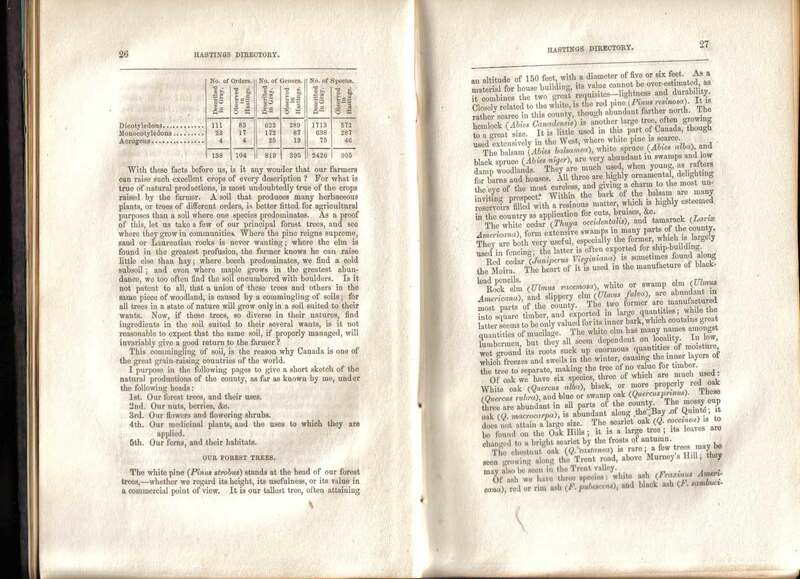 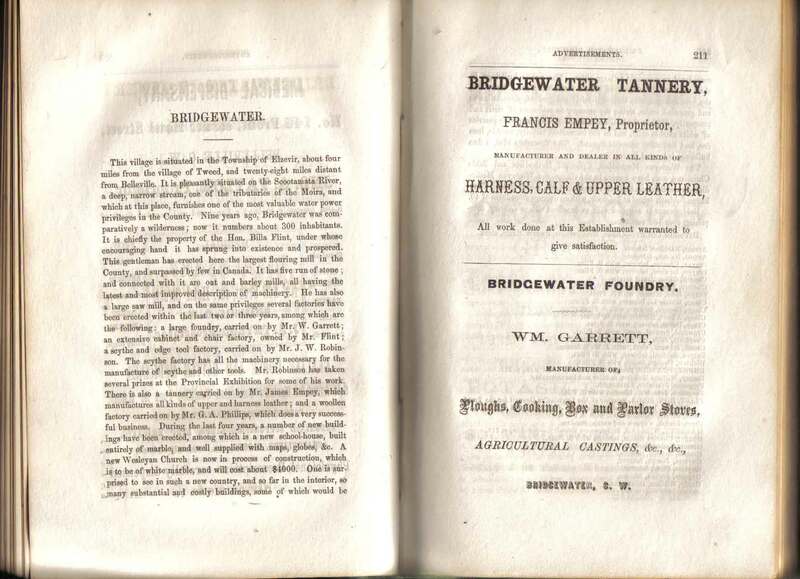 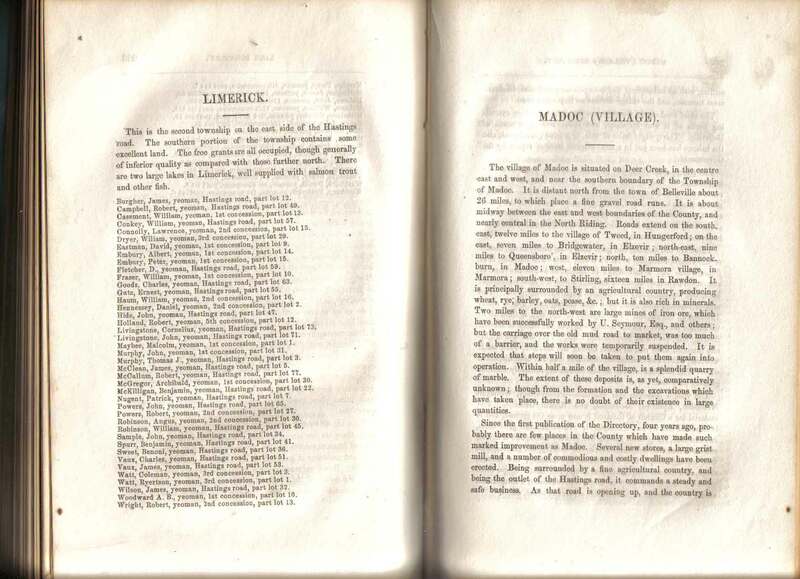 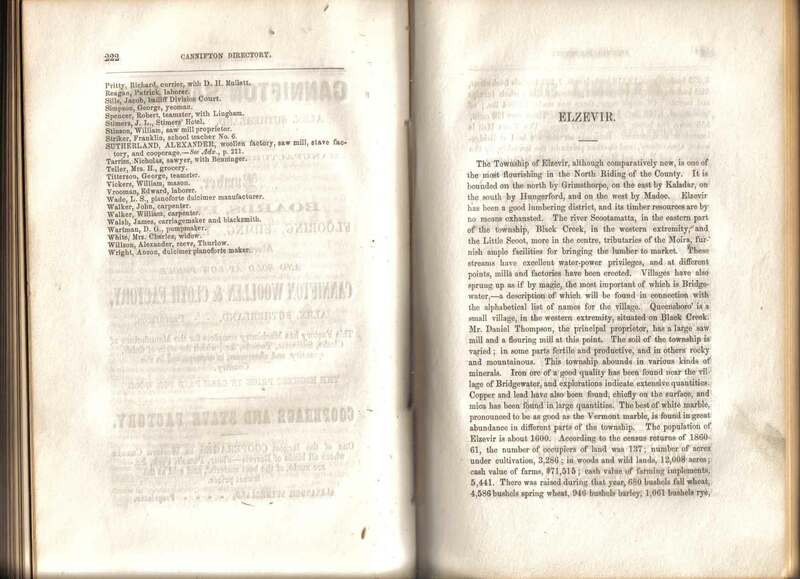 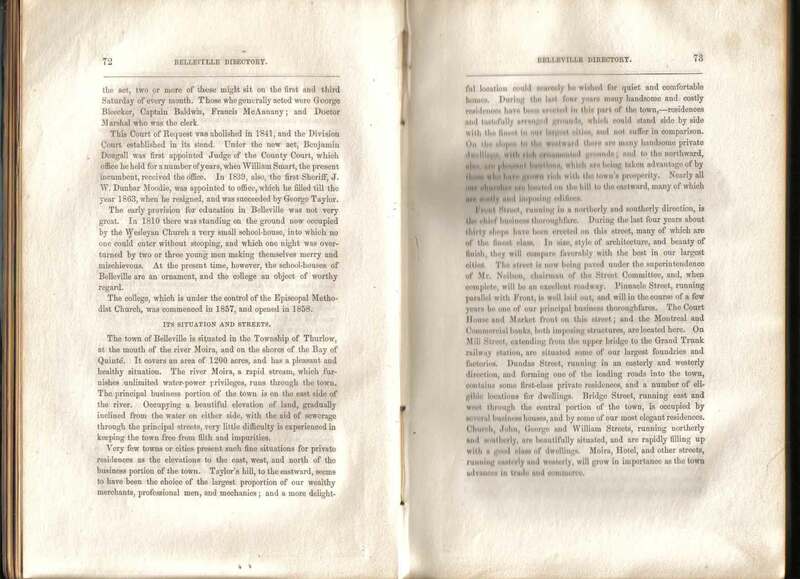 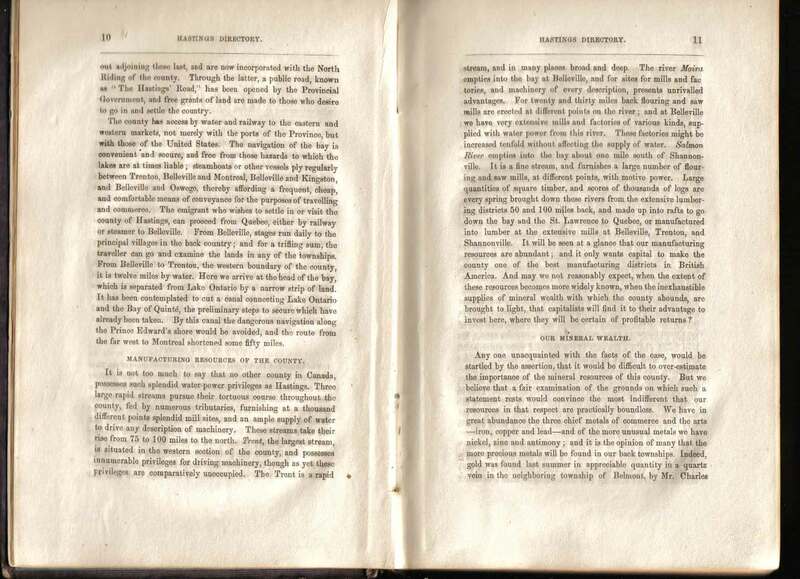 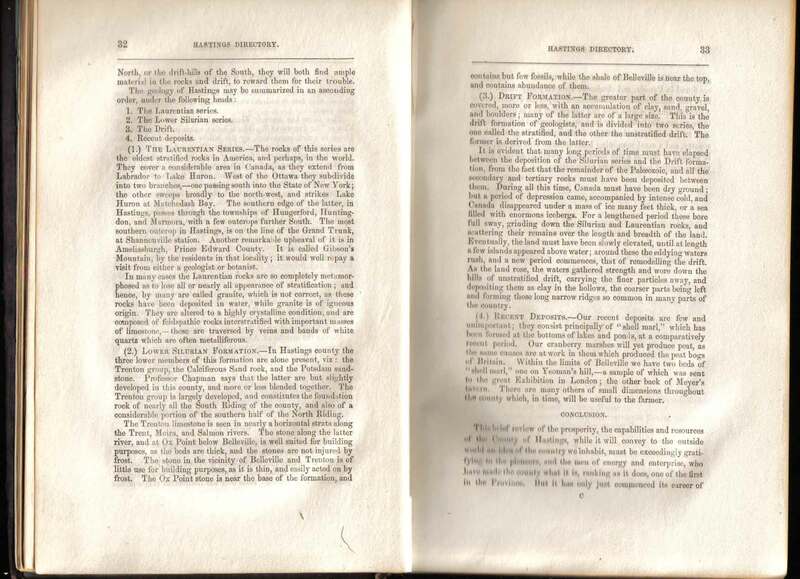 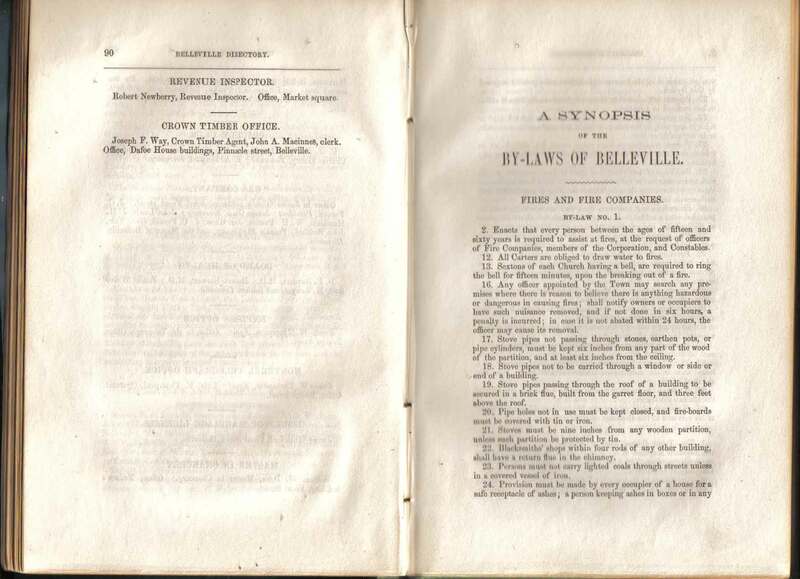 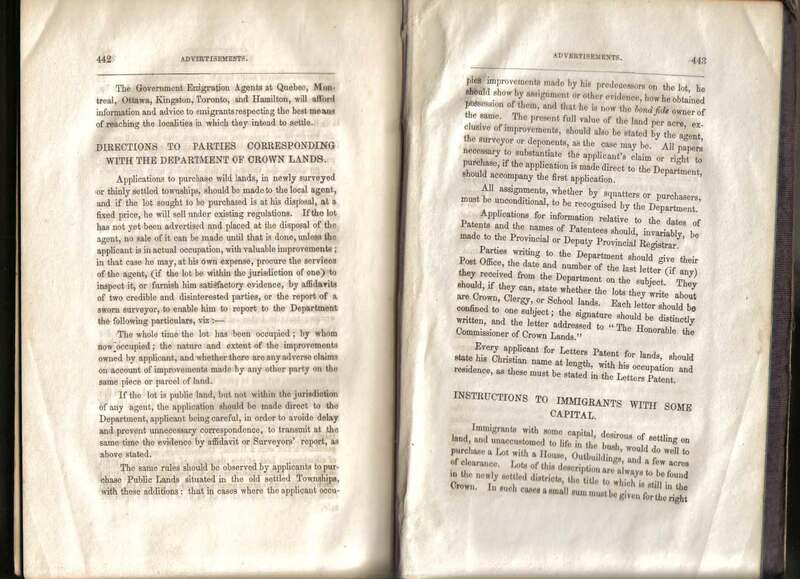 The first edition was published in 1860. 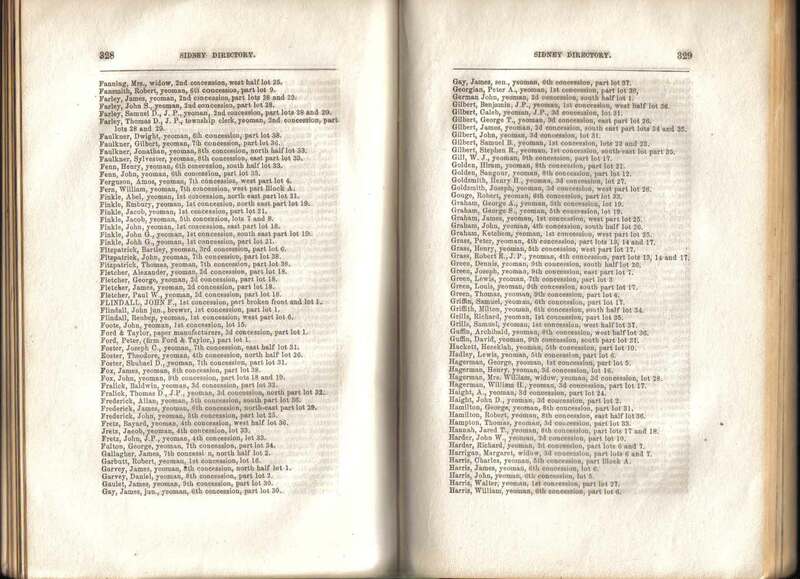 These pages are not indexed by the google search engine because they are graphic images and not text files. 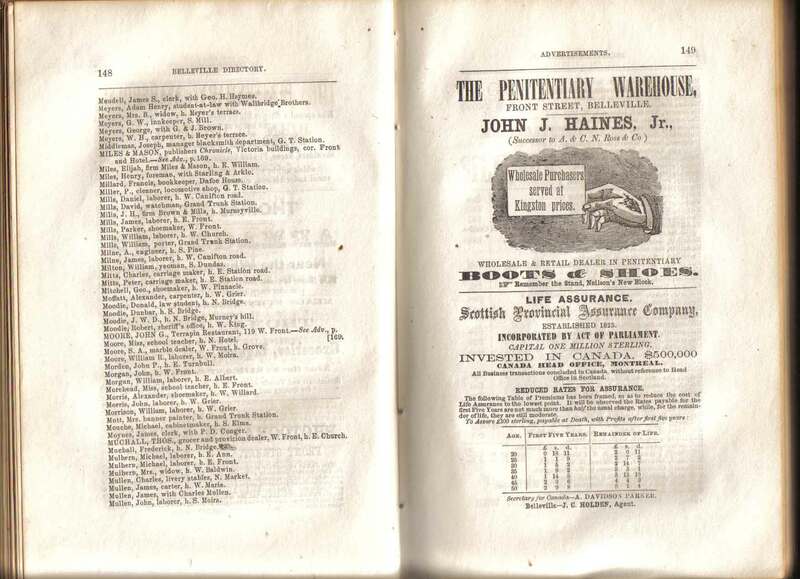 You must search by hand! 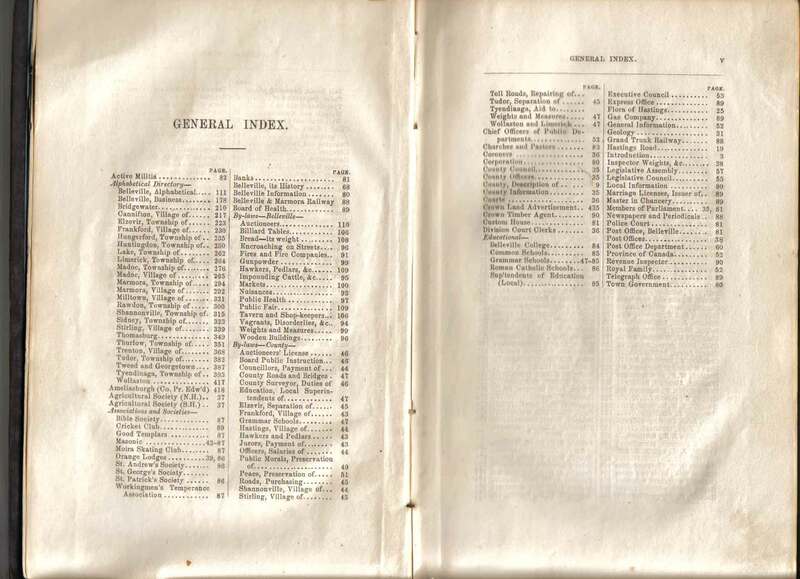 Start with the General Index below and have fun hunting. 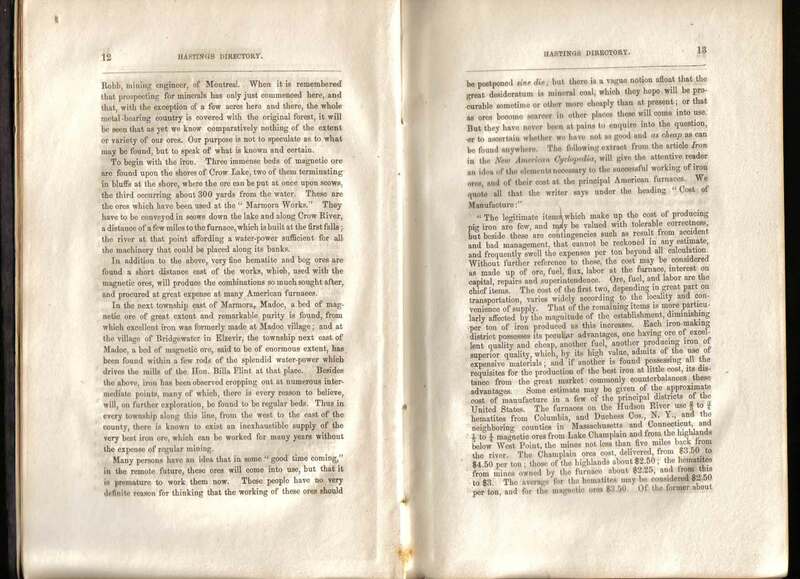 Each image includes two pages. 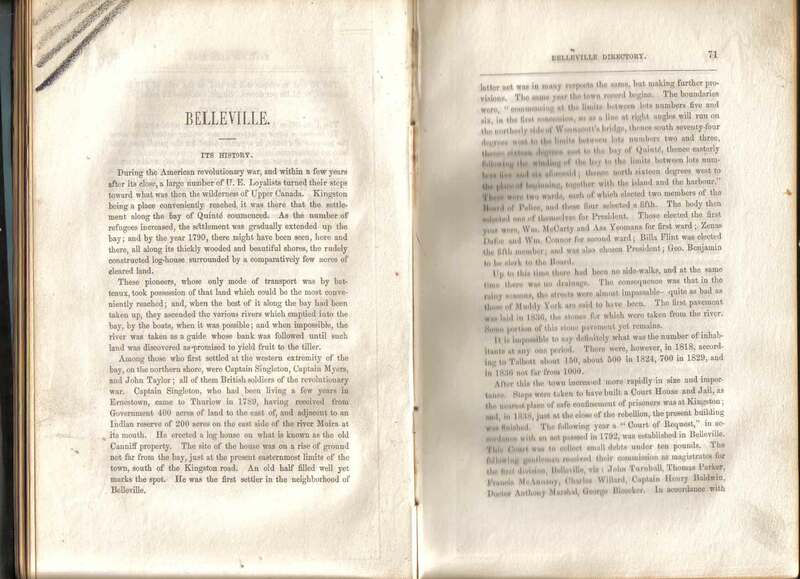 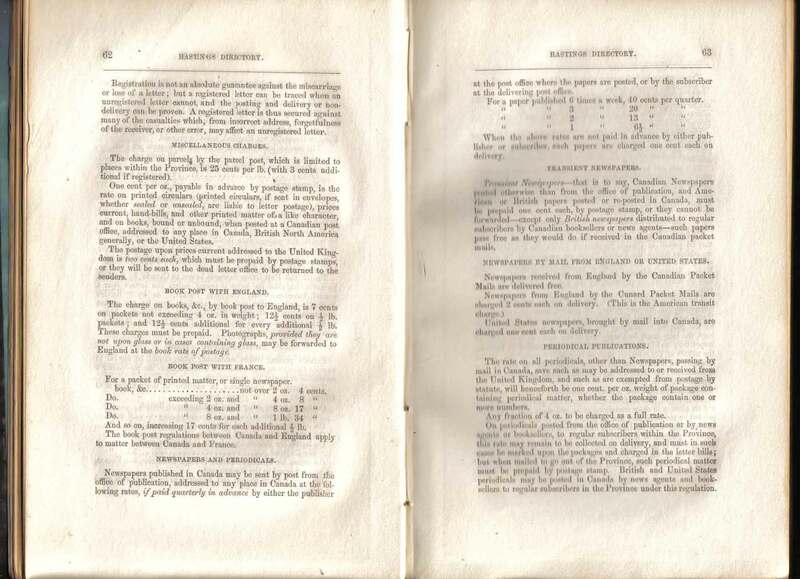 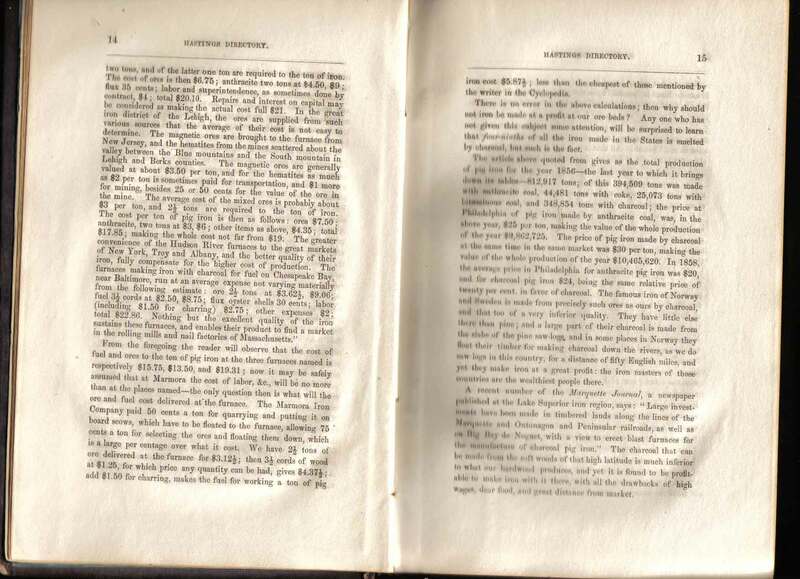 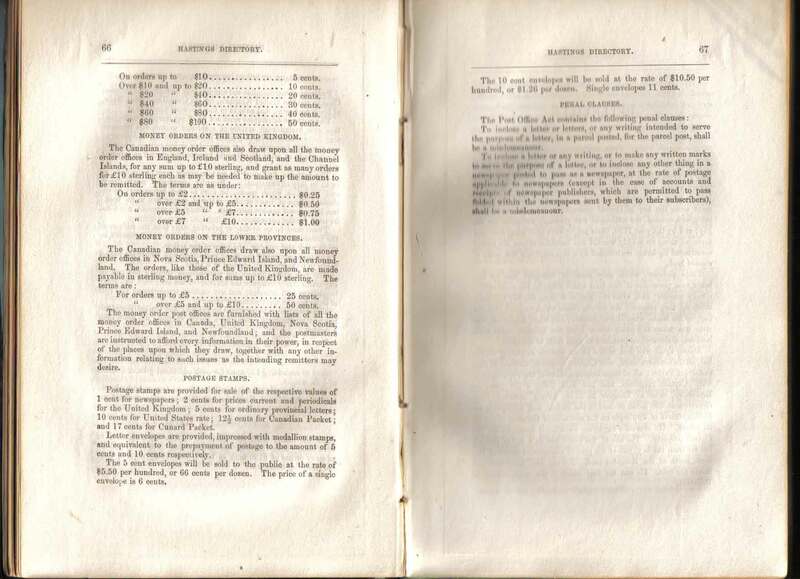 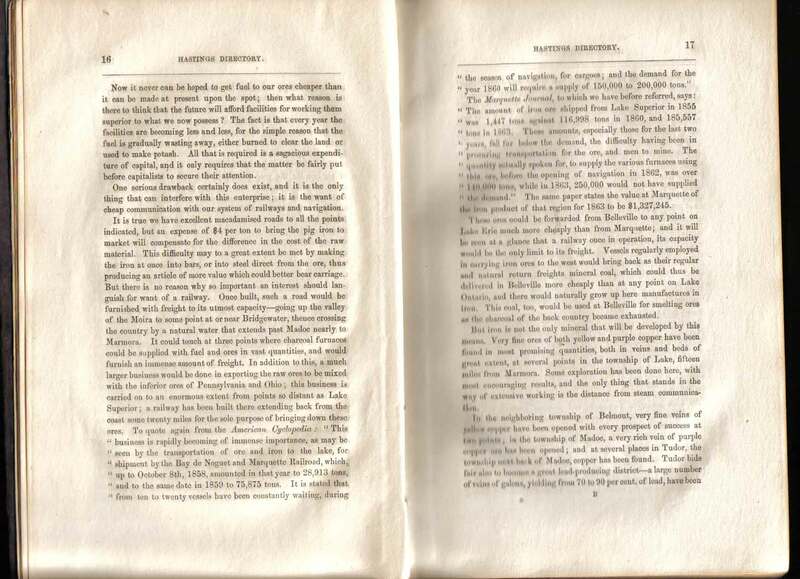 Pages 68 and 69 are missing and it appears that a printing error skipped over these page numbers. 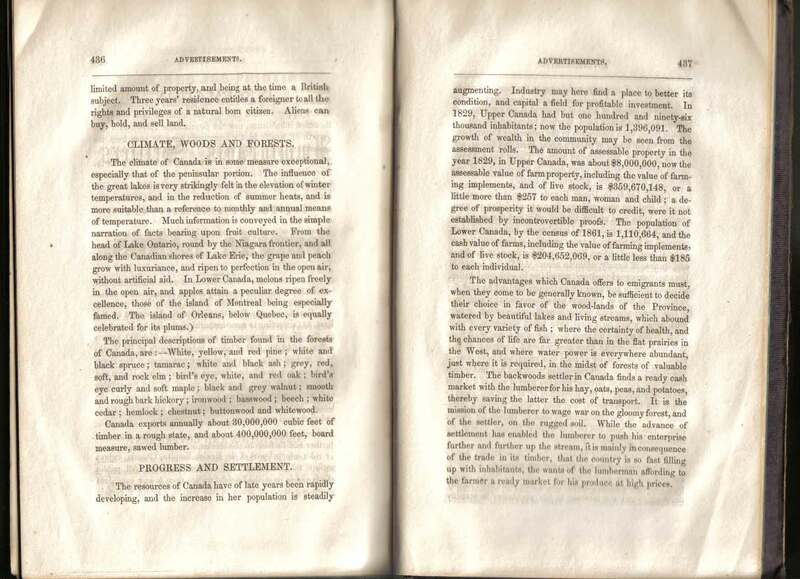 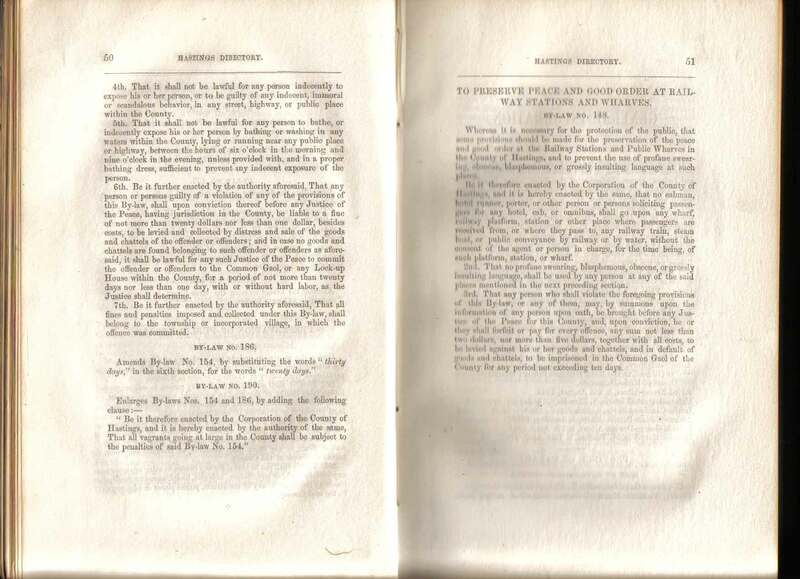 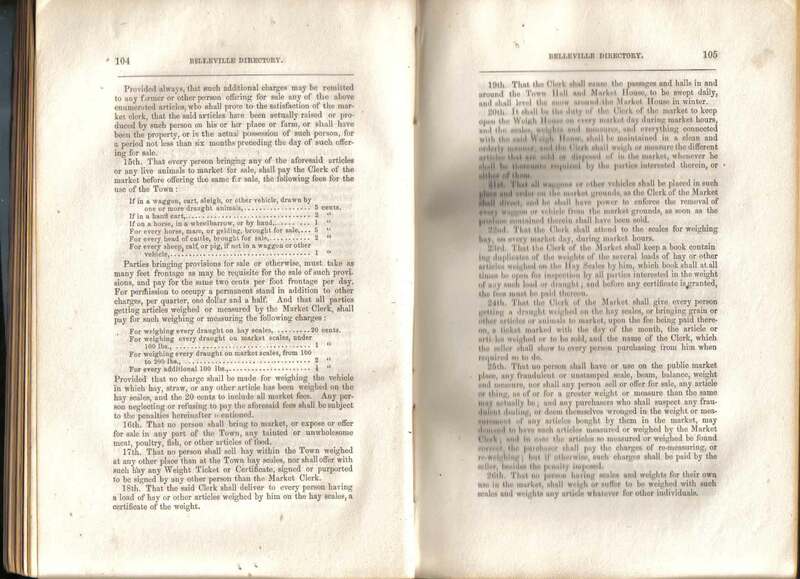 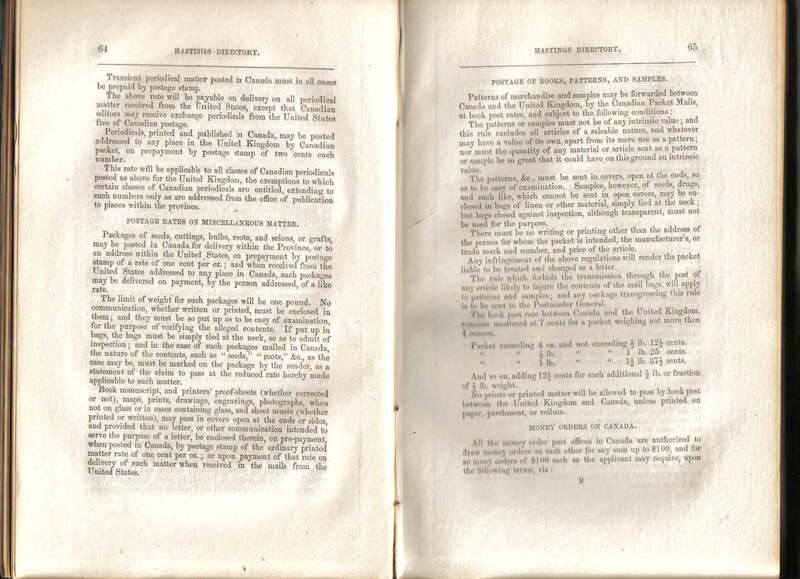 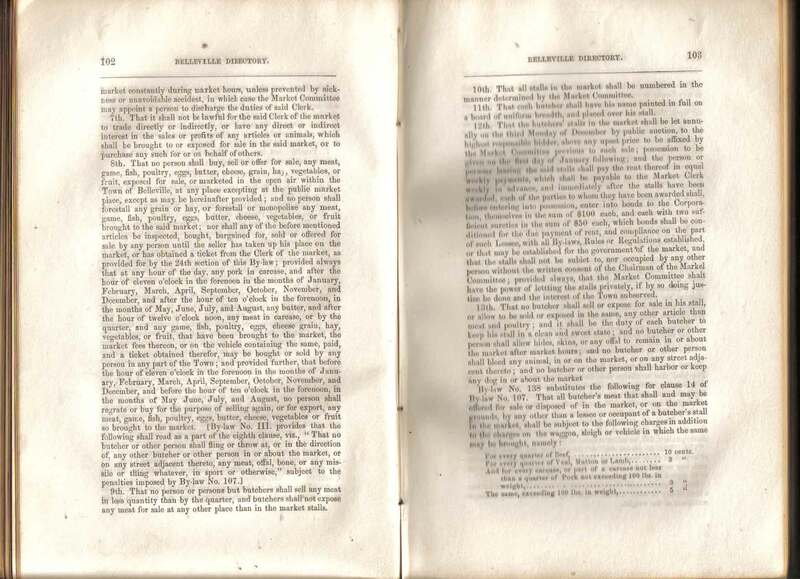 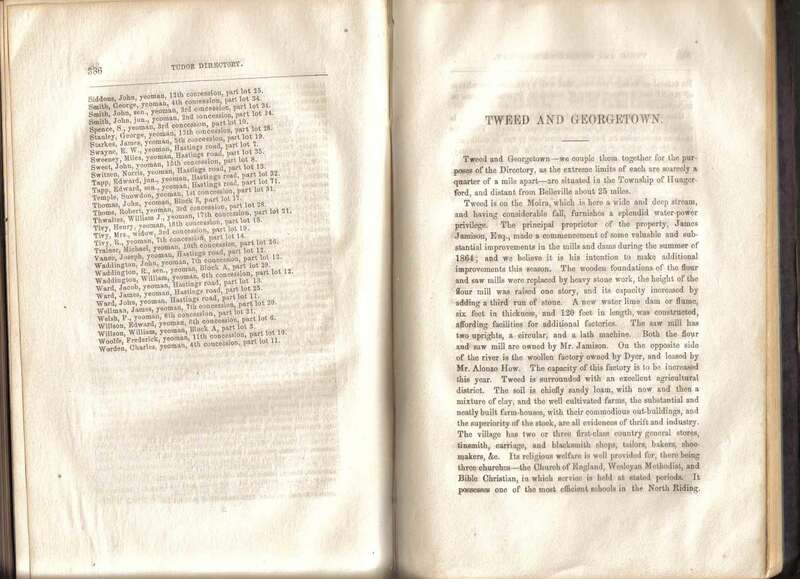 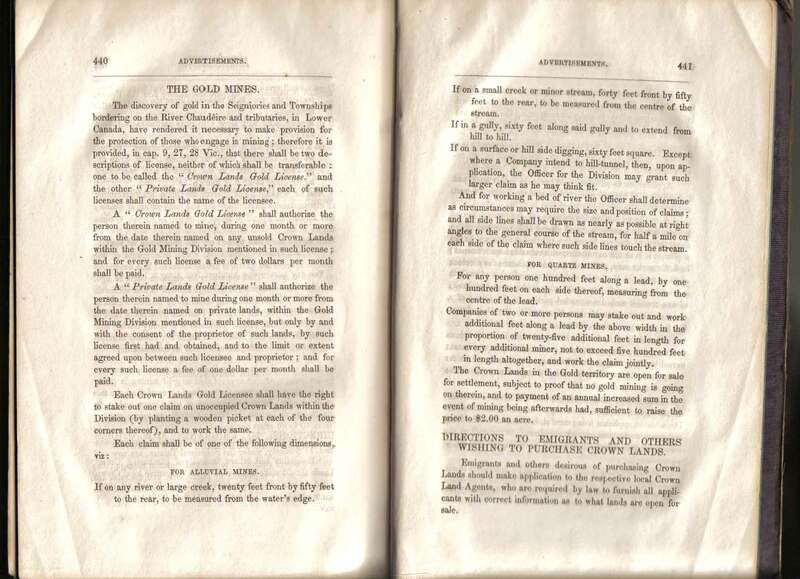 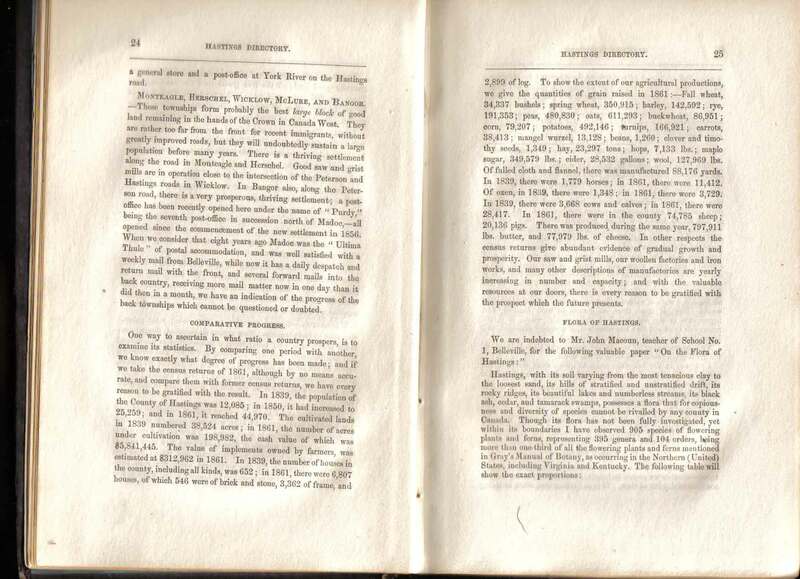 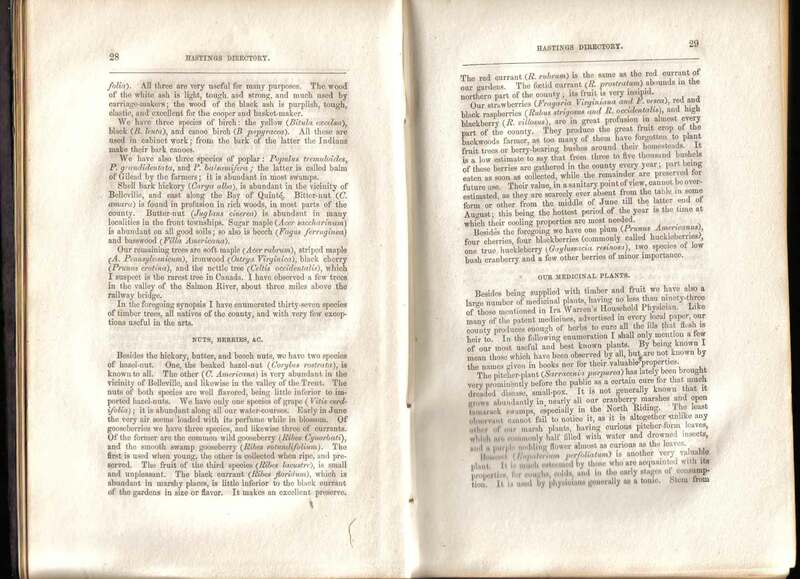 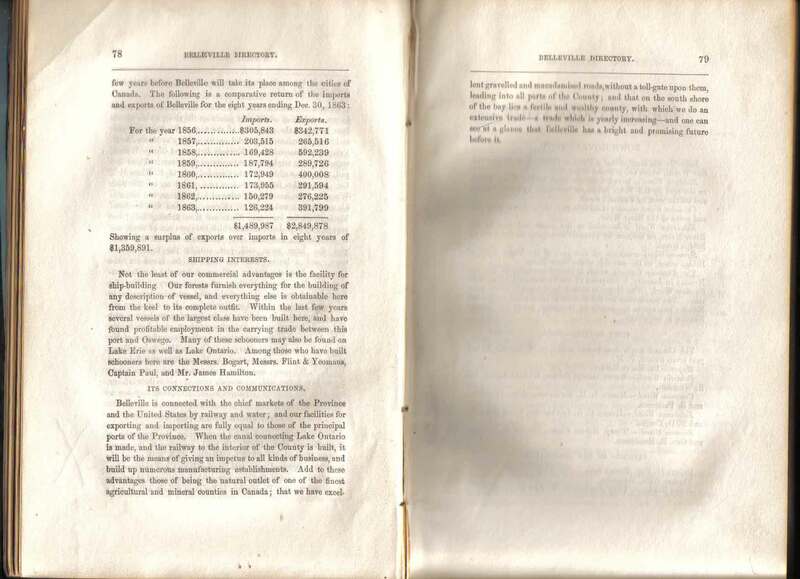 There is no evidence of a torn or removed page. 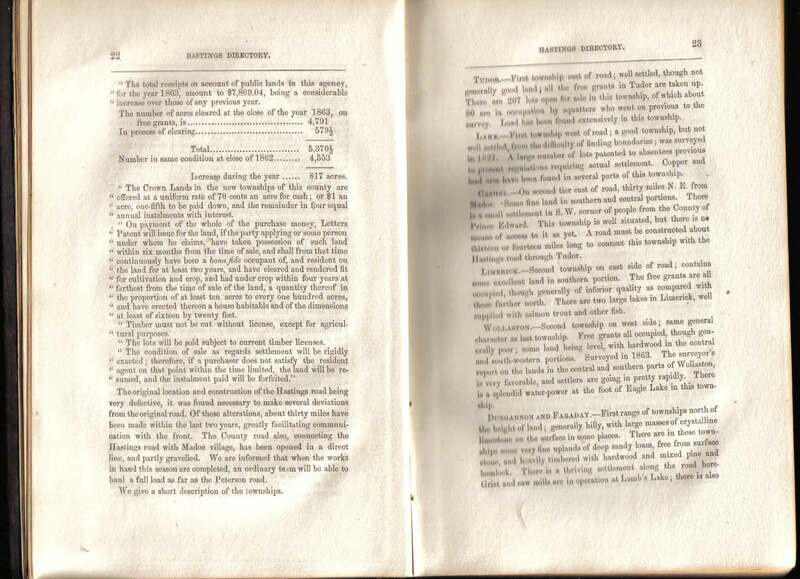 The image quality was kept low enough to allow the pages to load quickly. 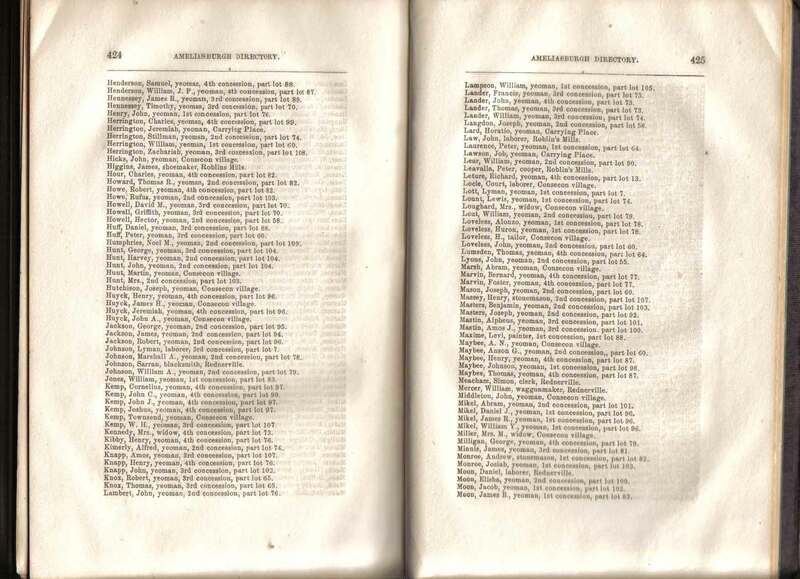 Let me know about links that do not work correctly or if specific pages are hard to read. 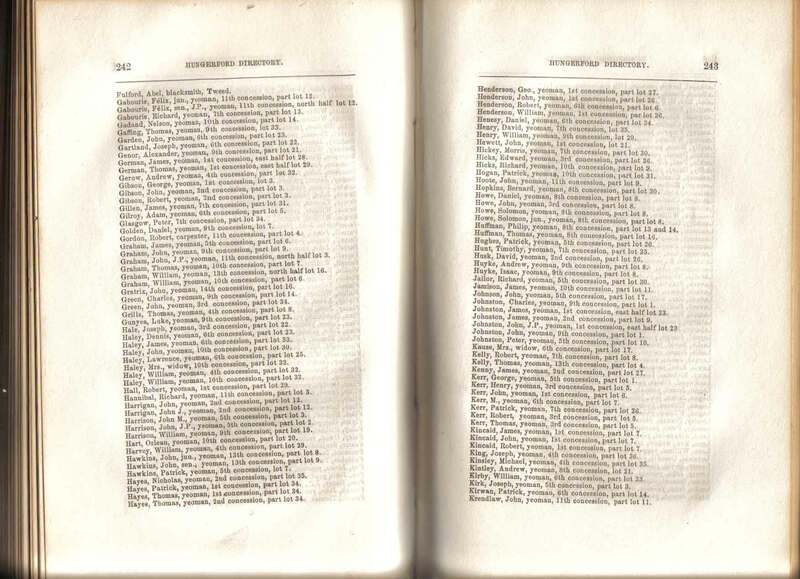 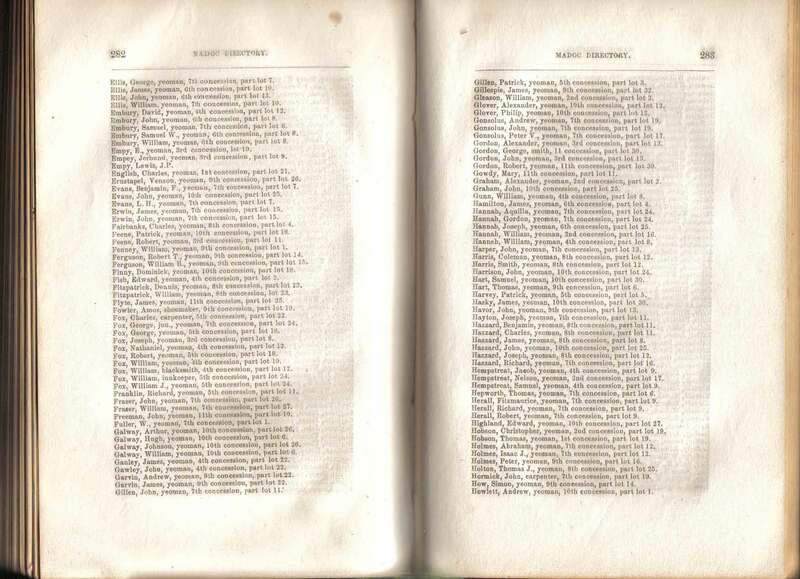 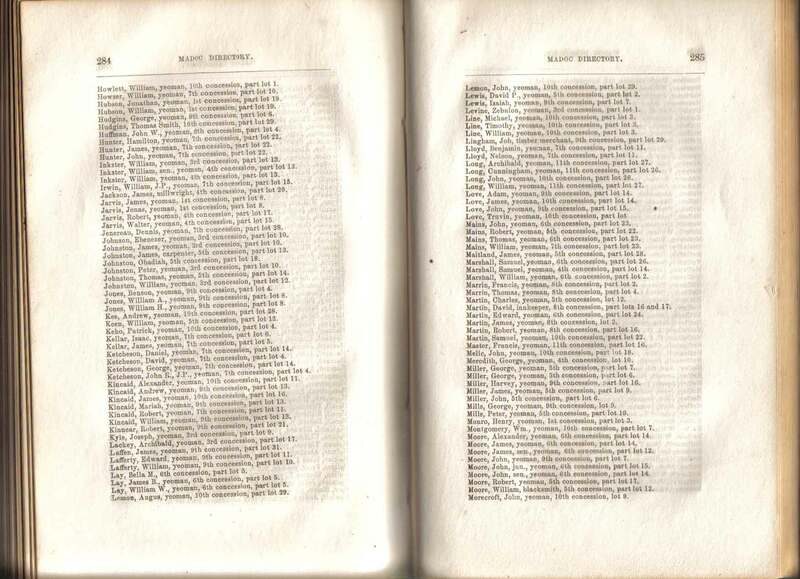 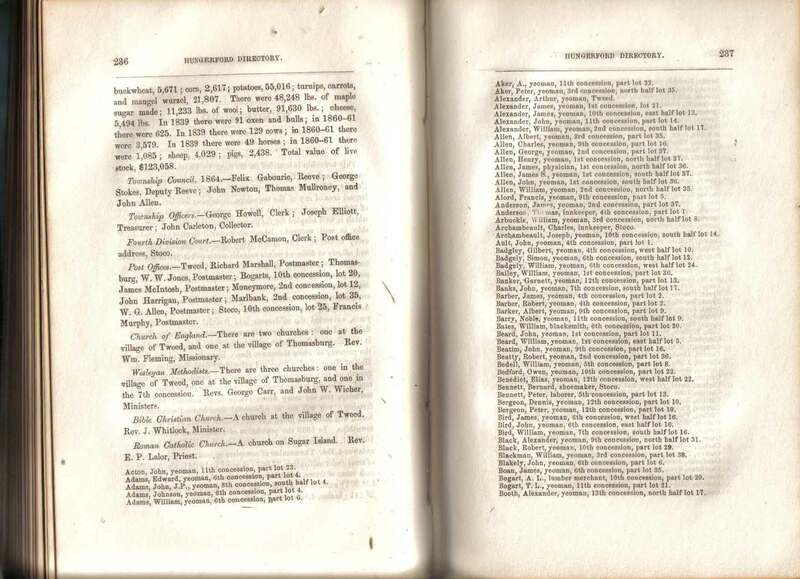 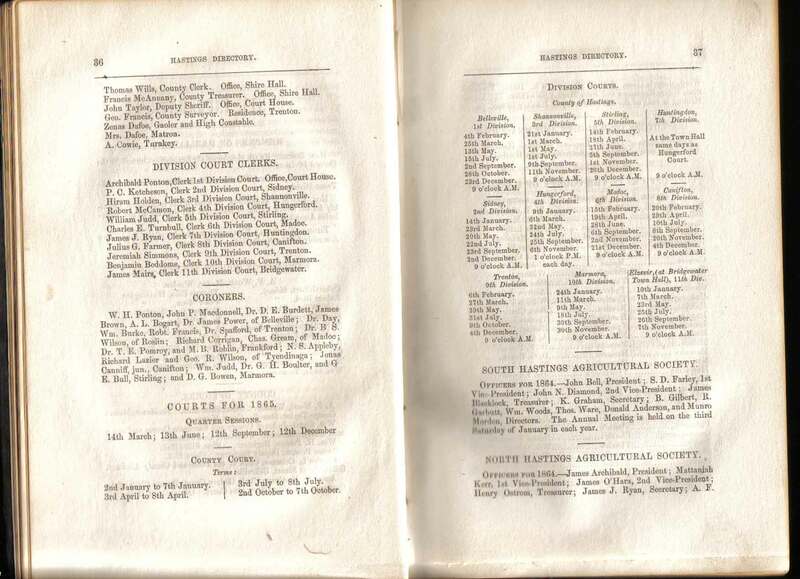 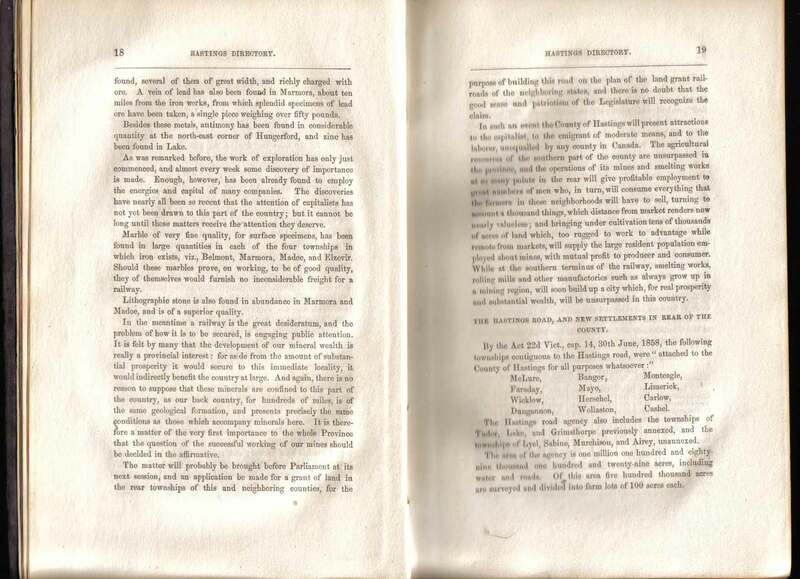 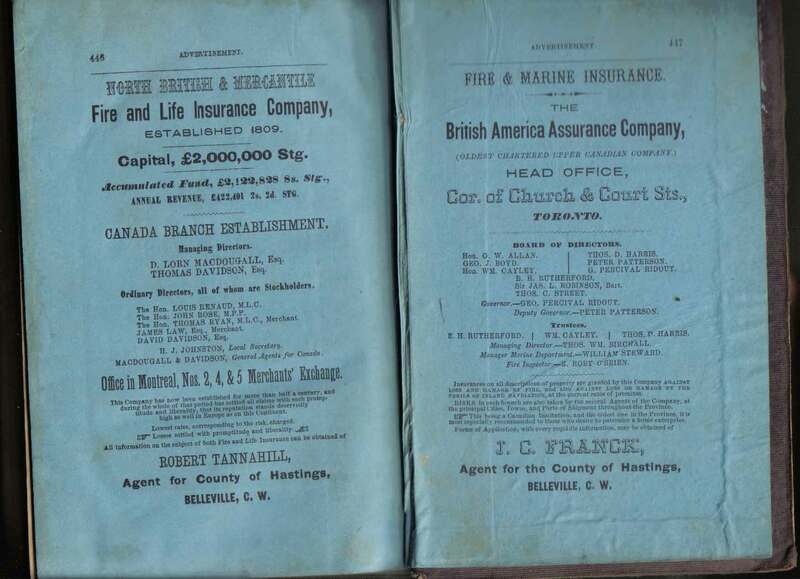 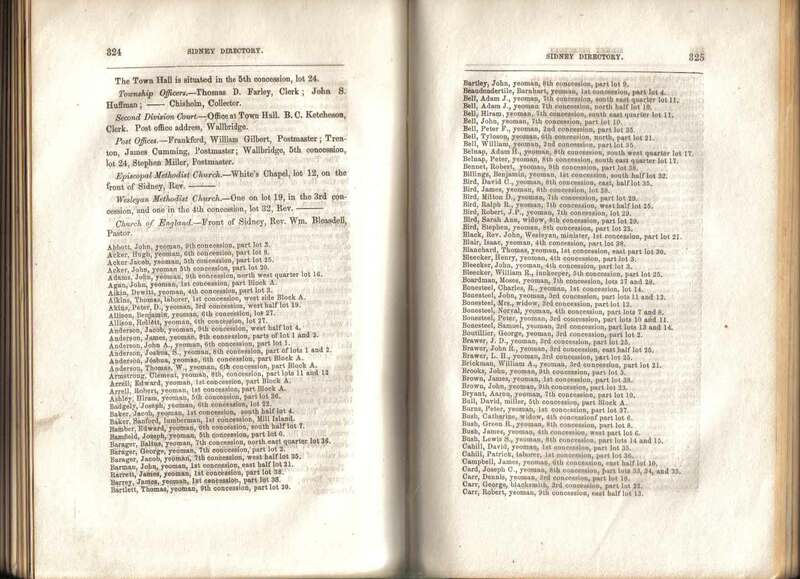 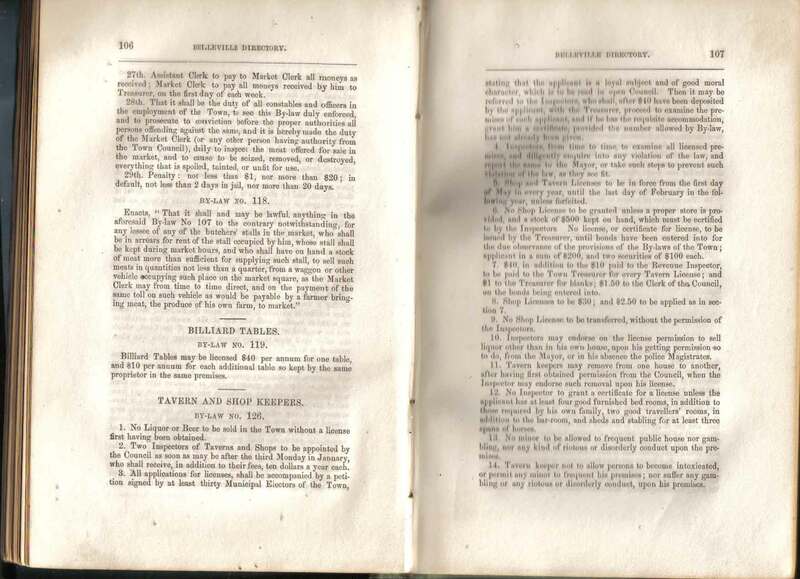 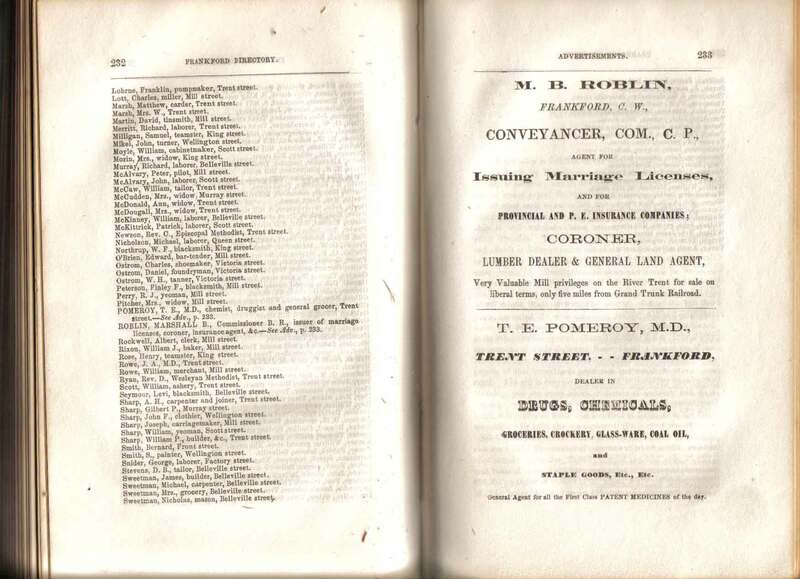 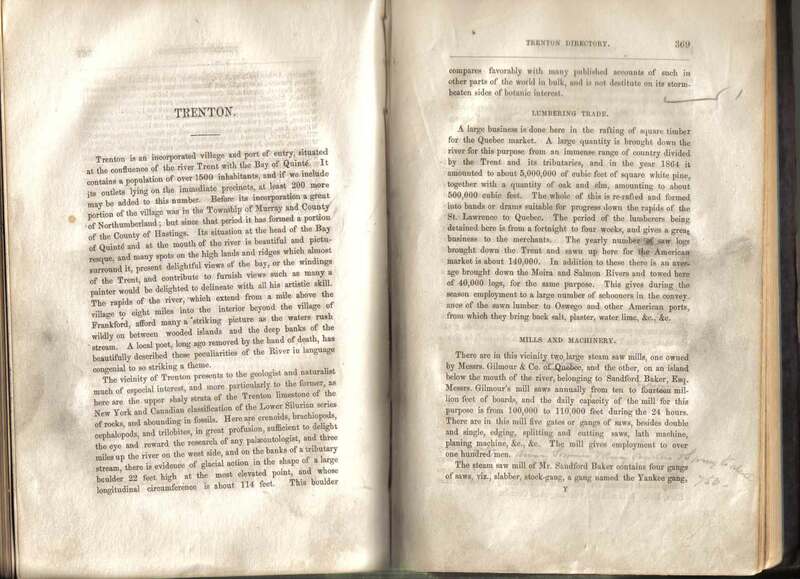 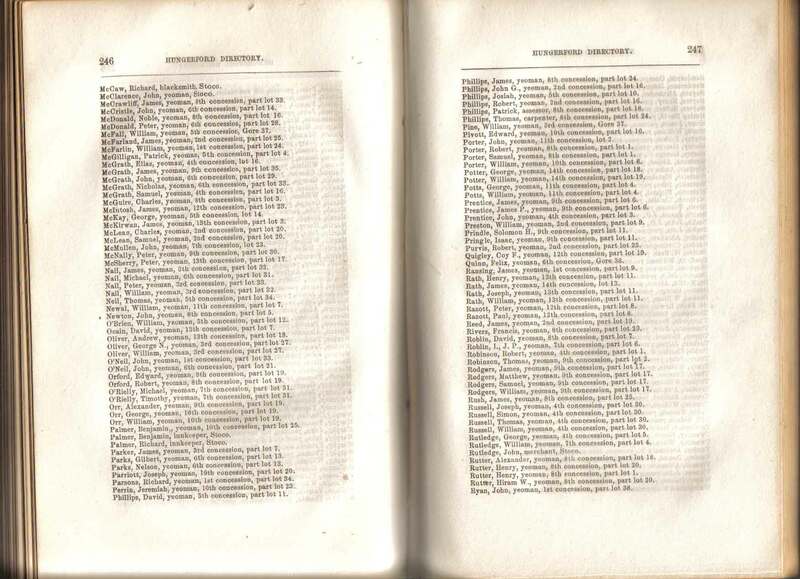 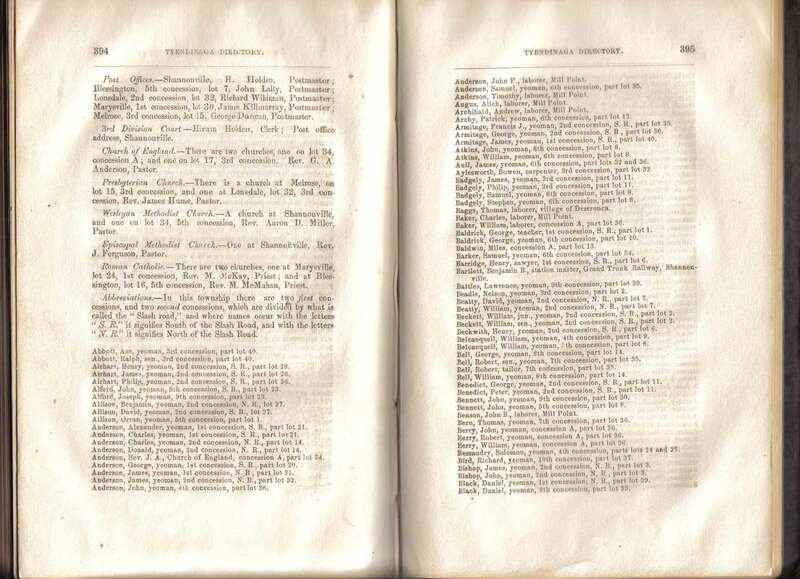 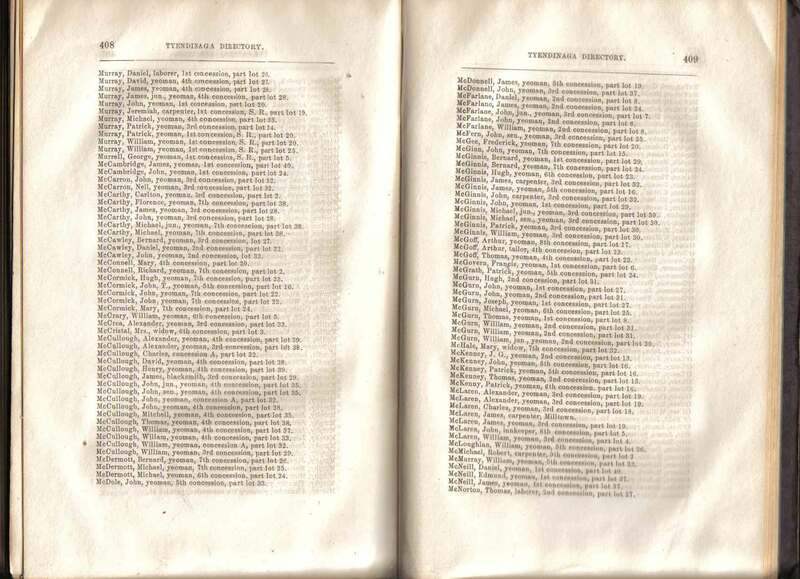 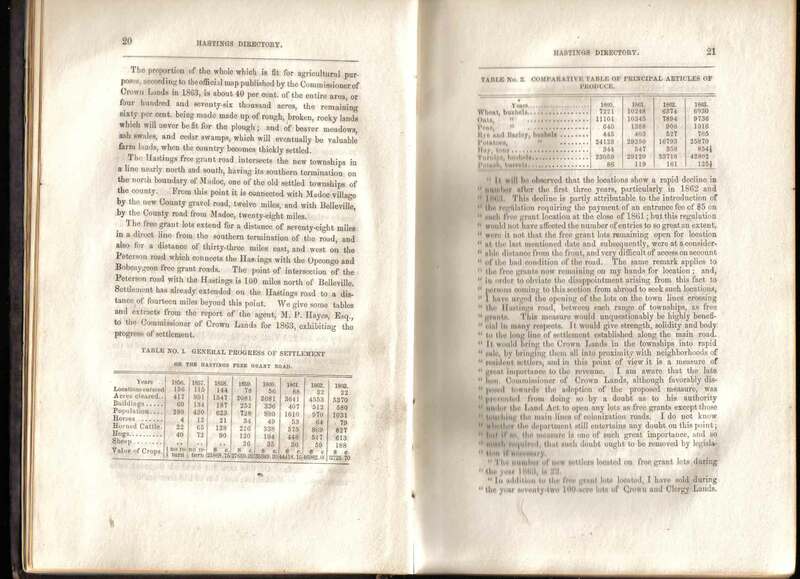 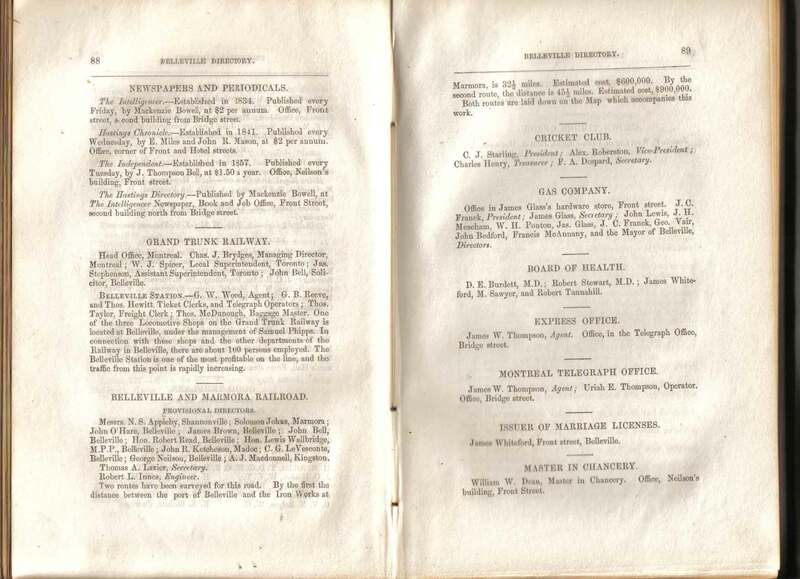 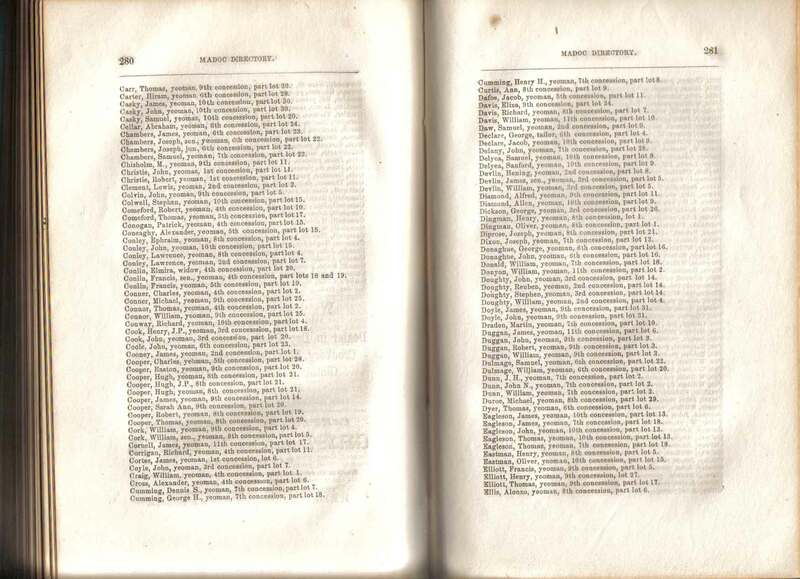 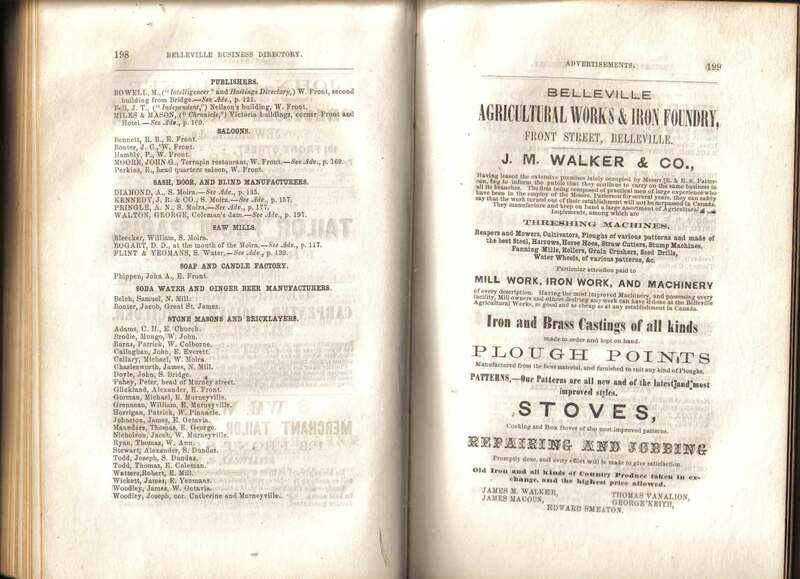 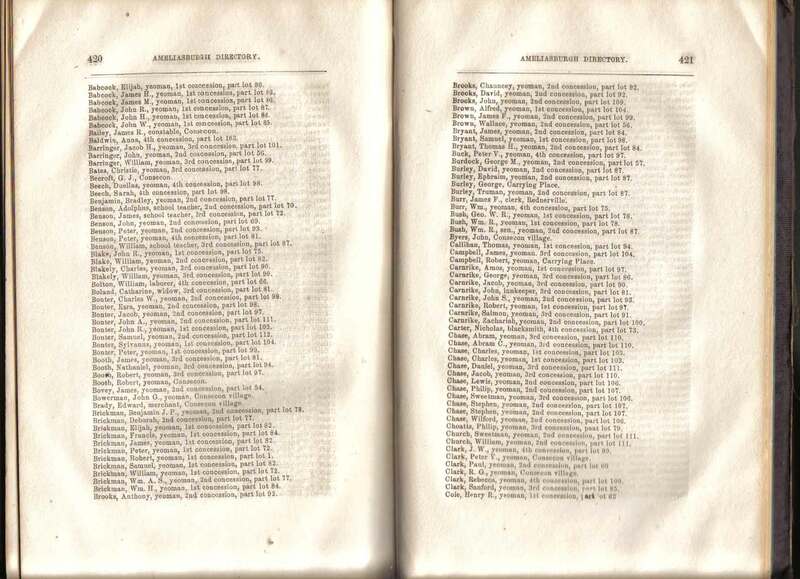 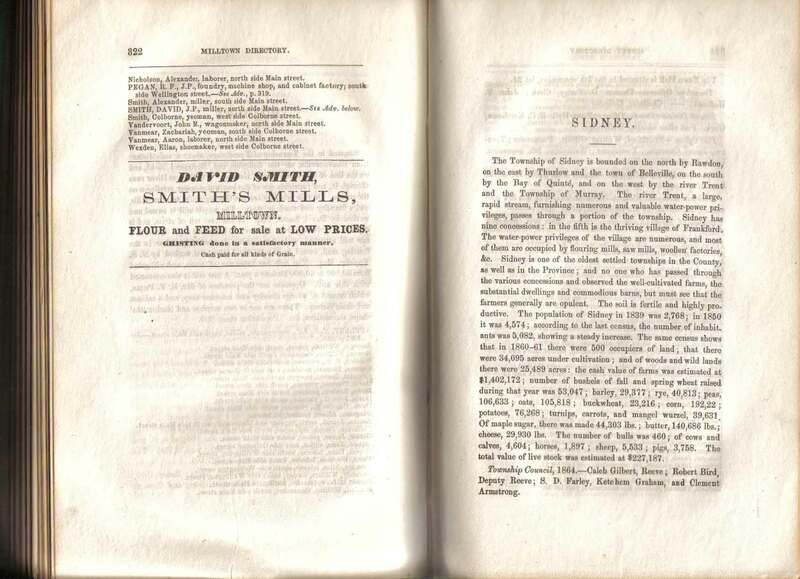 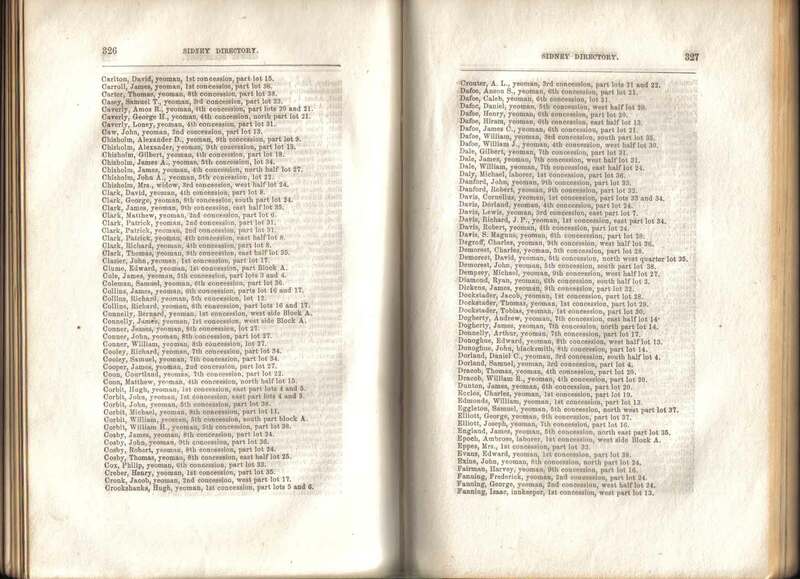 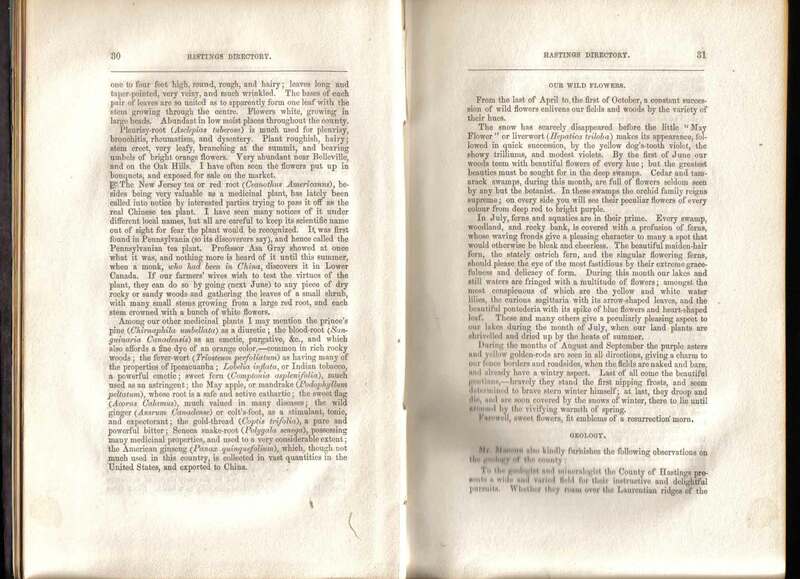 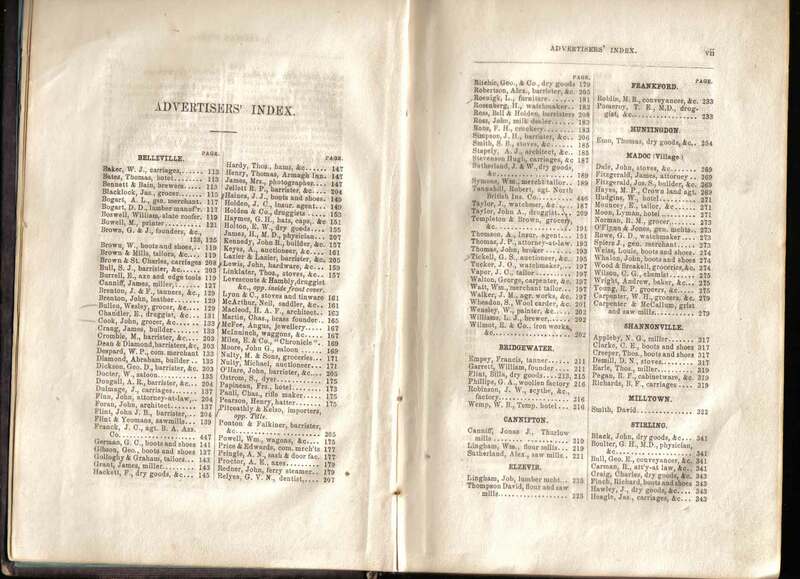 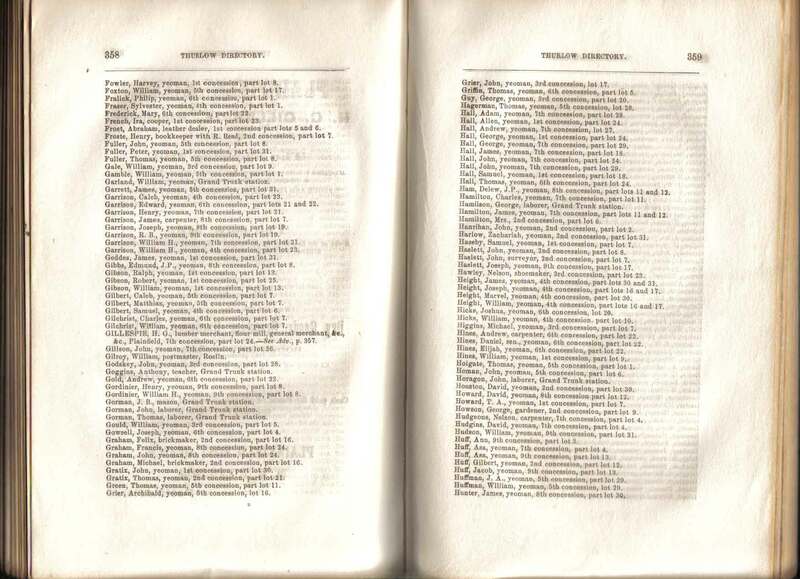 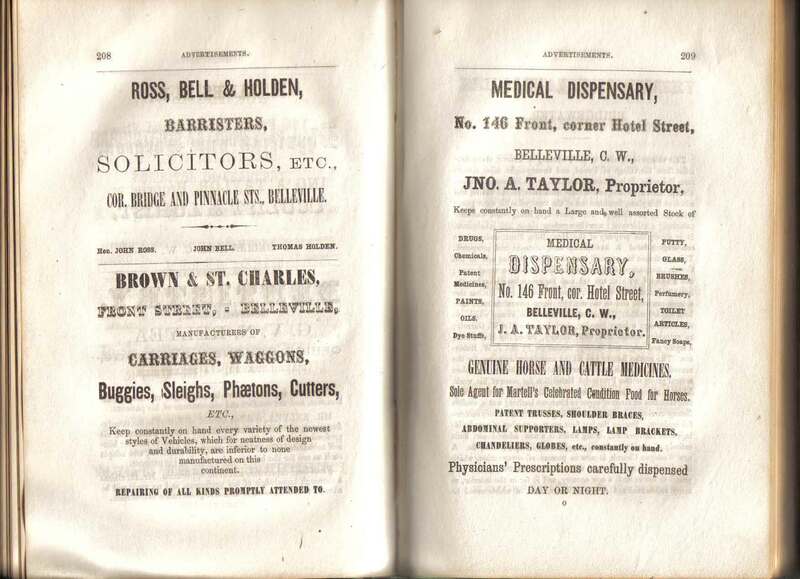 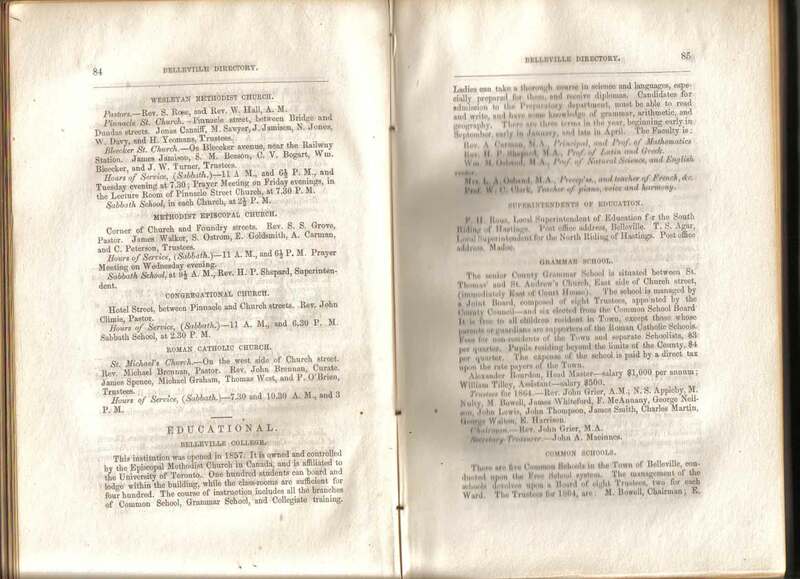 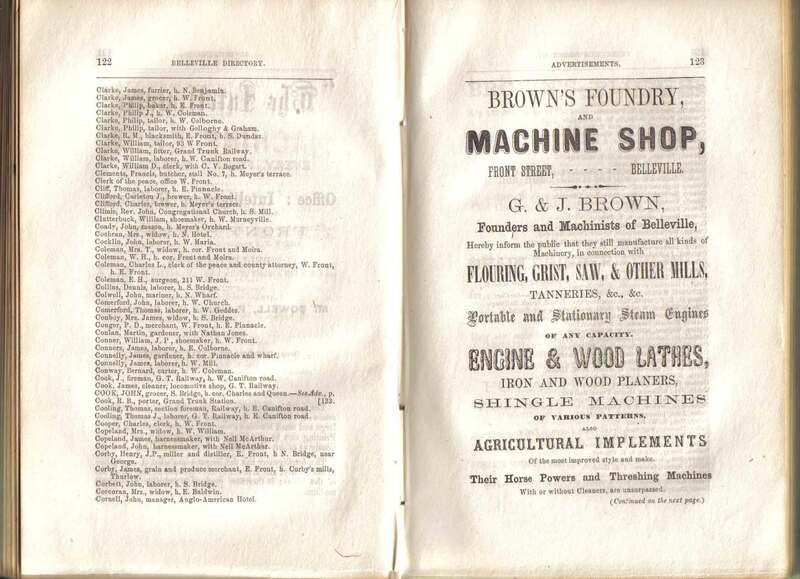 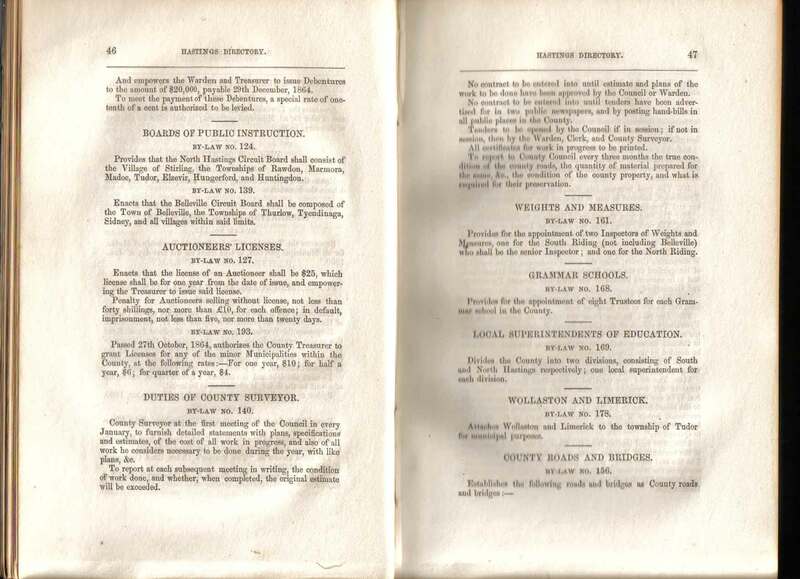 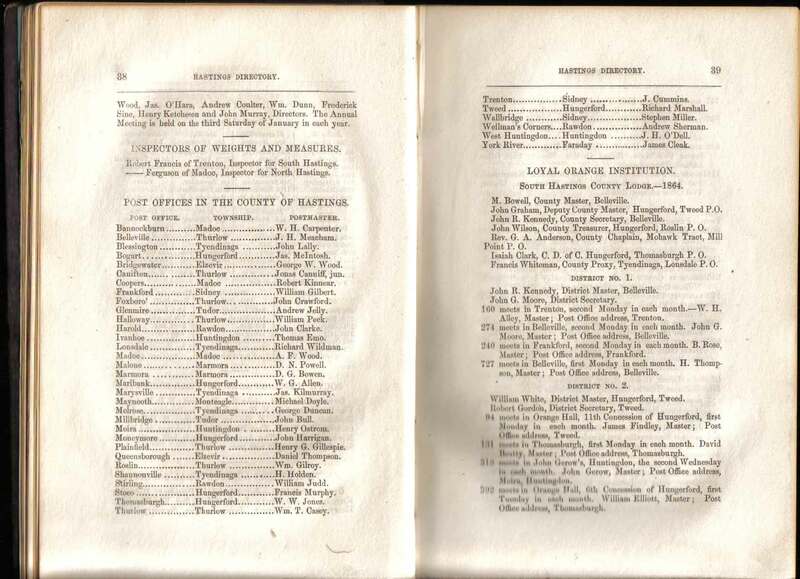 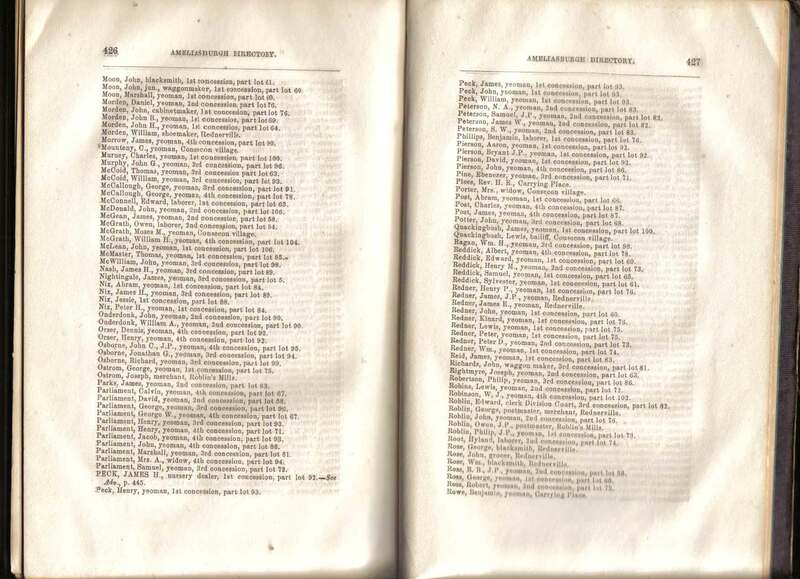 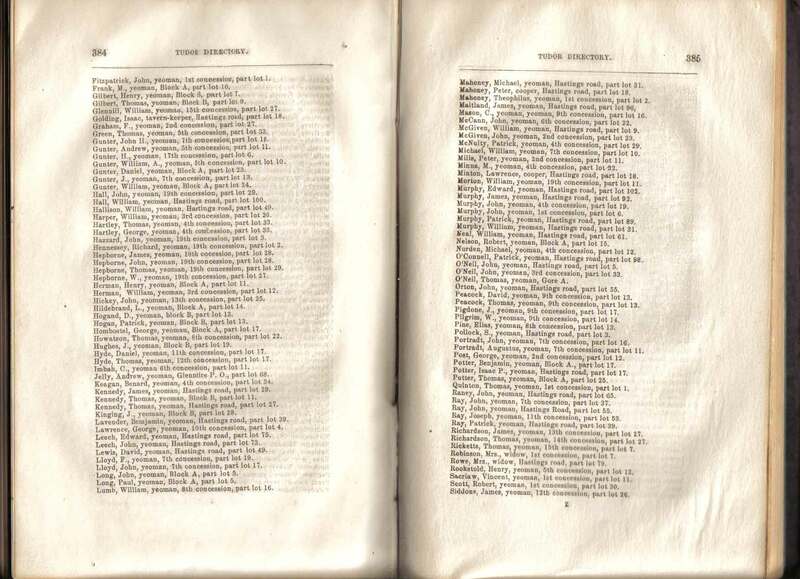 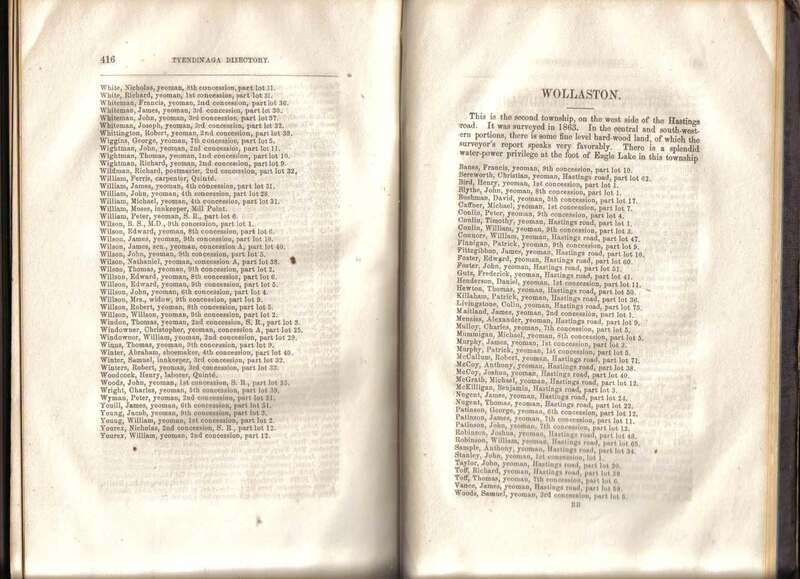 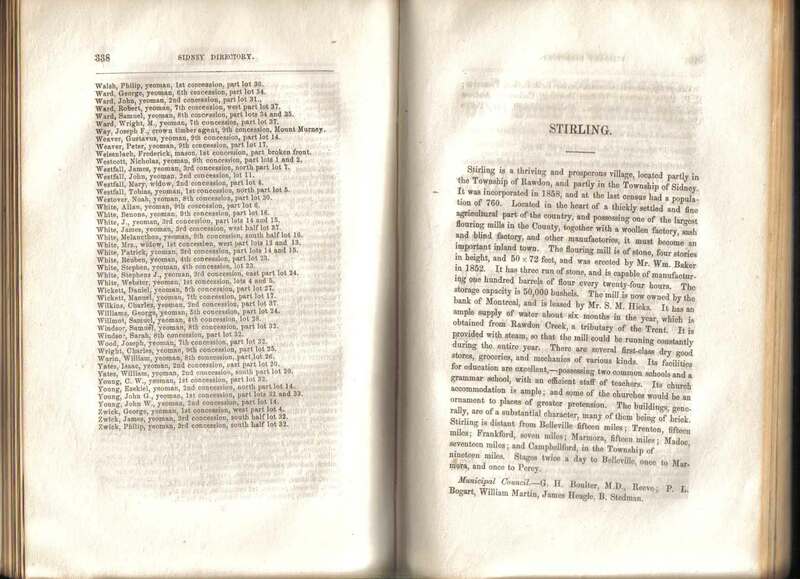 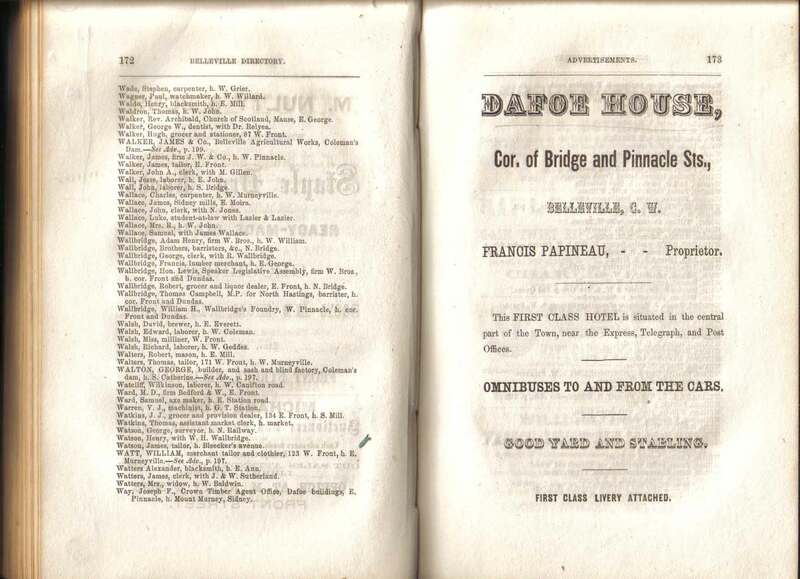 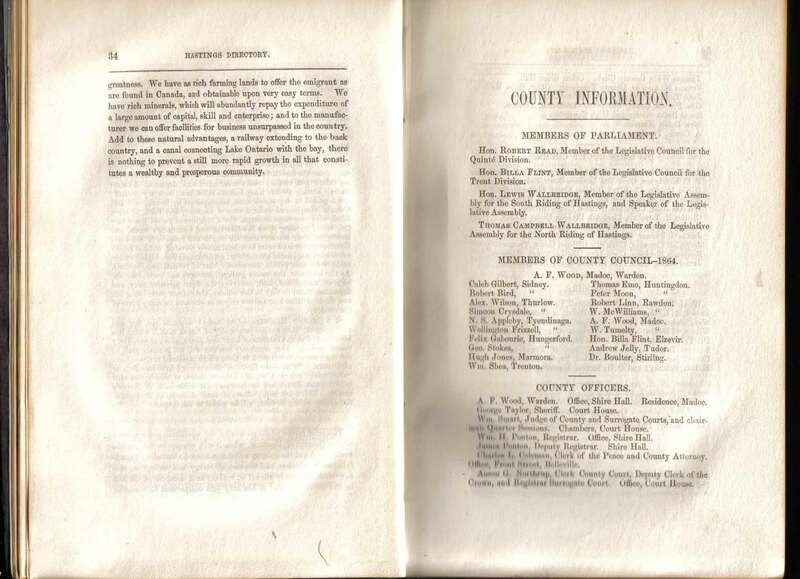 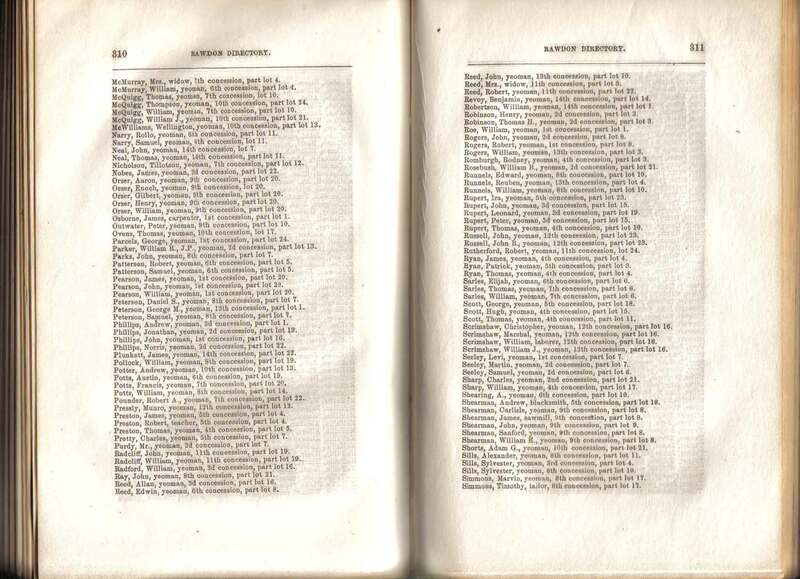 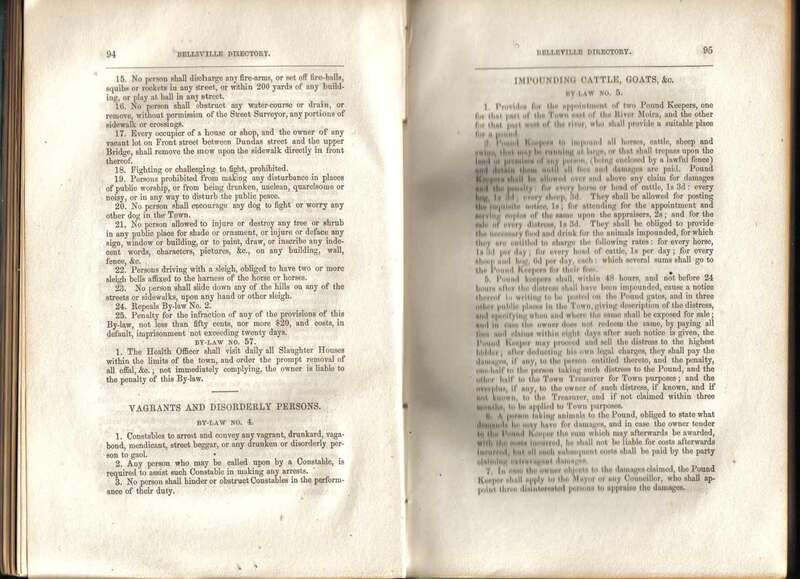 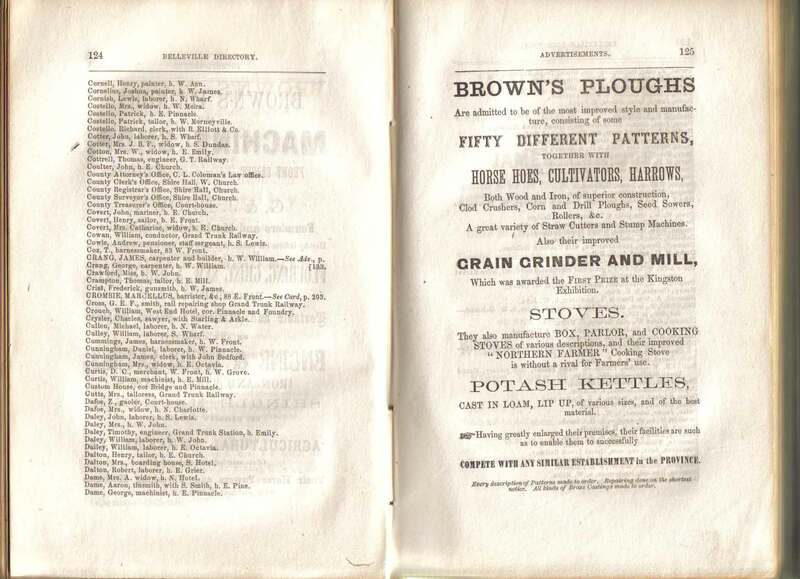 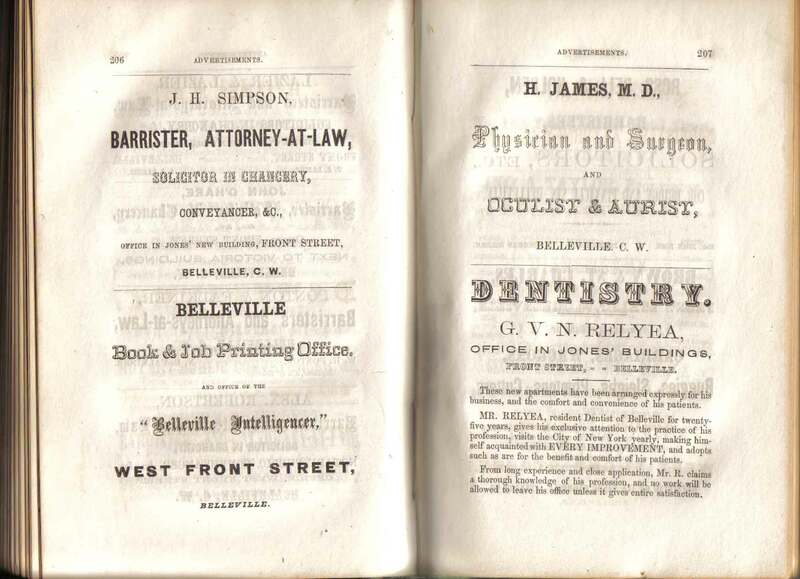 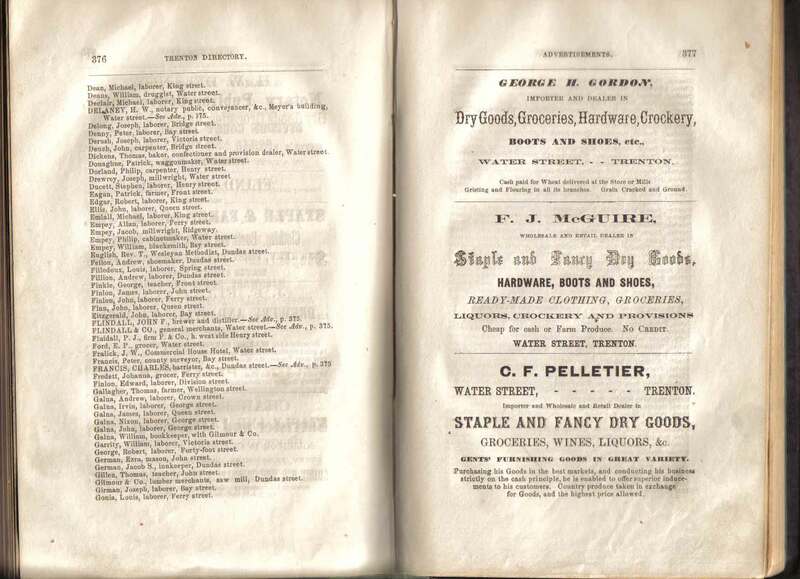 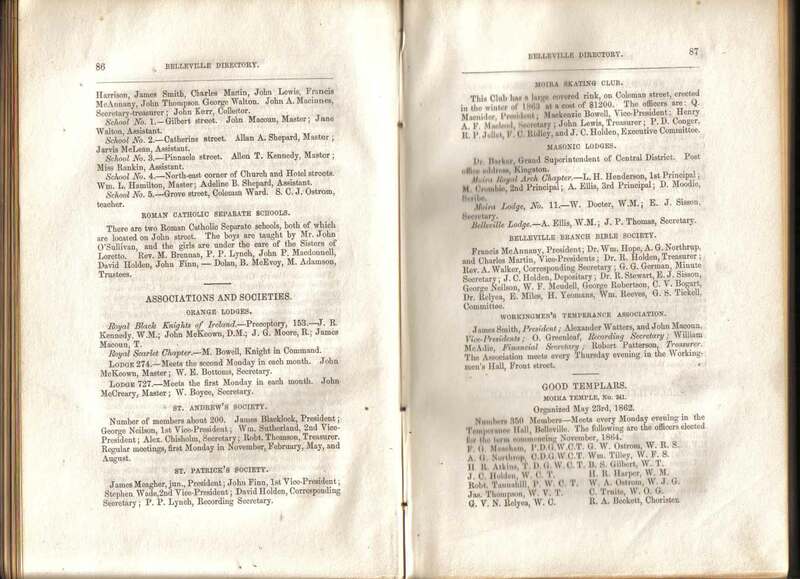 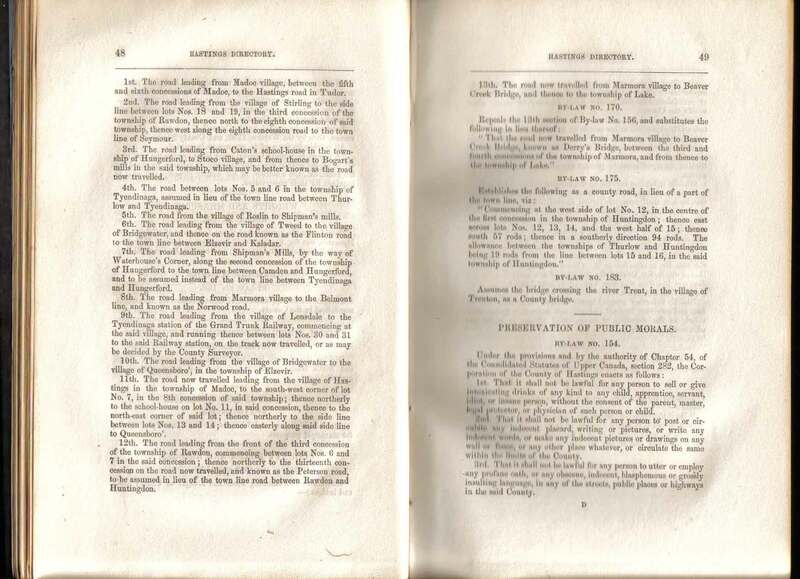 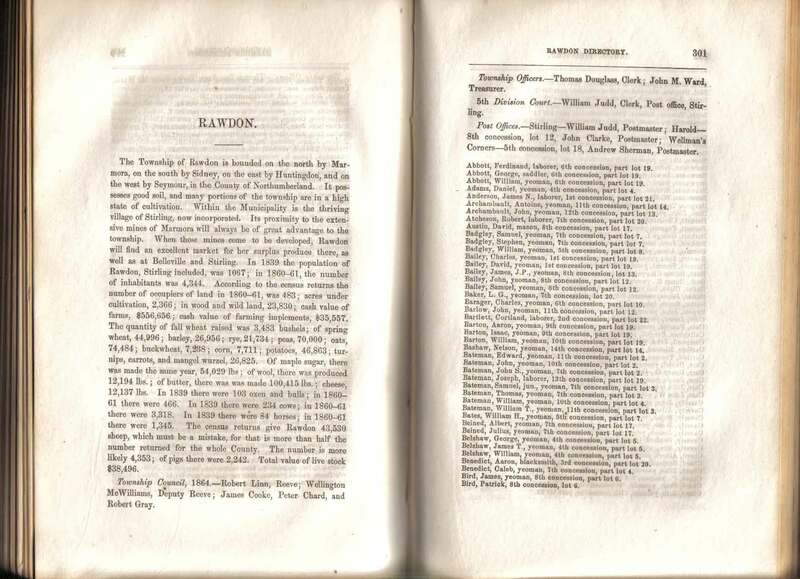 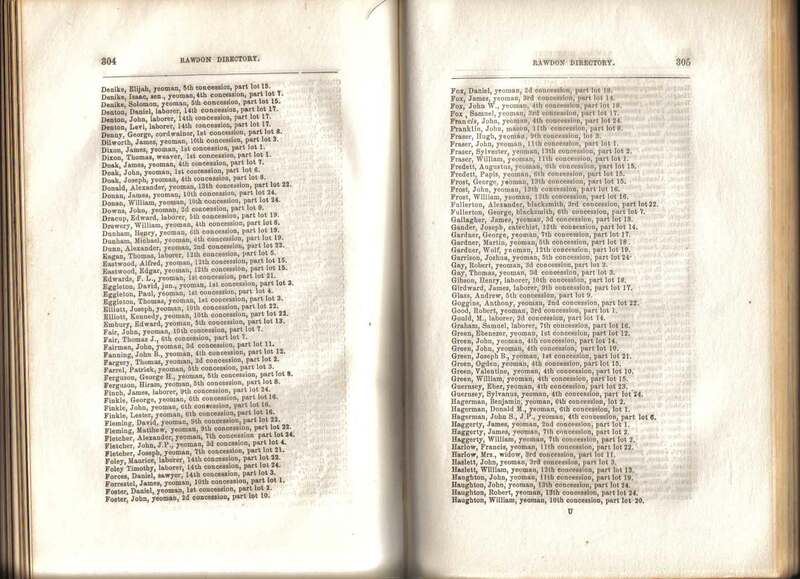 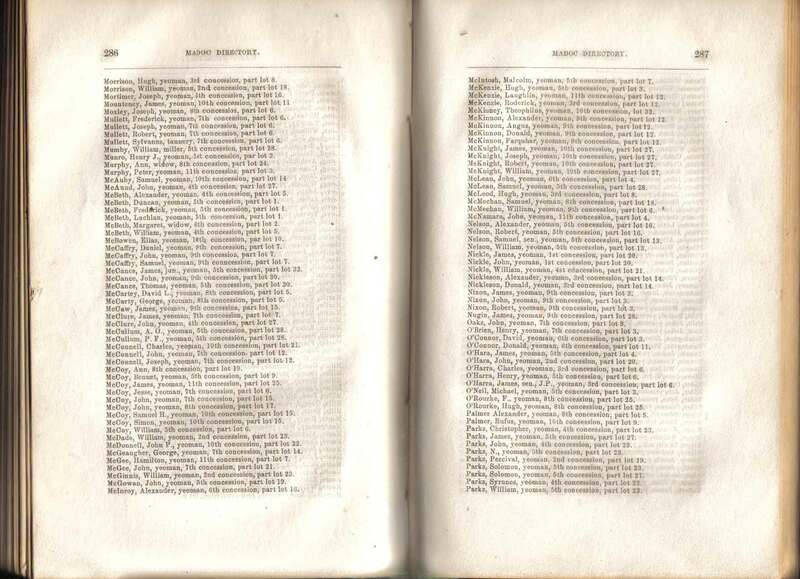 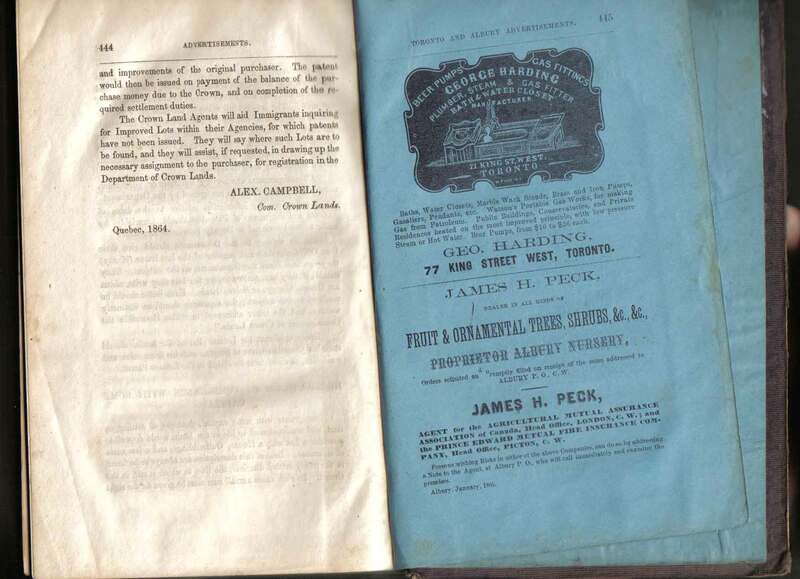 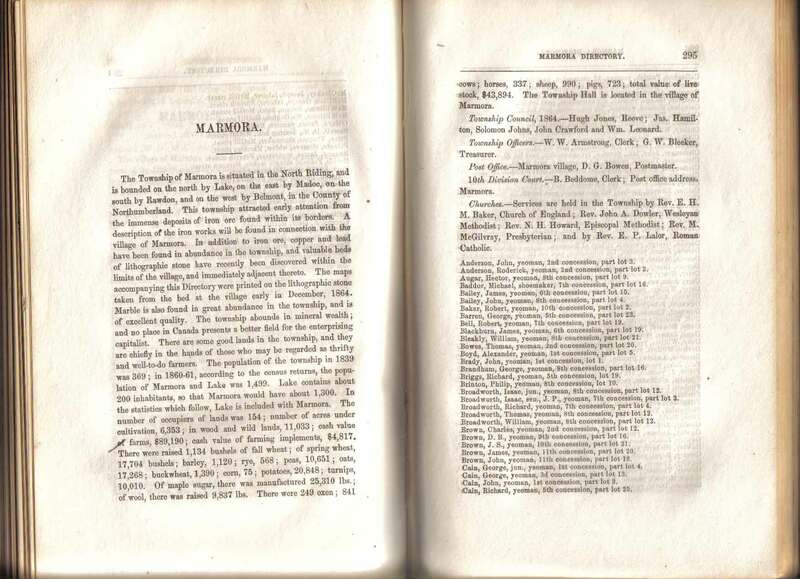 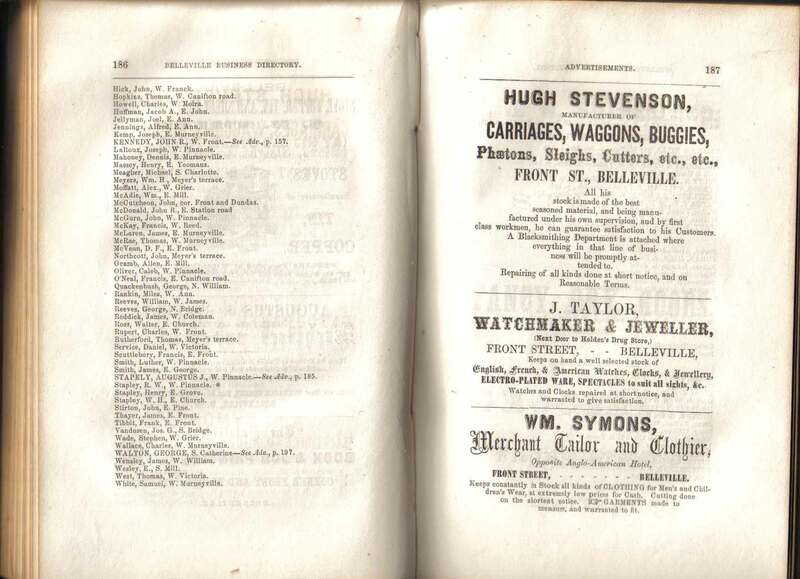 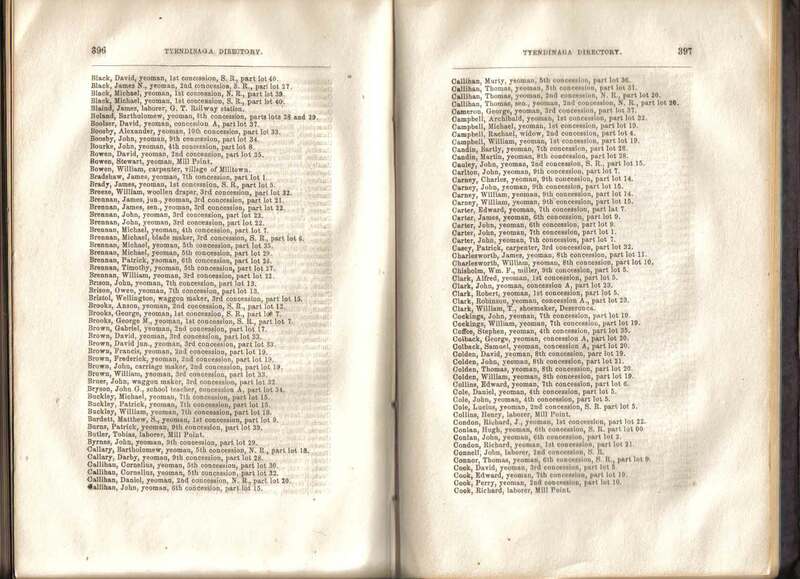 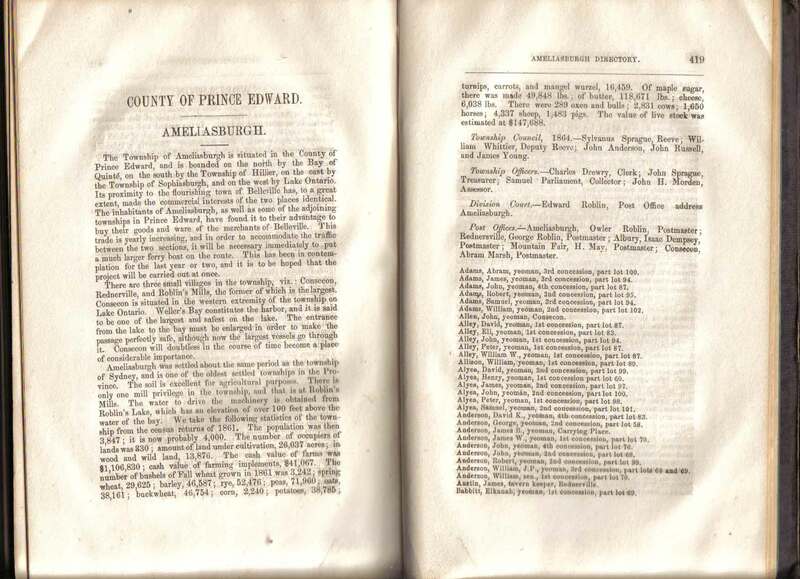 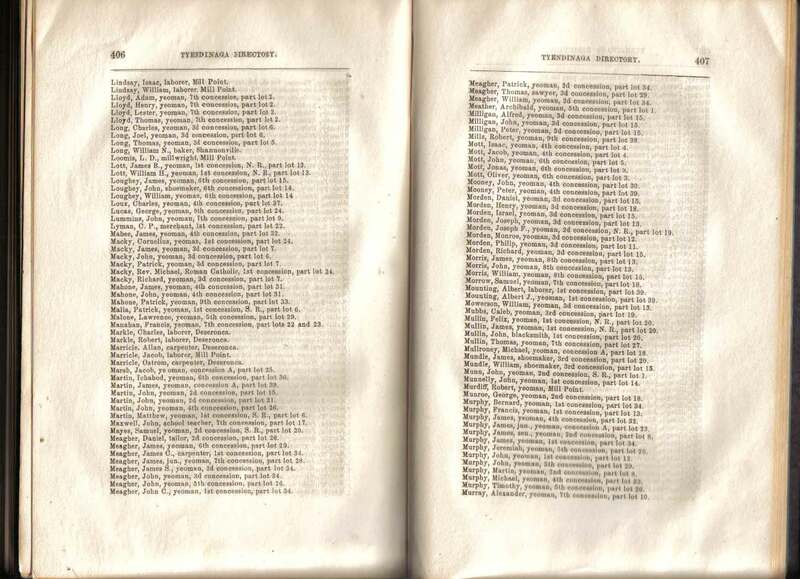 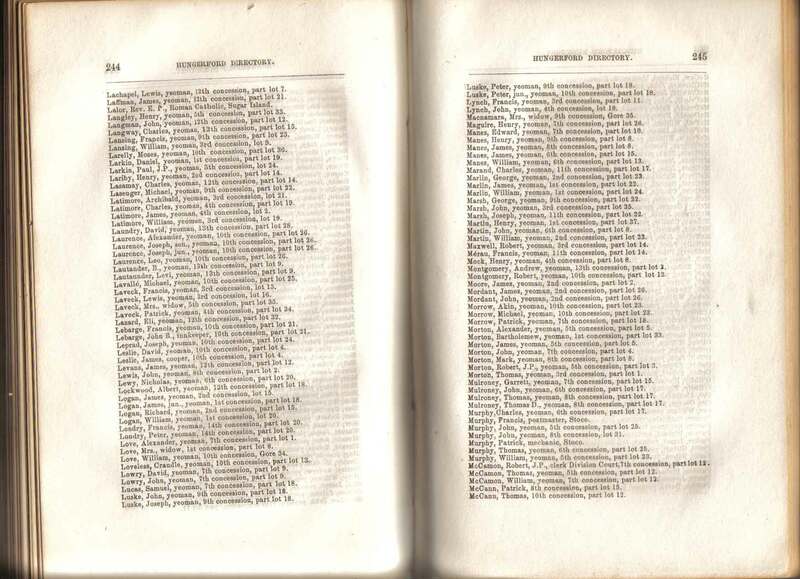 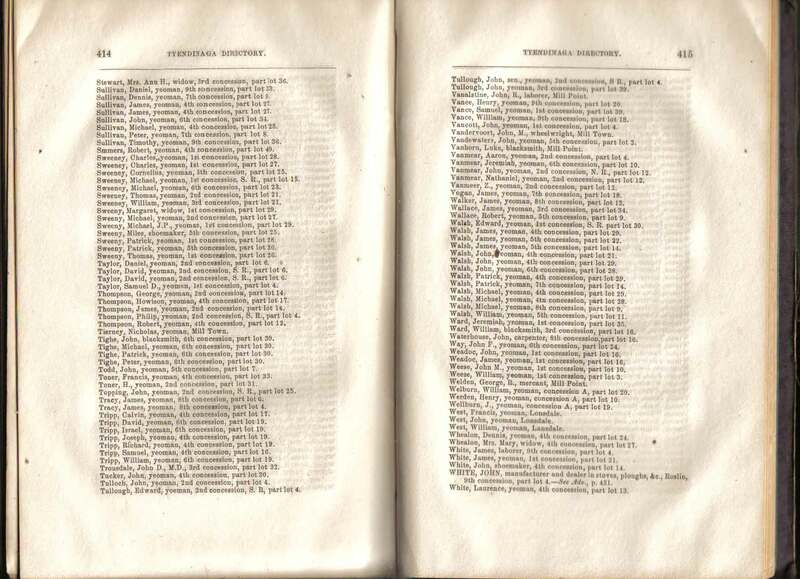 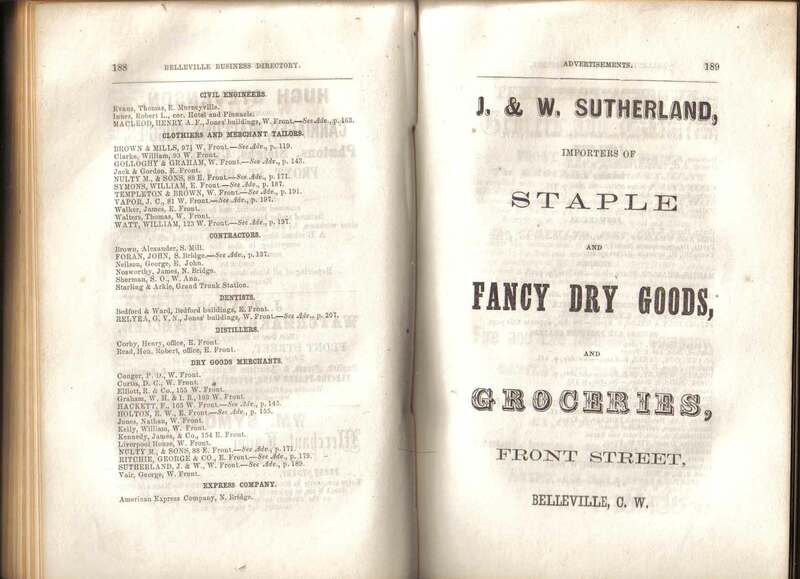 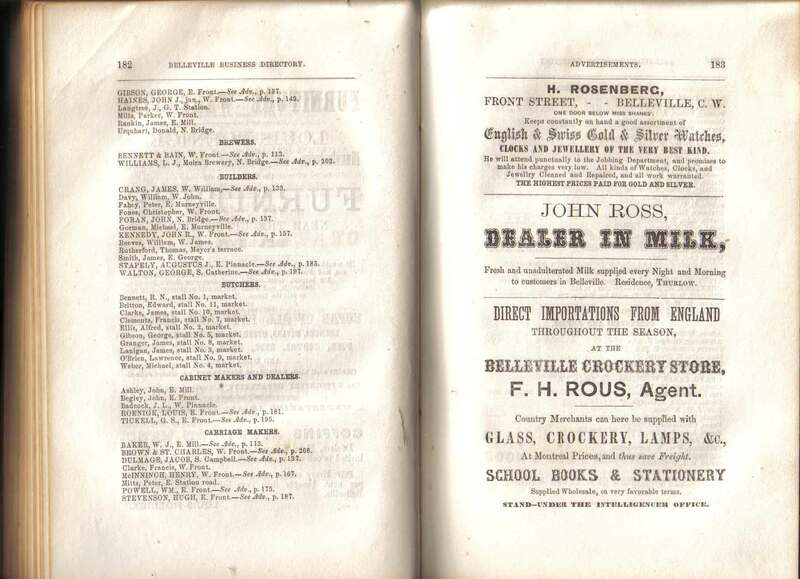 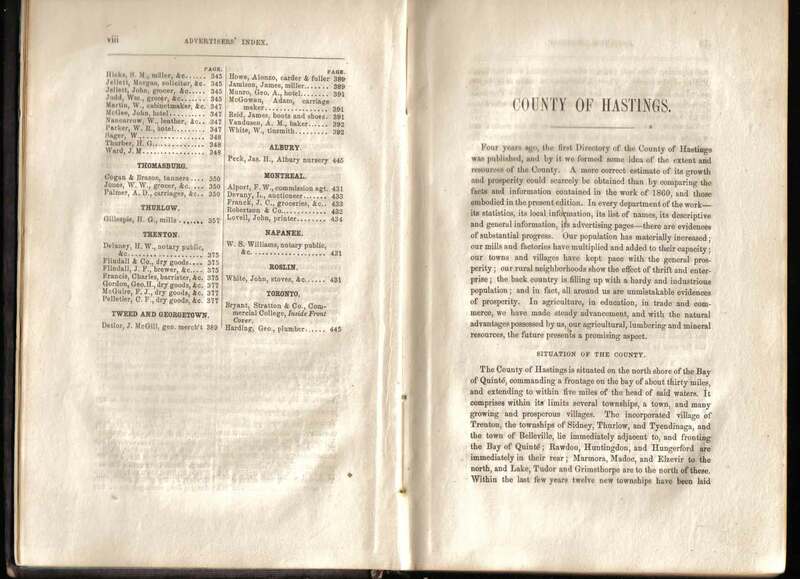 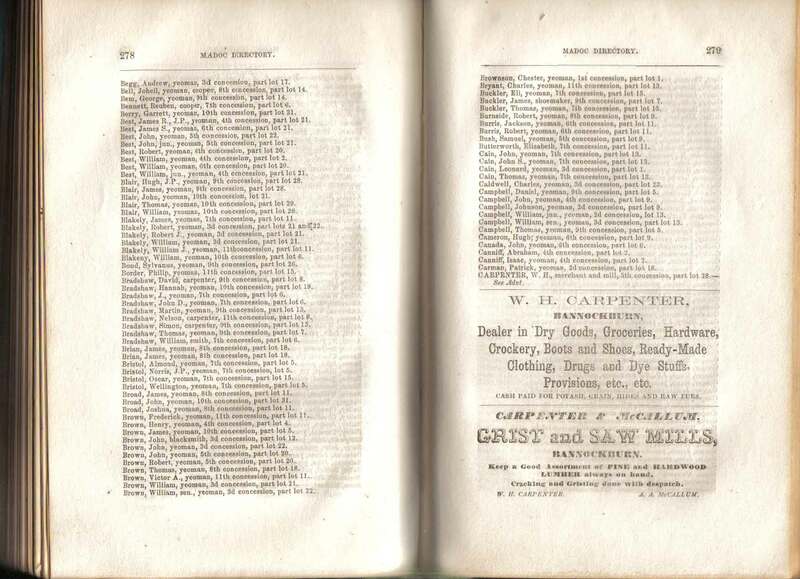 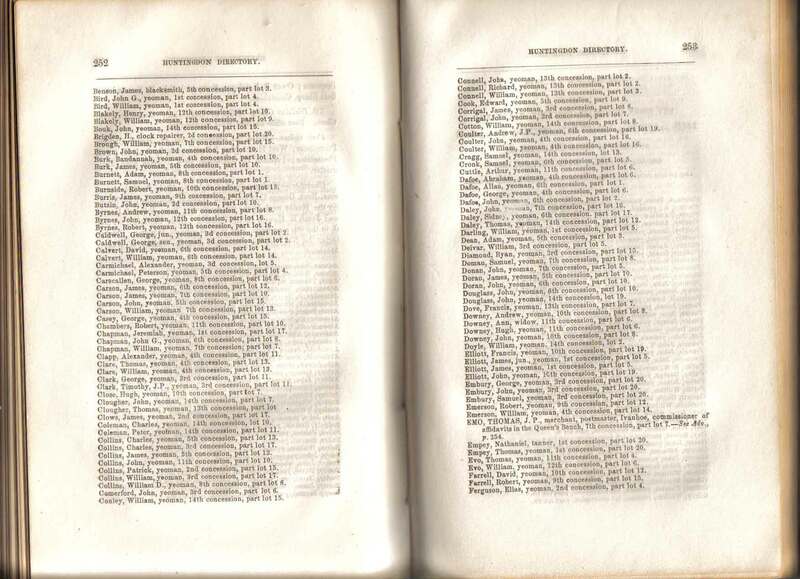 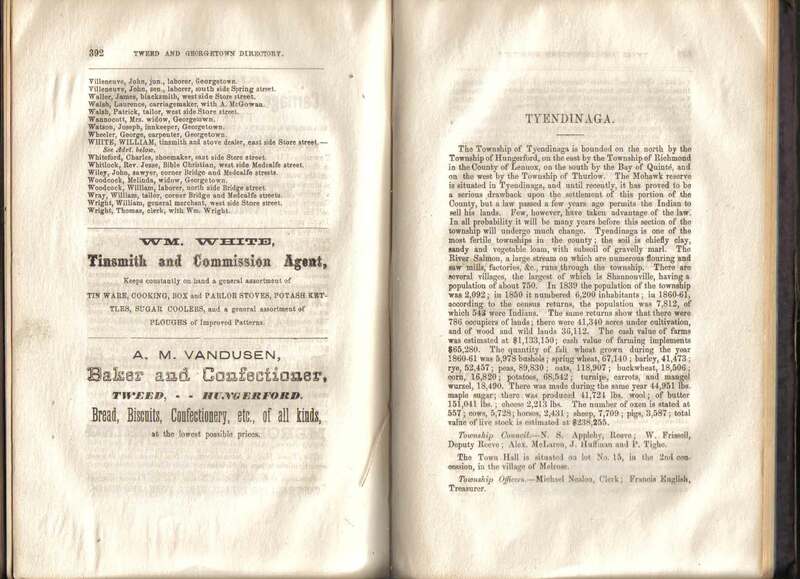 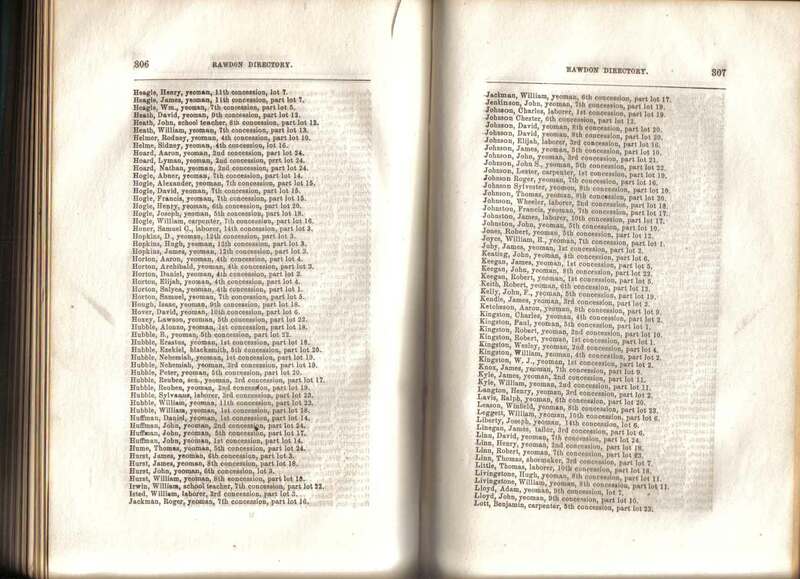 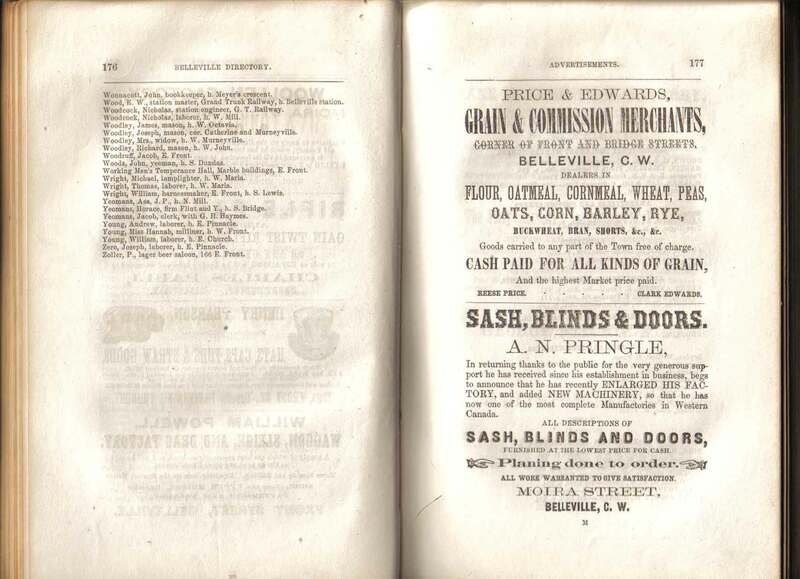 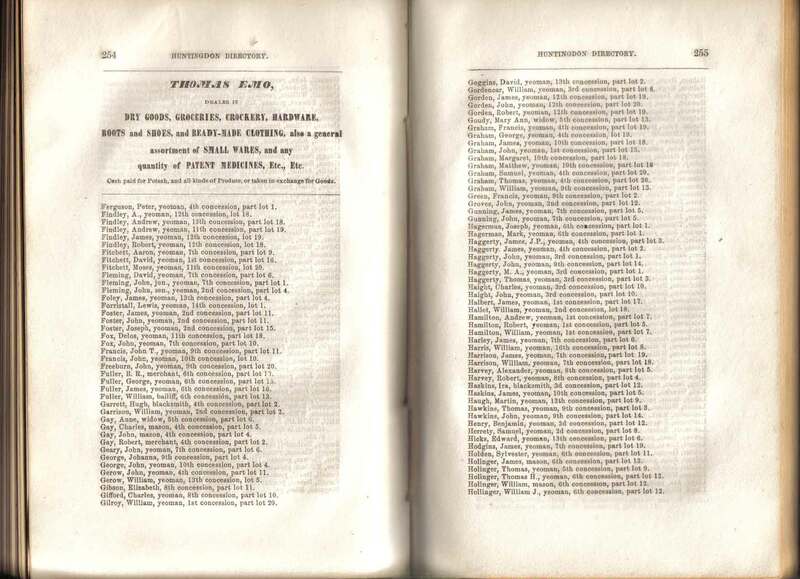 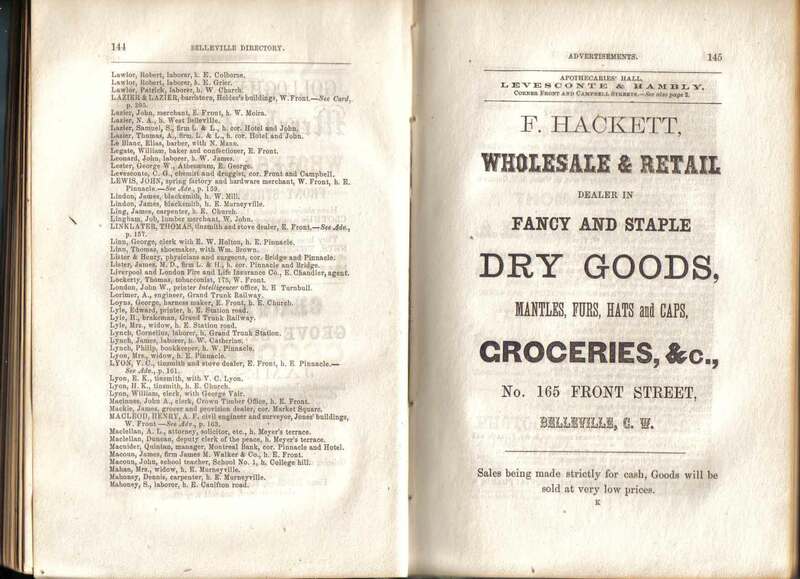 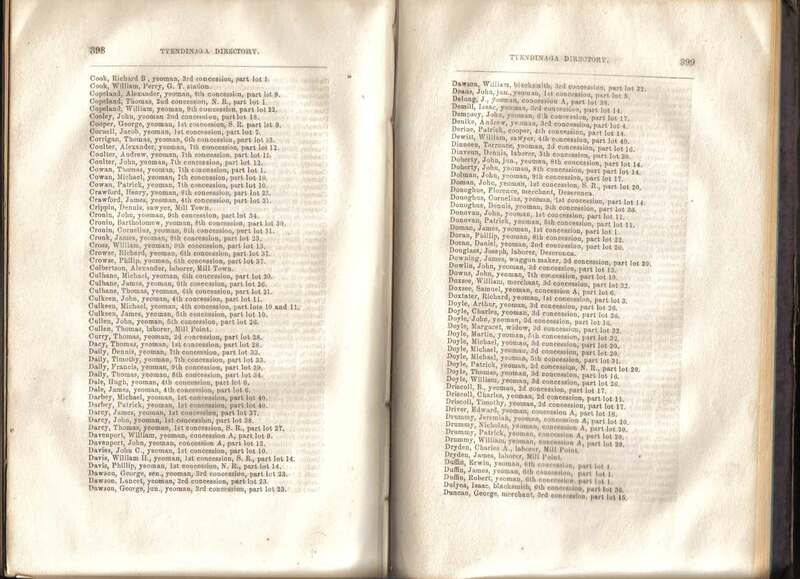 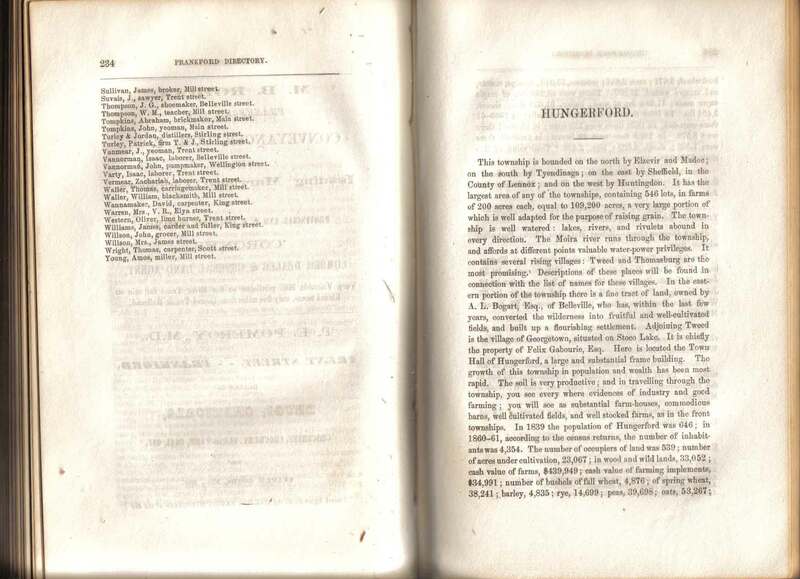 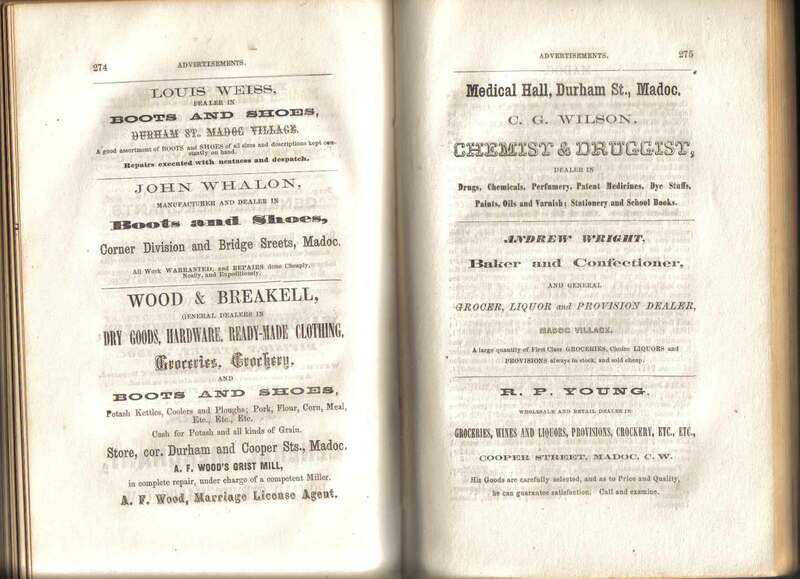 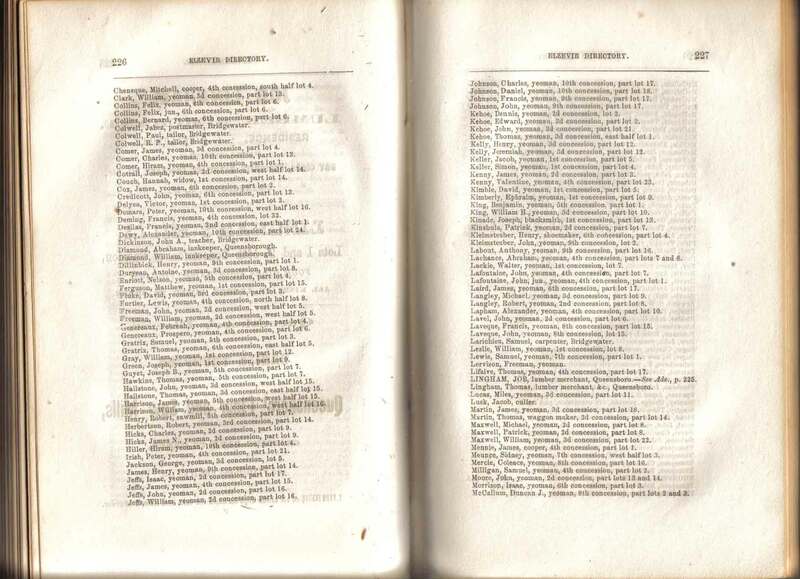 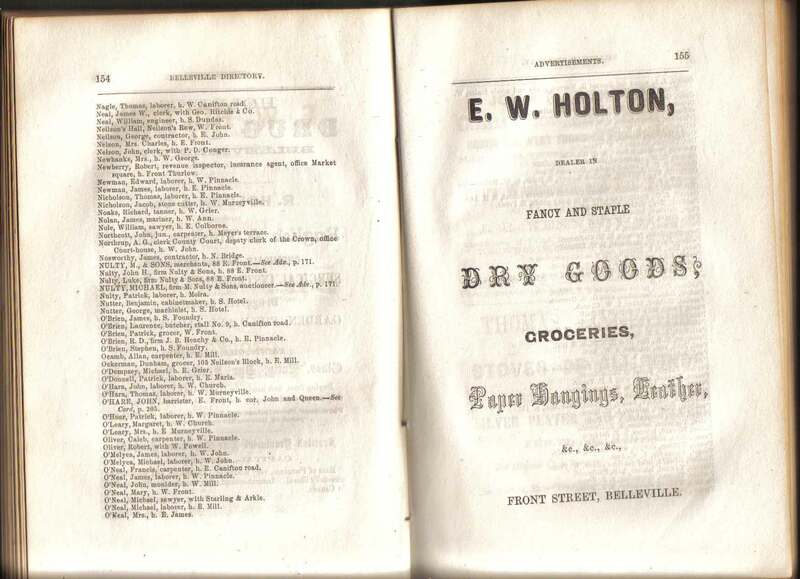 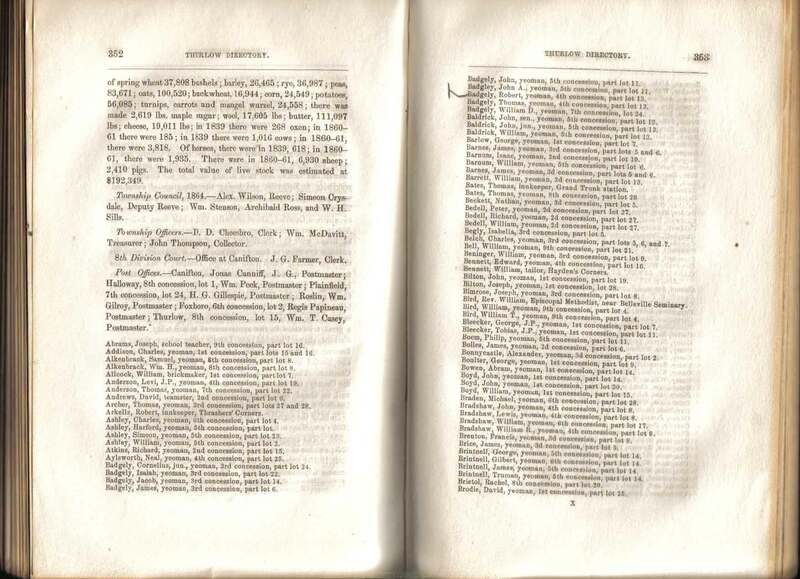 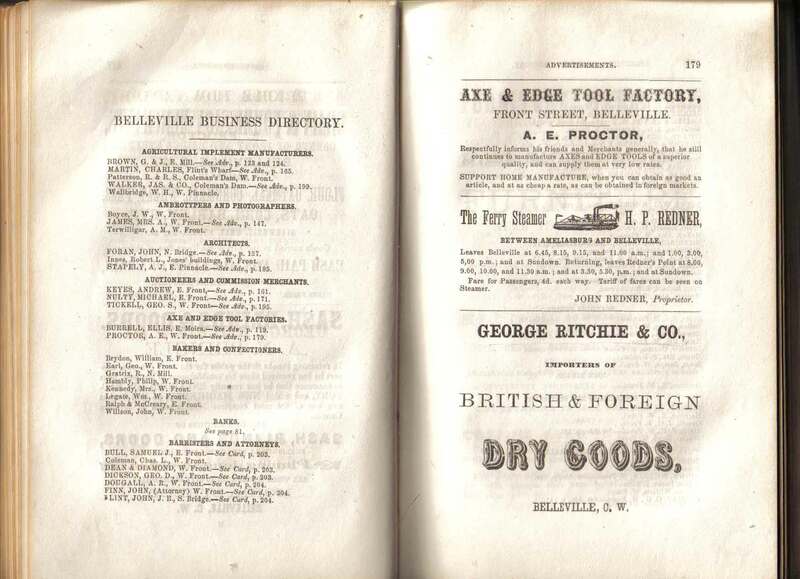 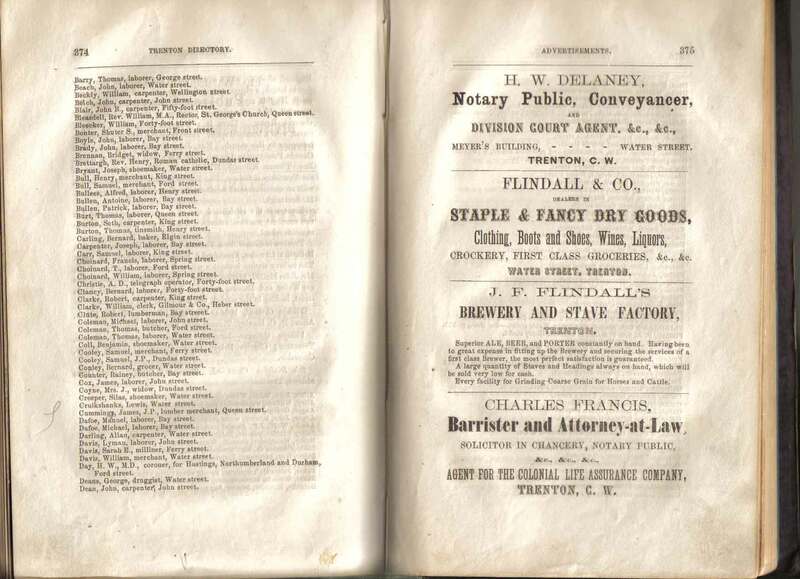 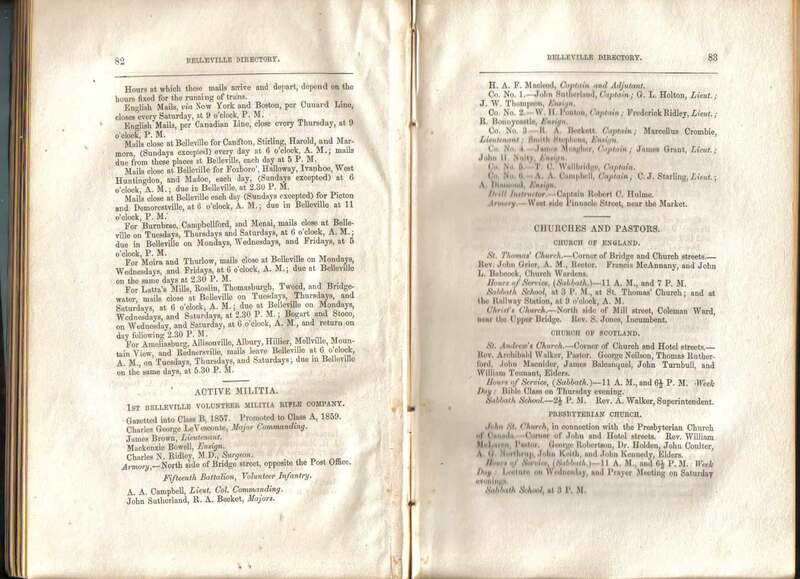 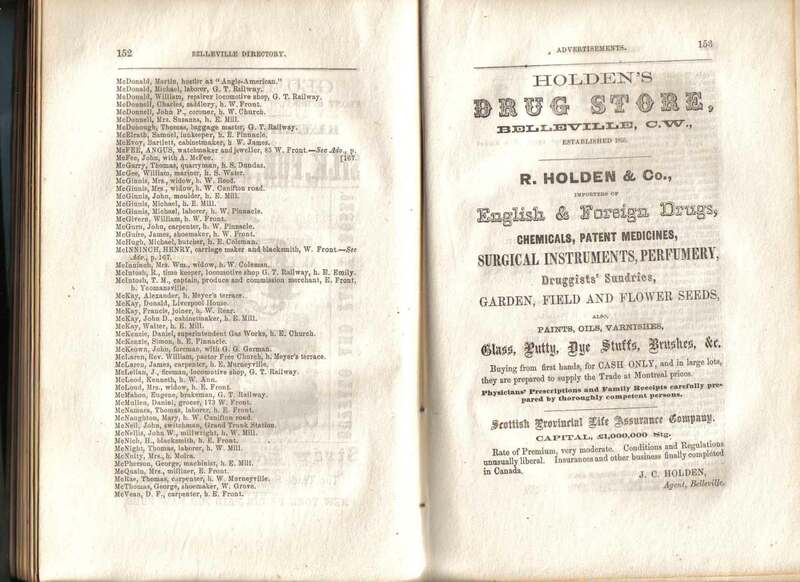 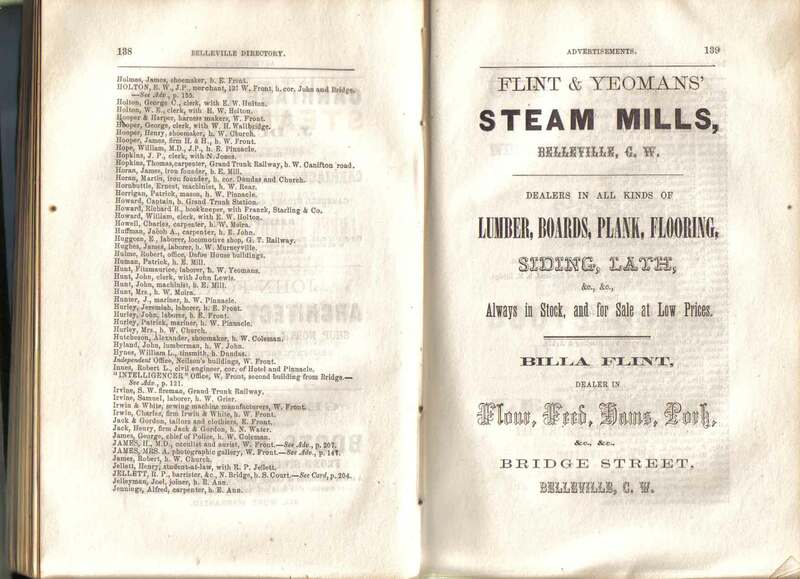 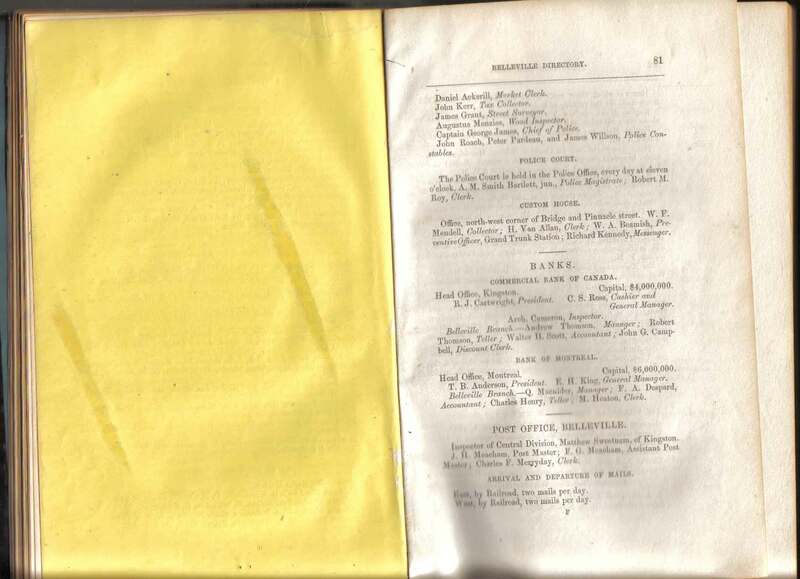 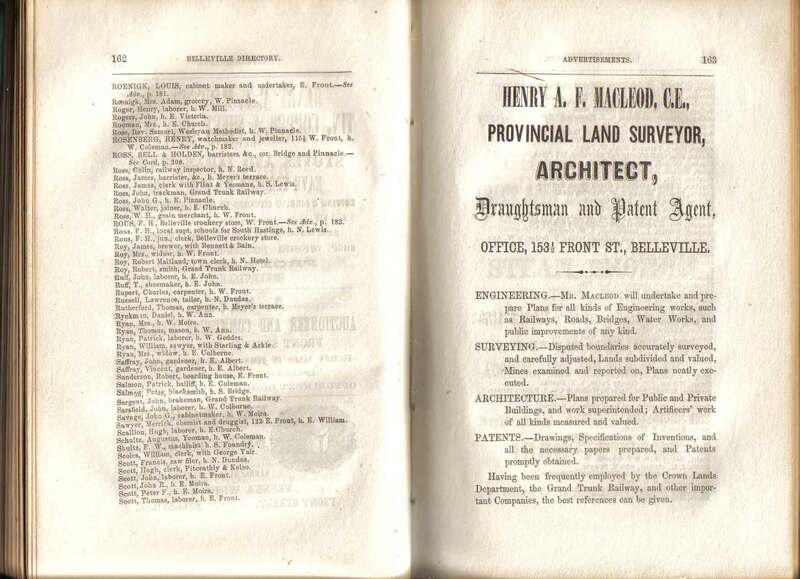 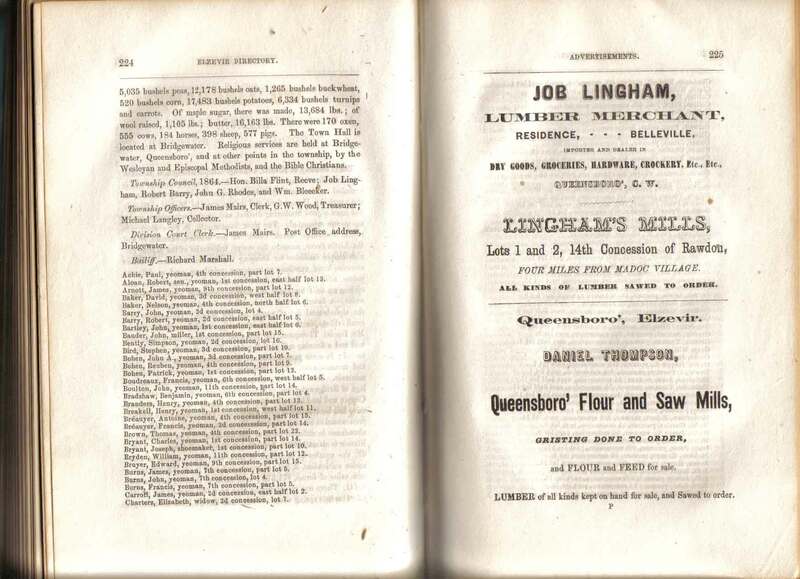 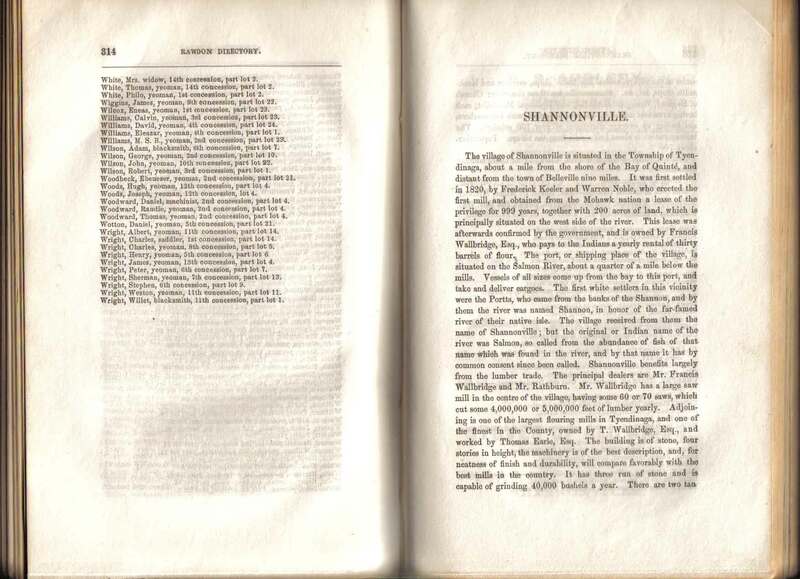 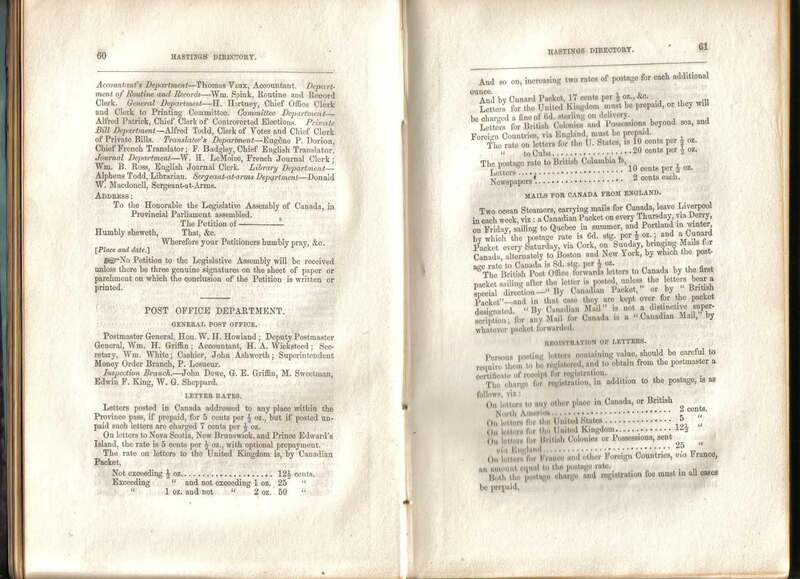 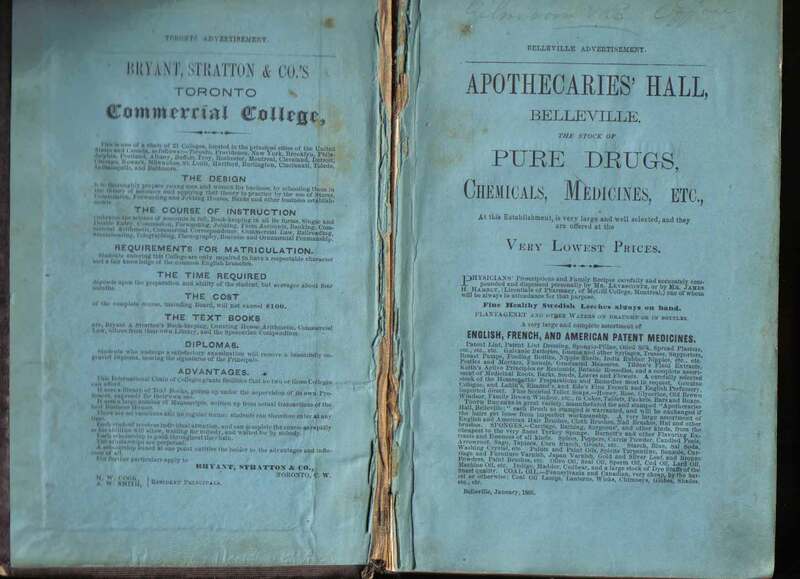 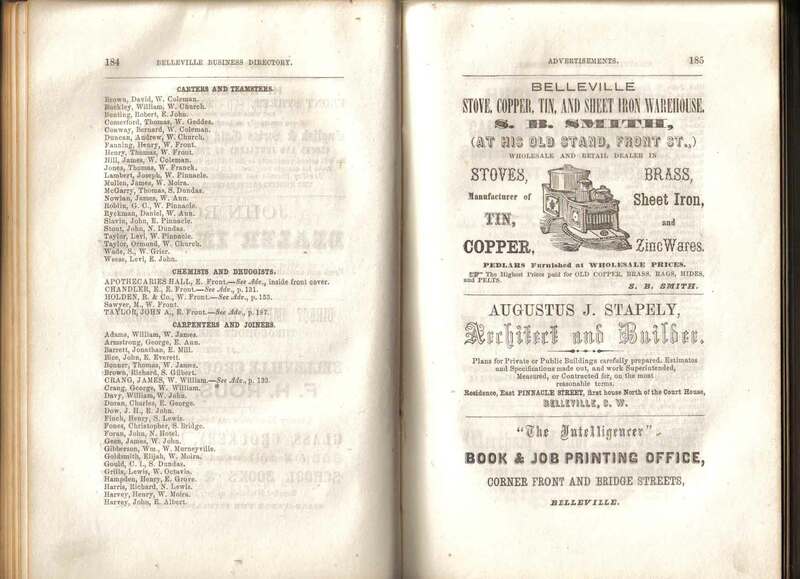 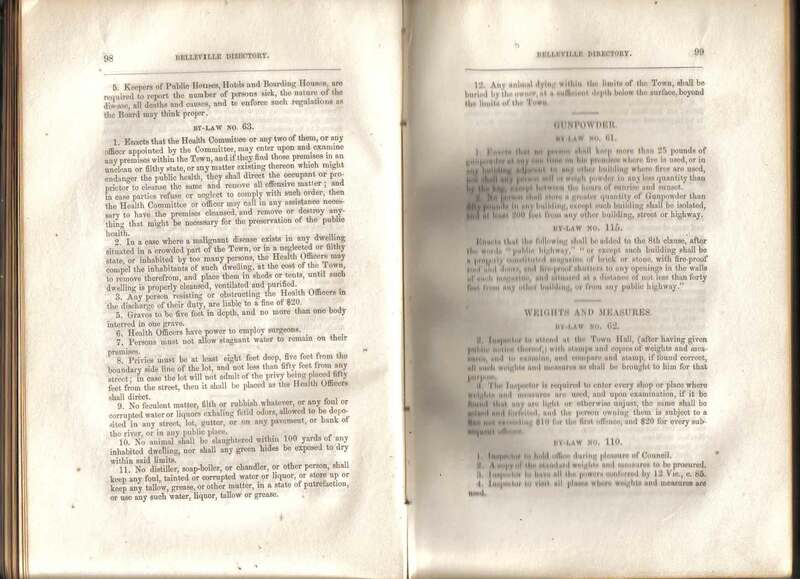 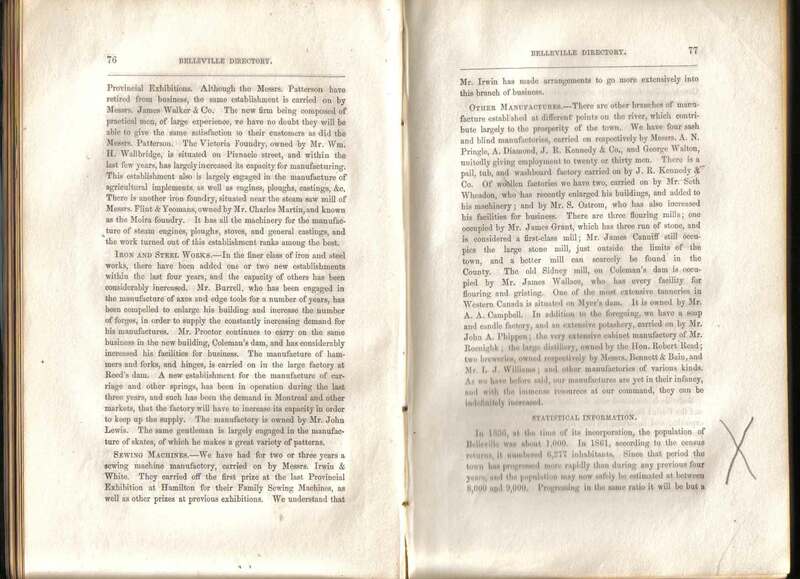 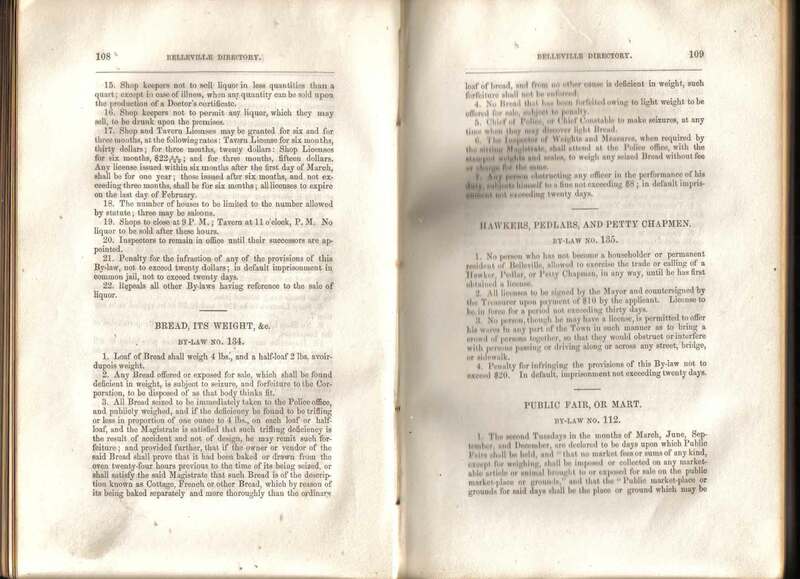 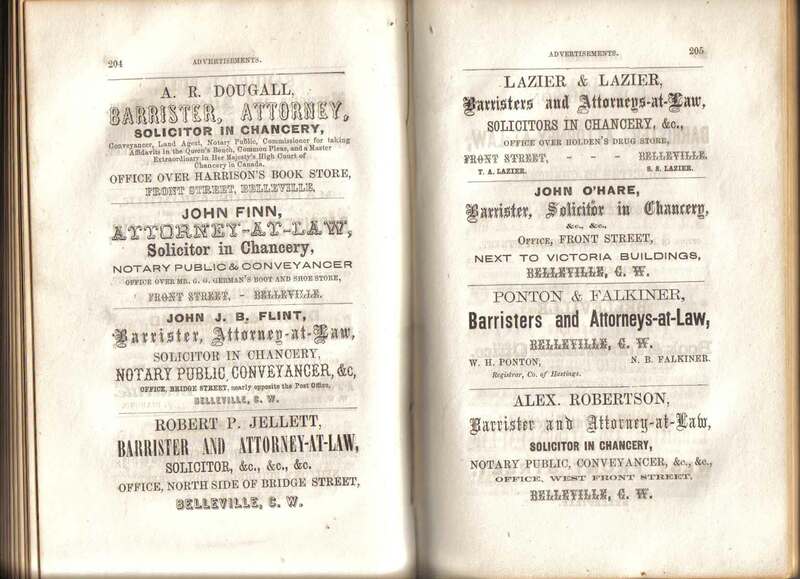 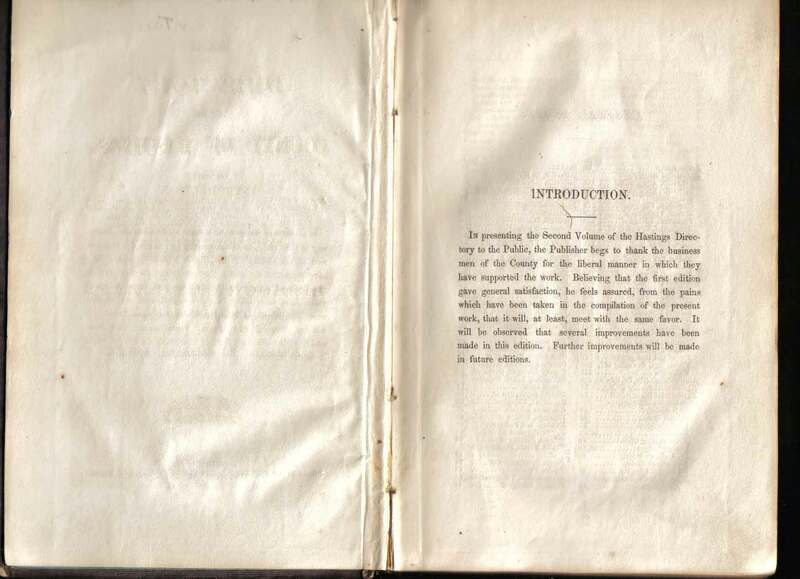 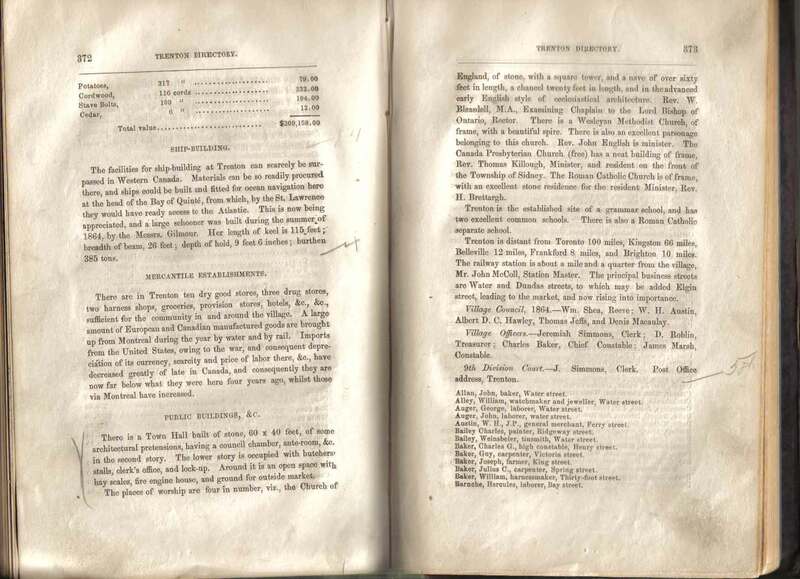 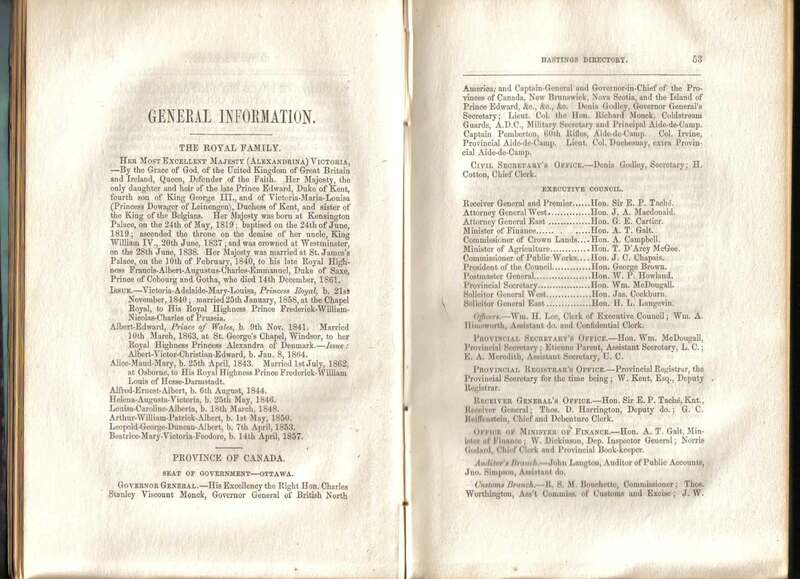 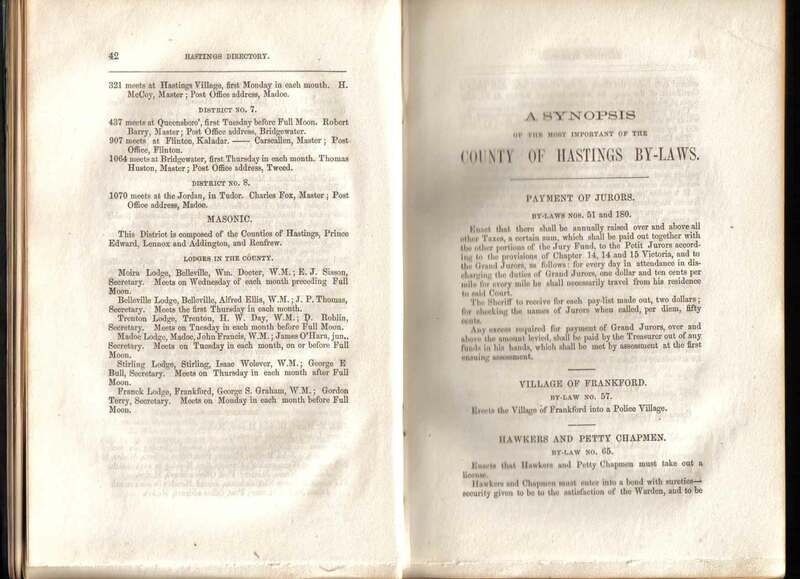 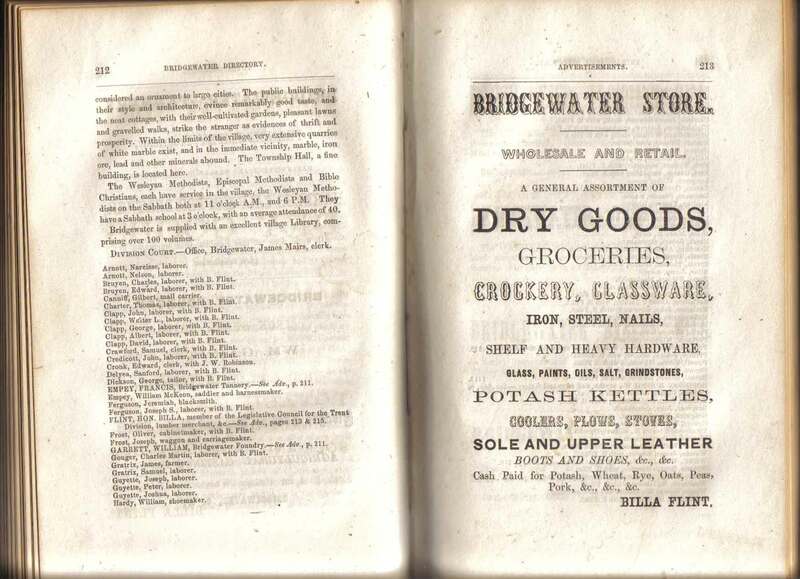 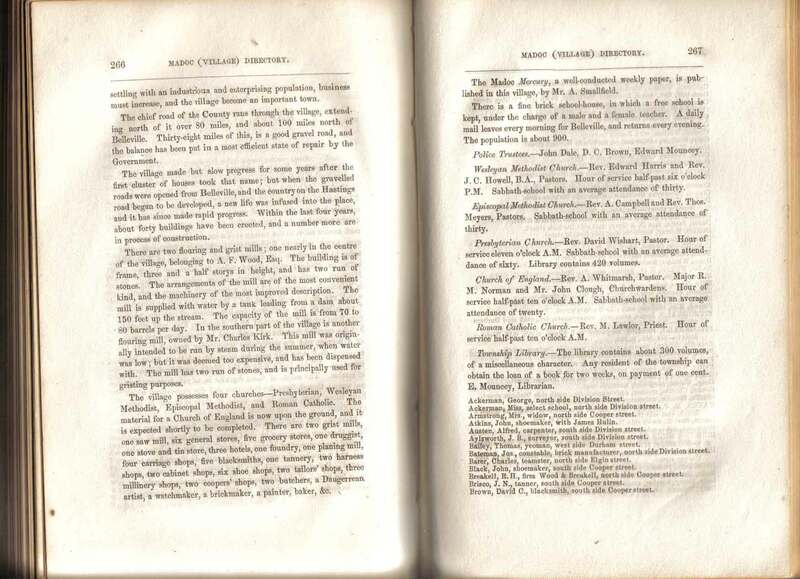 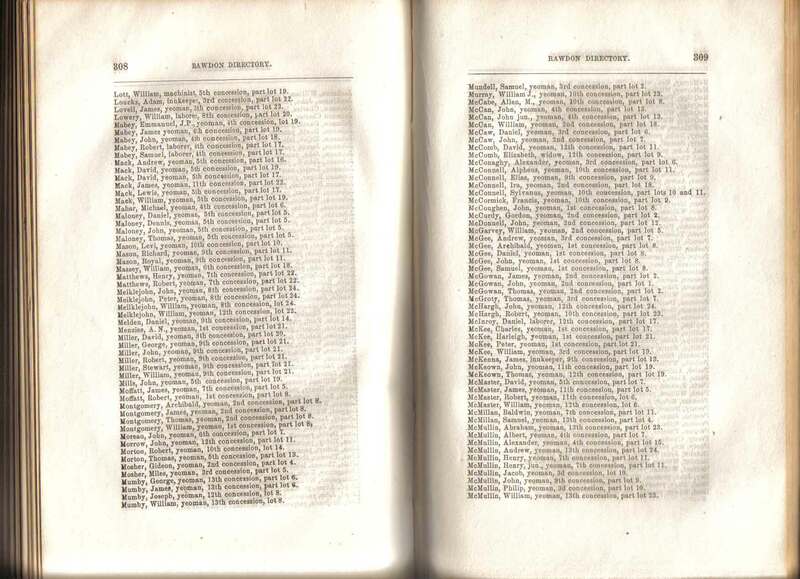 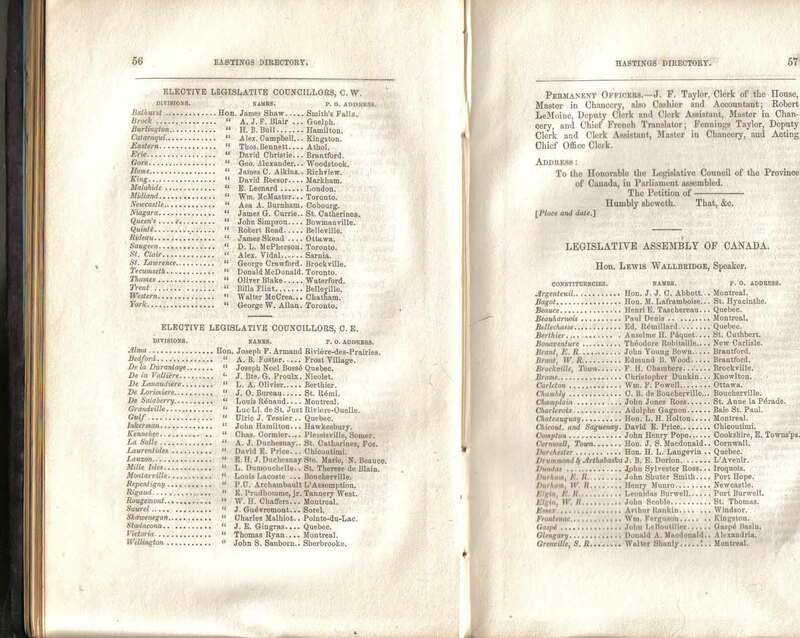 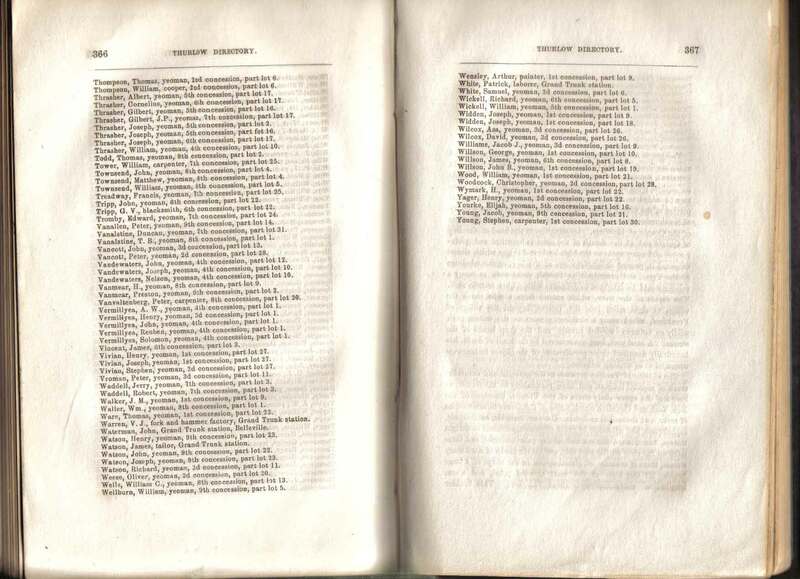 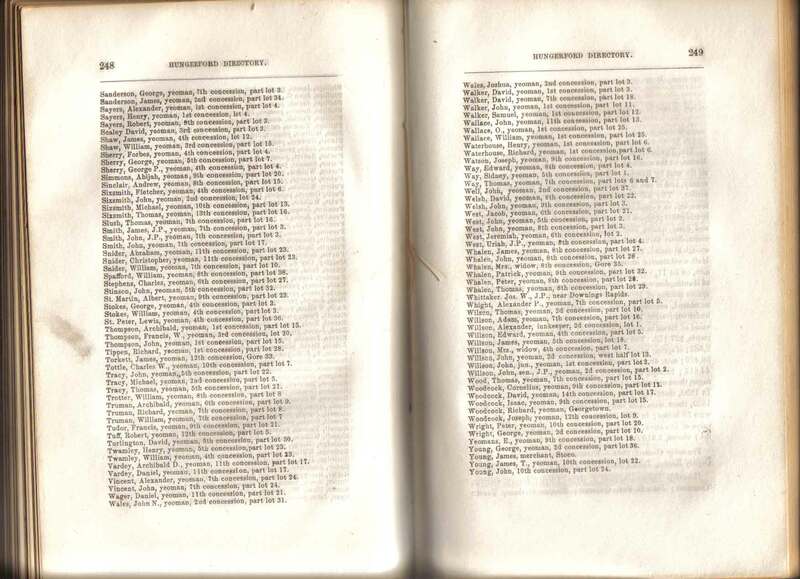 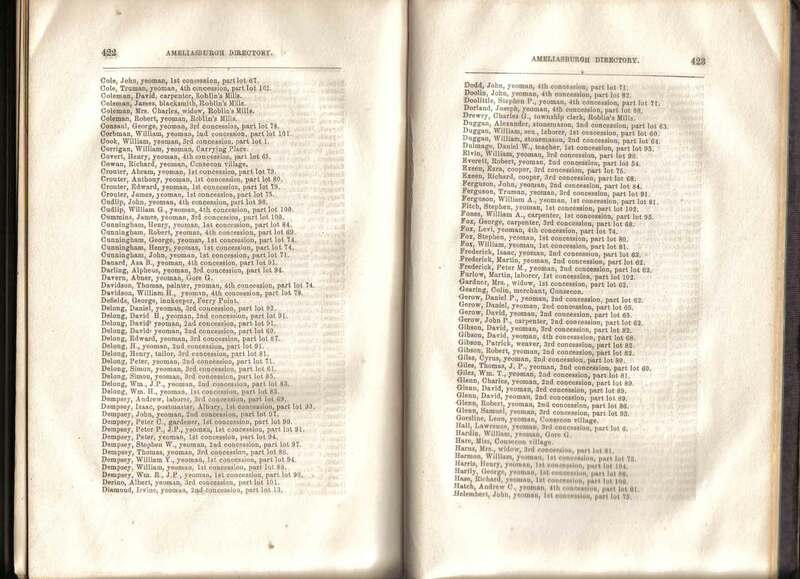 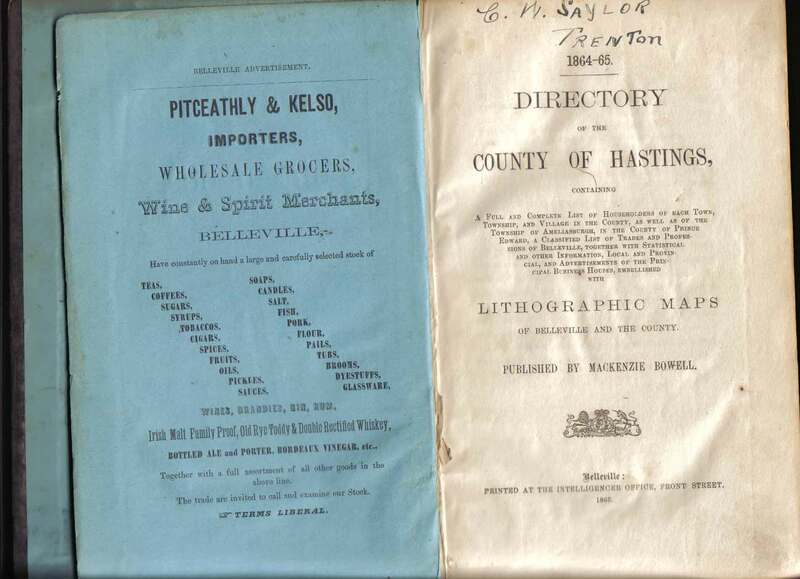 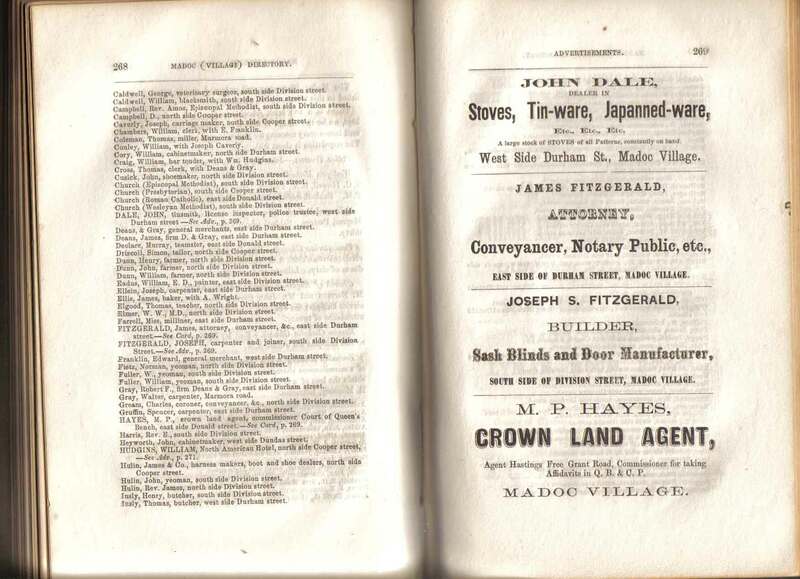 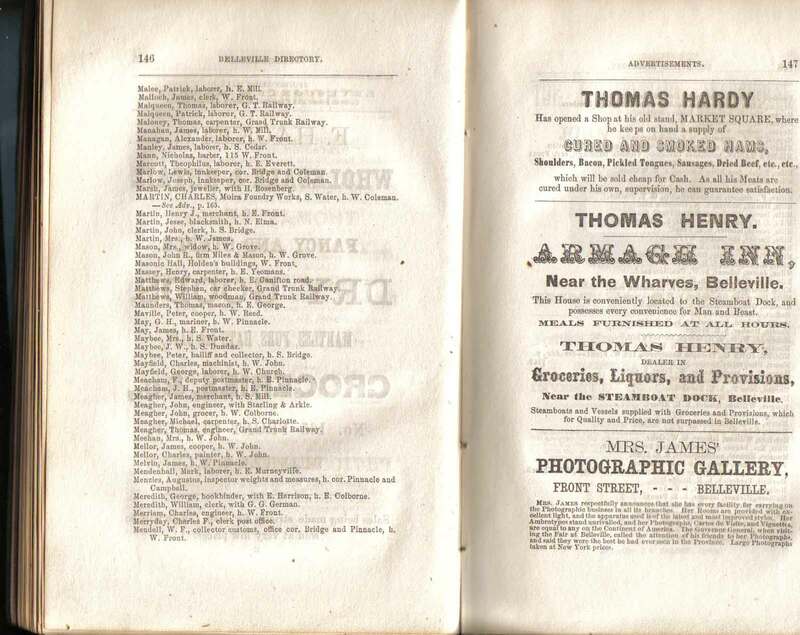 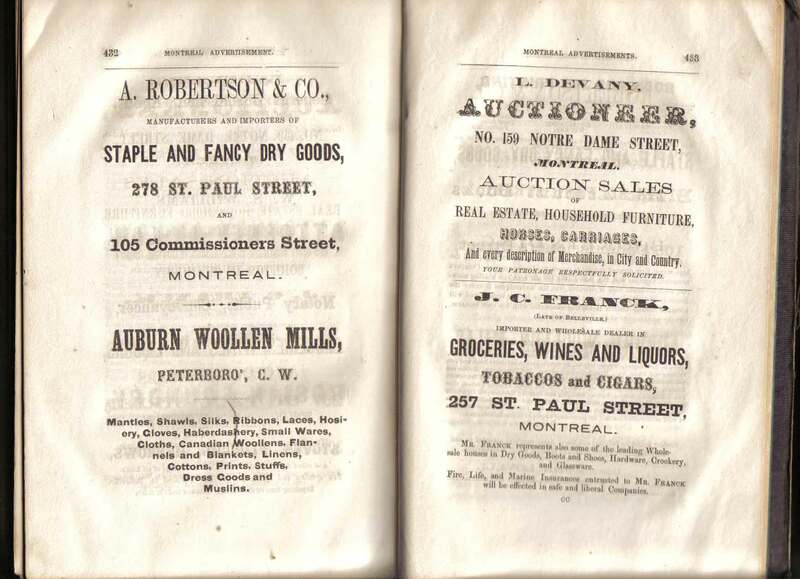 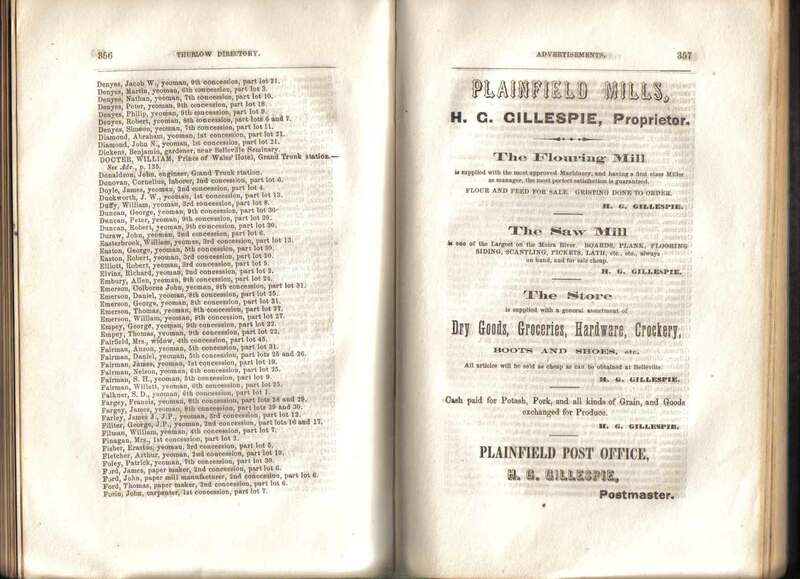 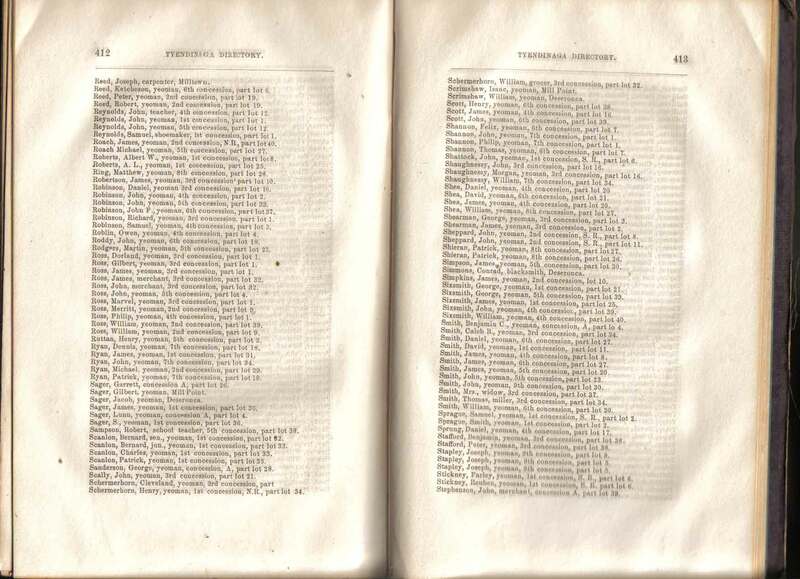 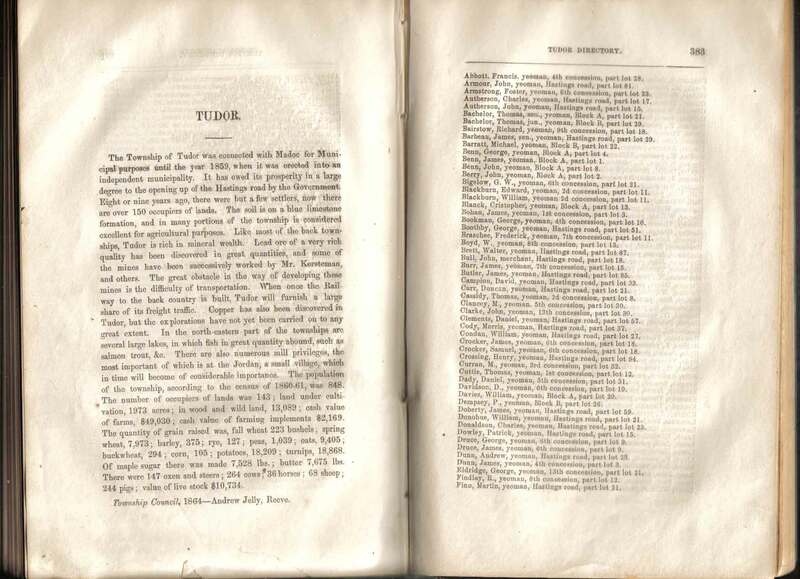 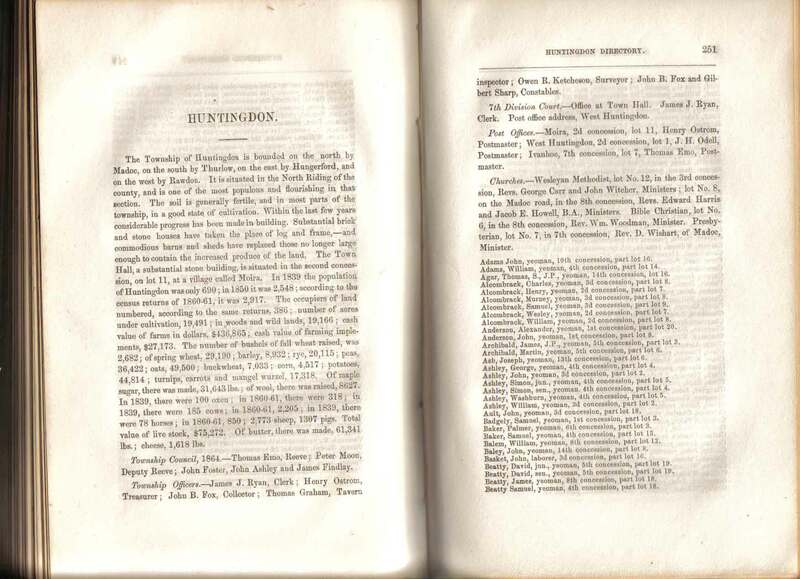 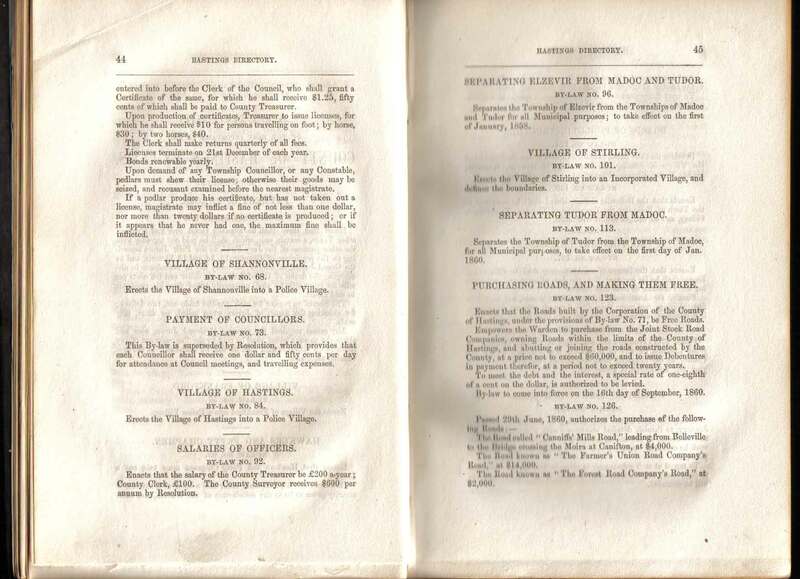 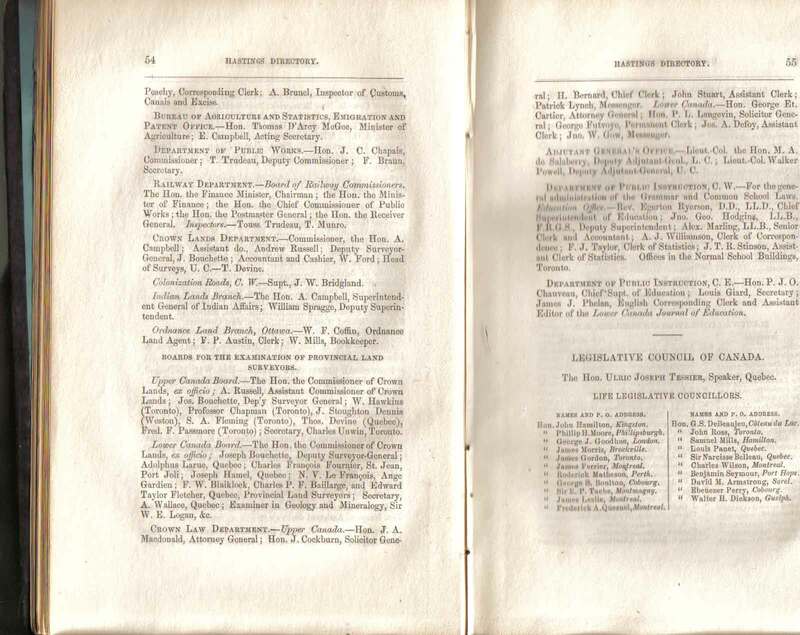 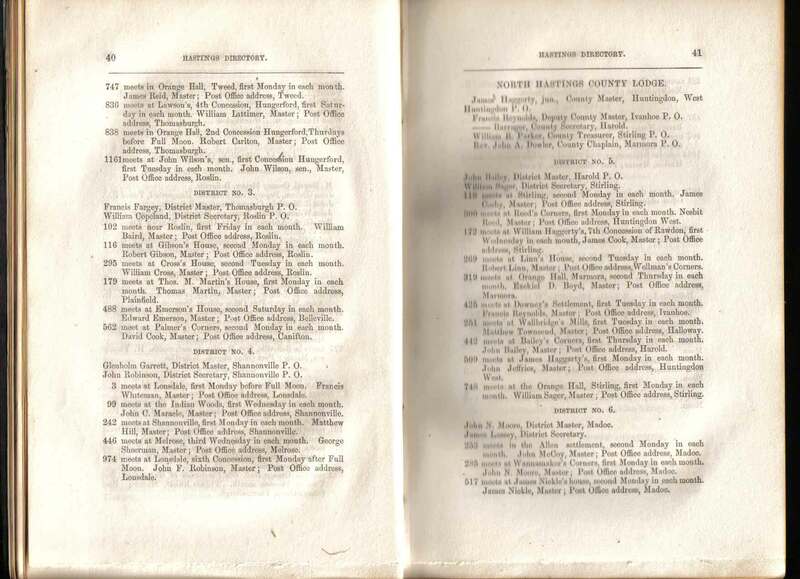 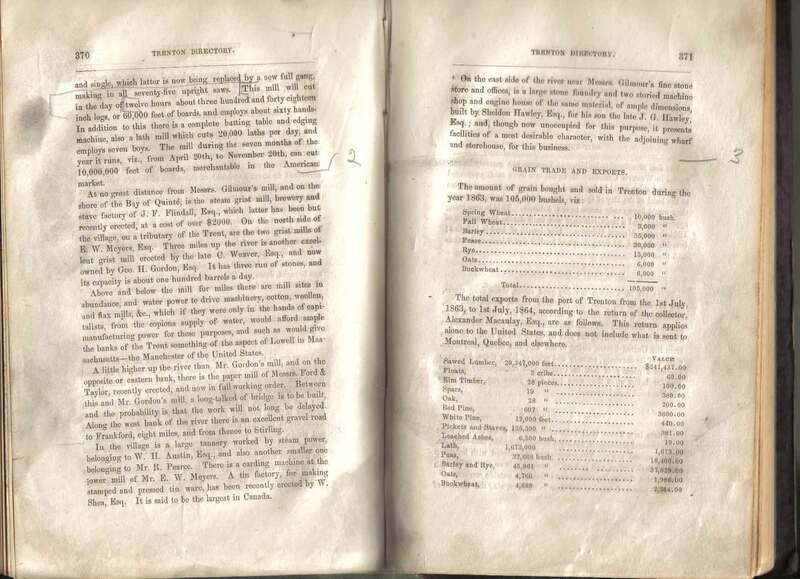 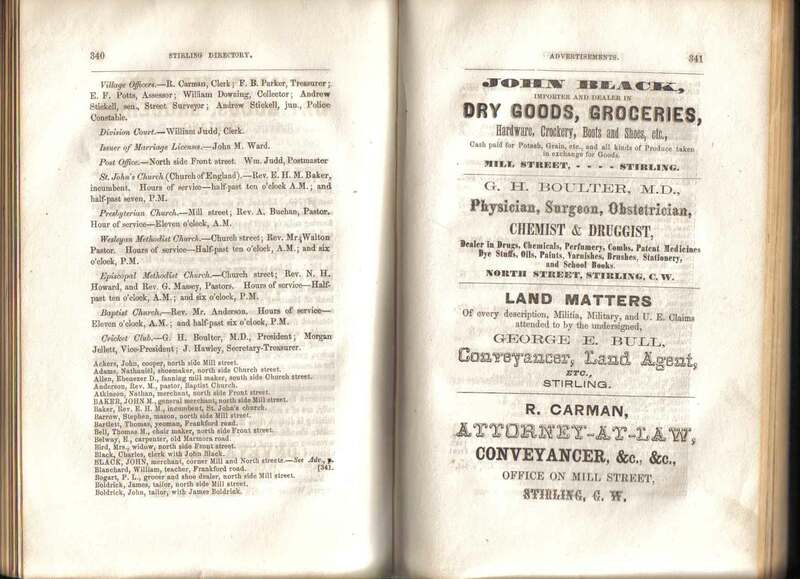 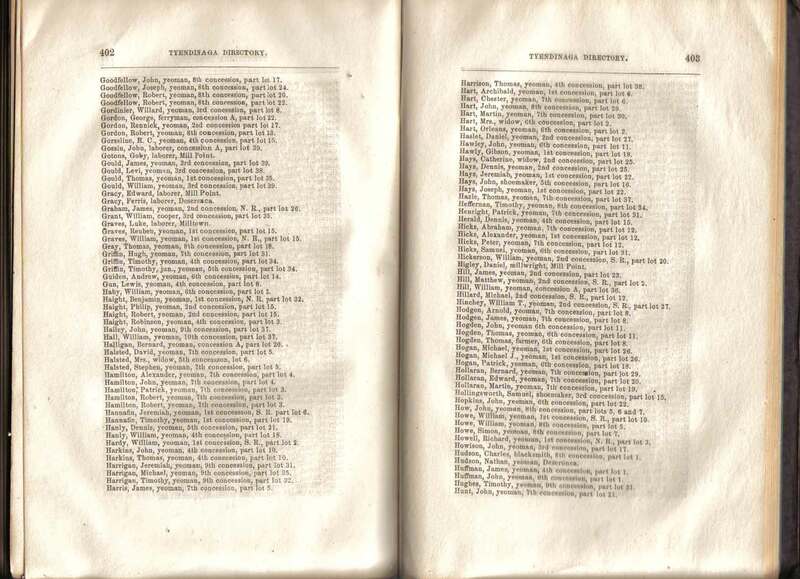 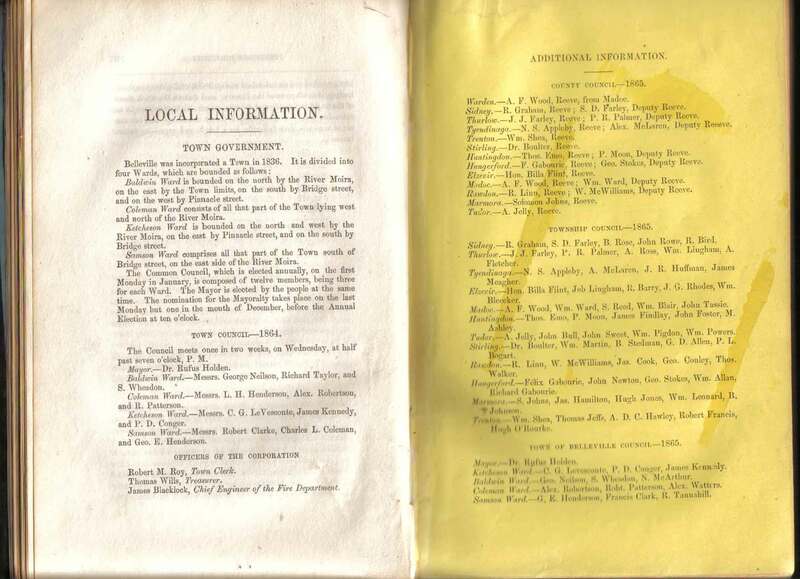 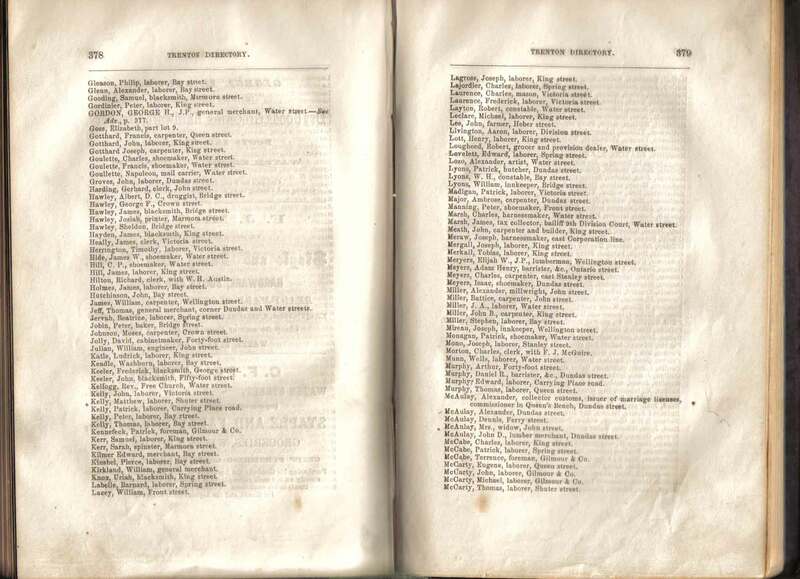 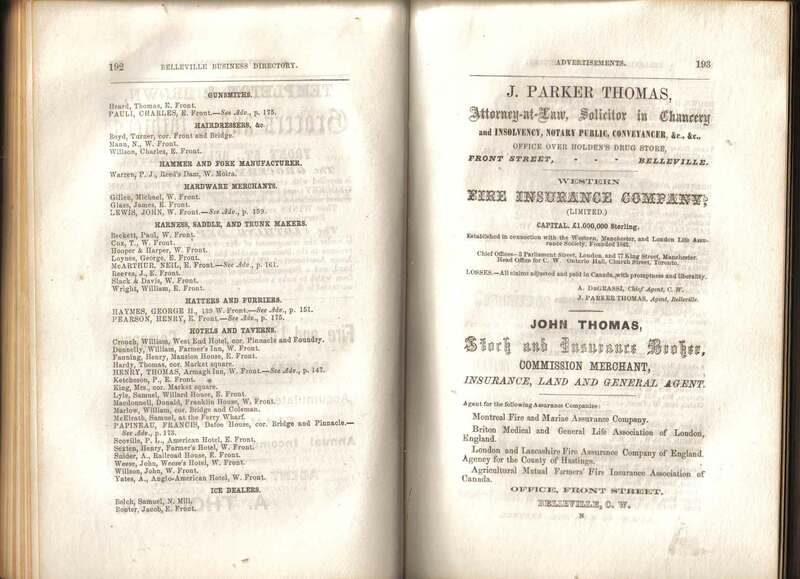 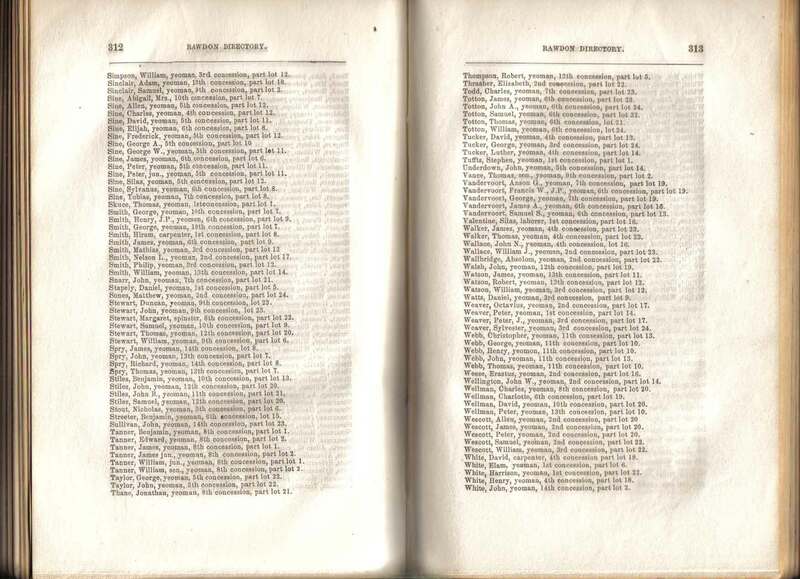 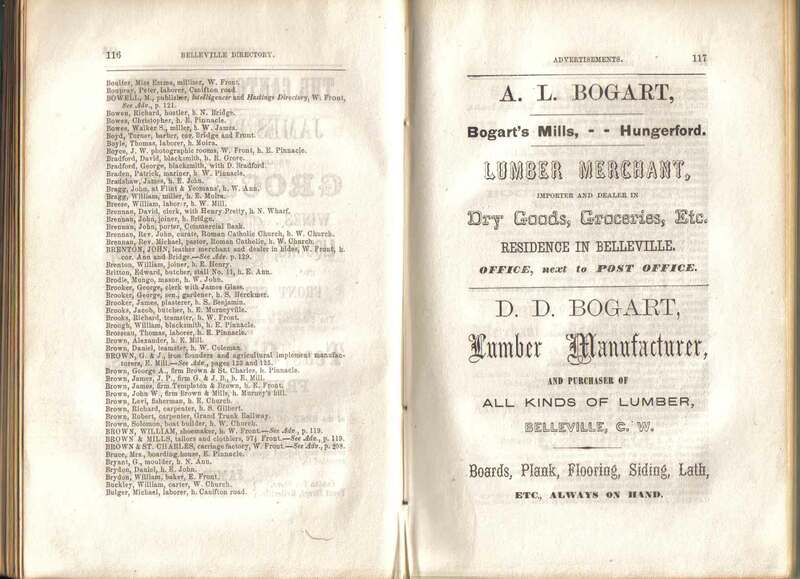 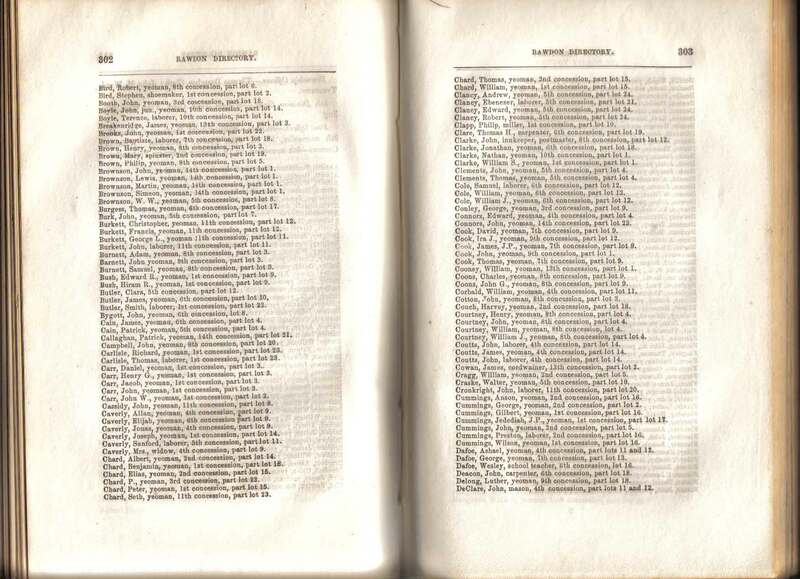 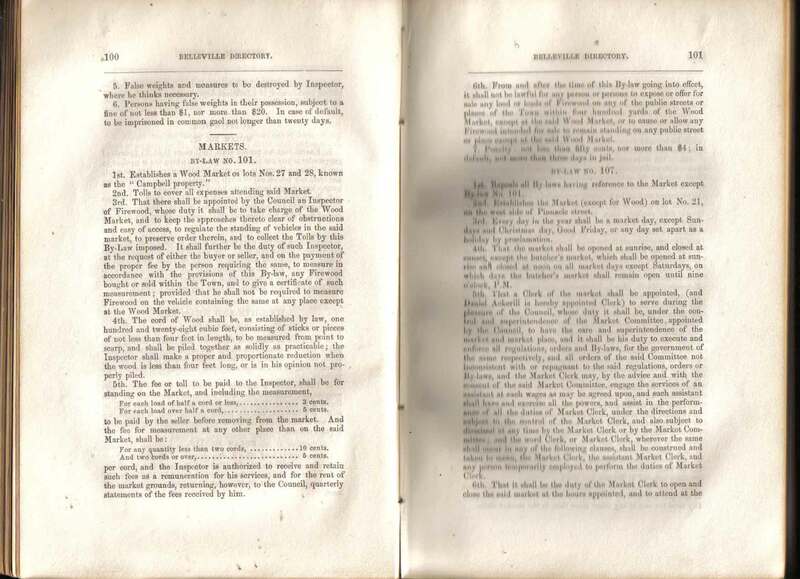 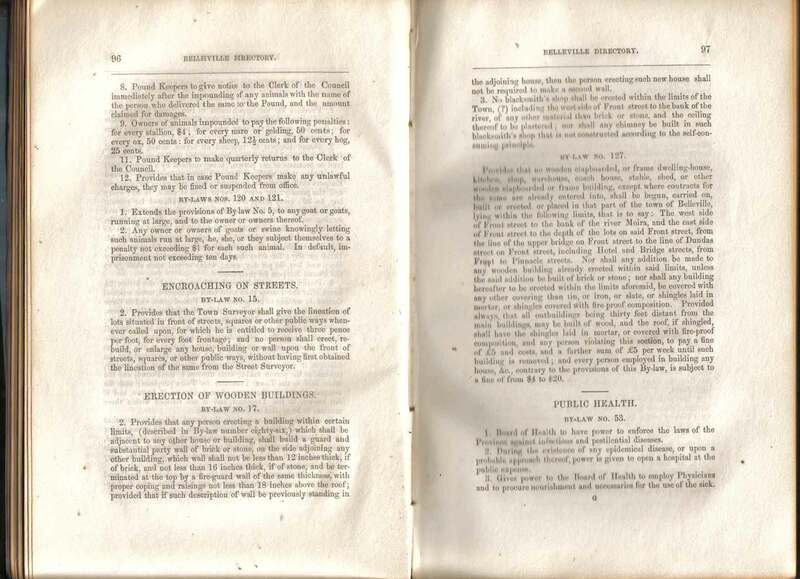 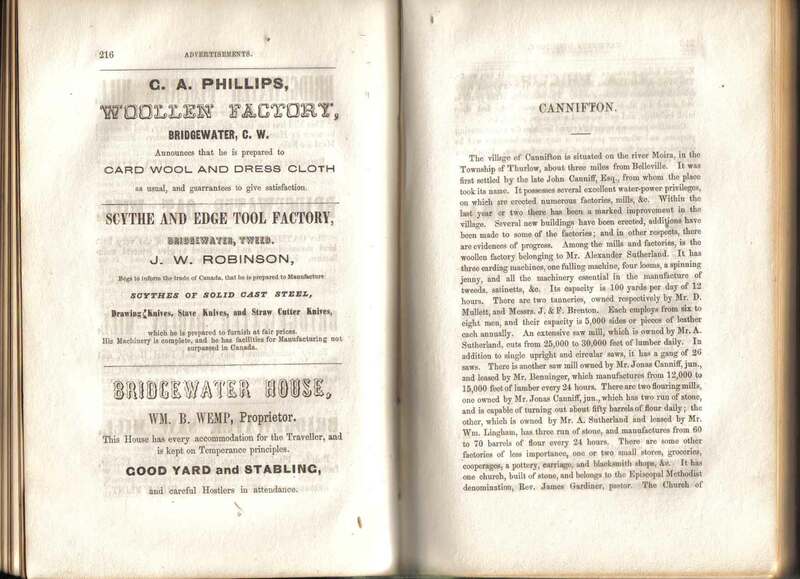 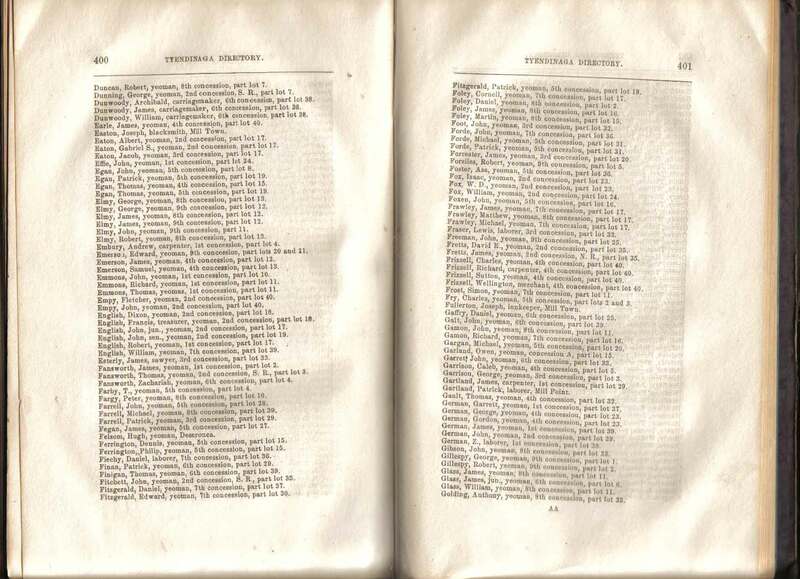 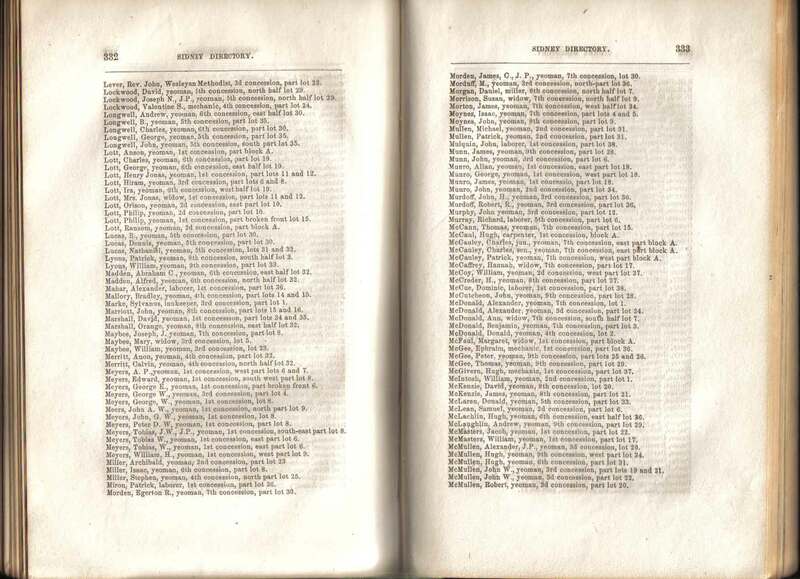 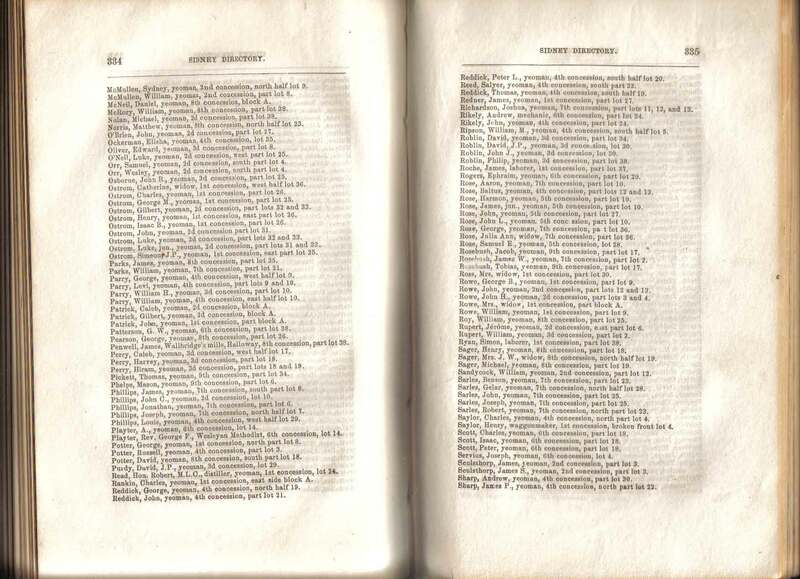 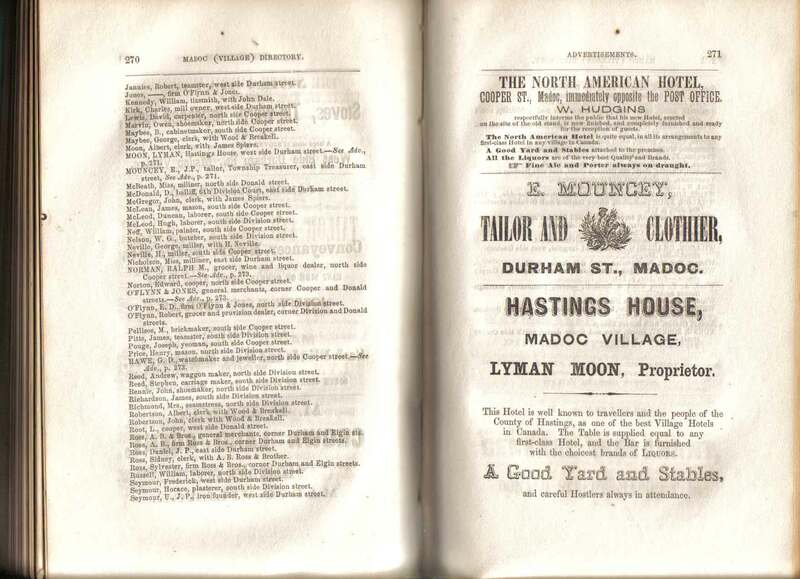 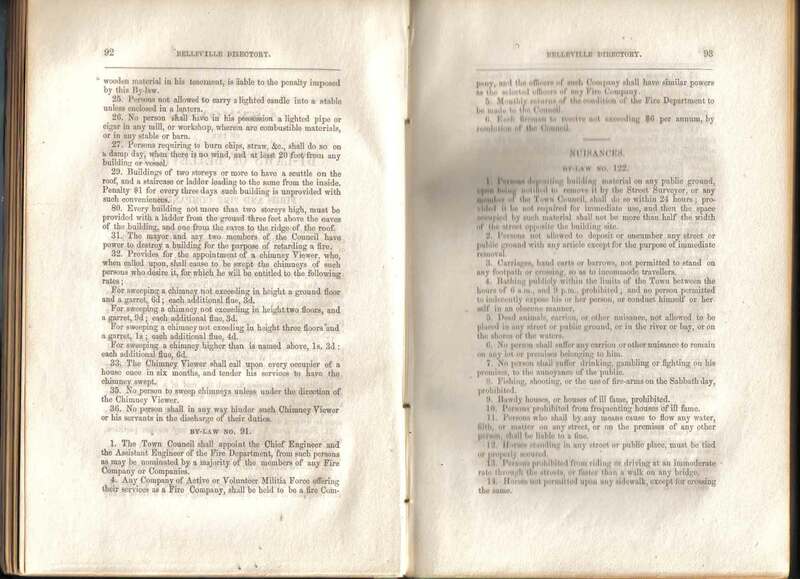 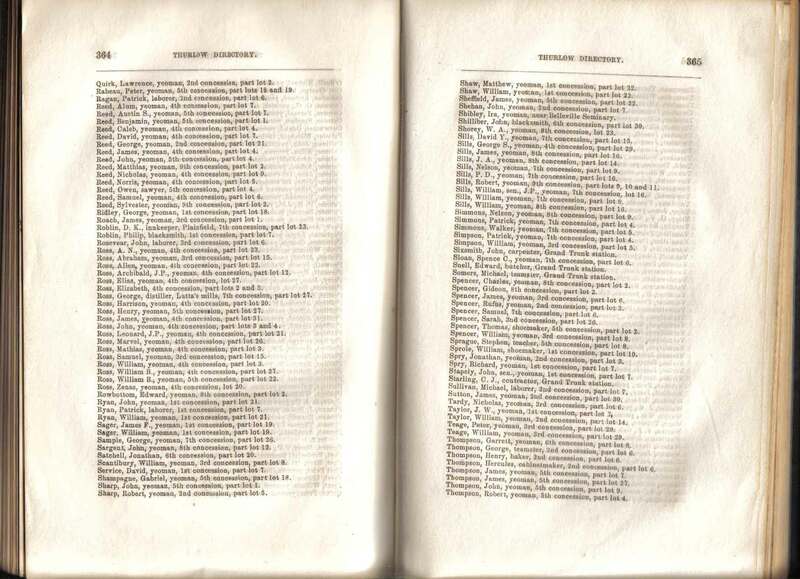 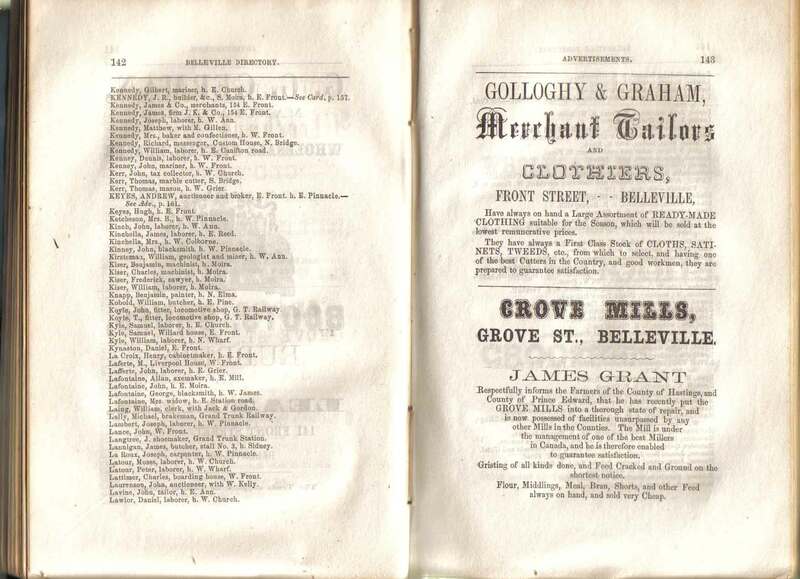 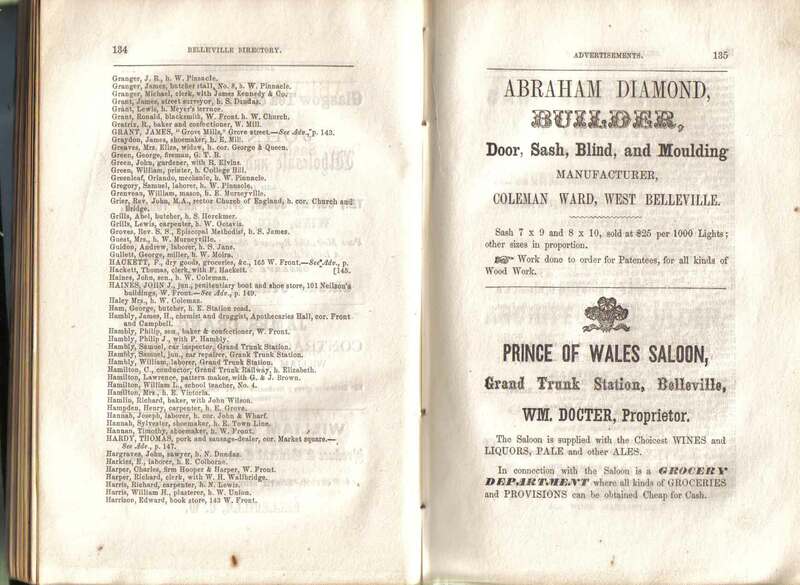 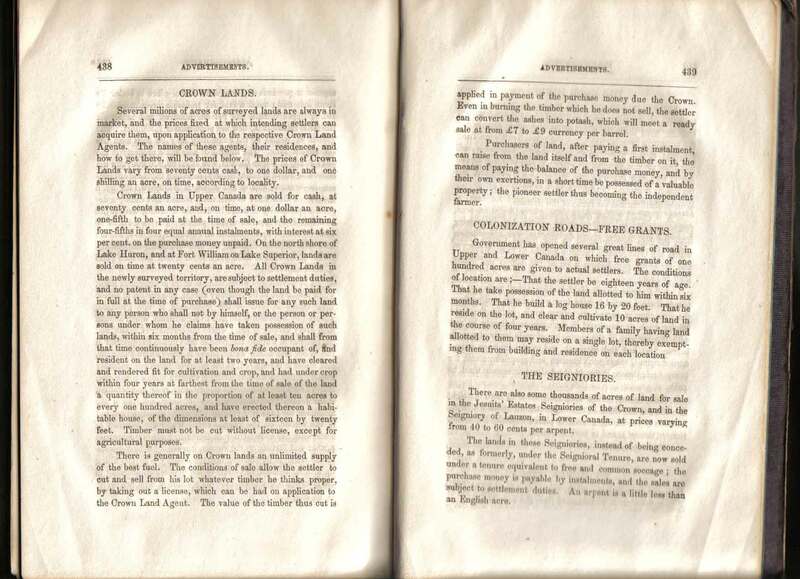 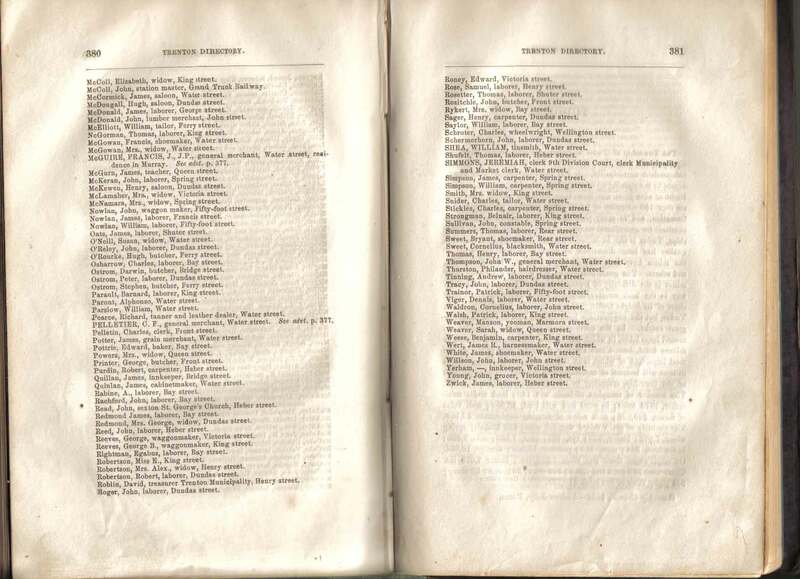 The BPL has copies of Directories for Hastings County for -- 1860/61, 1864/65, 1868/69, 1879/80, and 1889, although most are too fragile to use, and are preserved in archival wrappers. 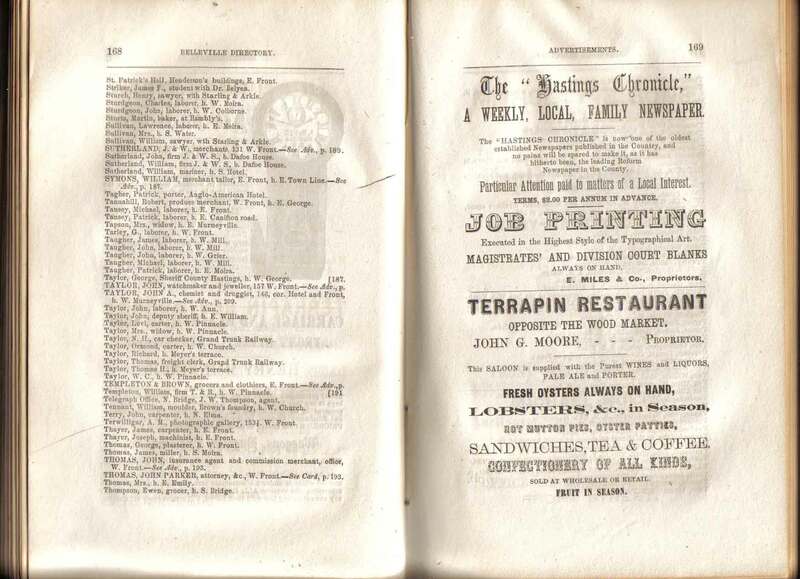 They have microfilm copies available for people to use.